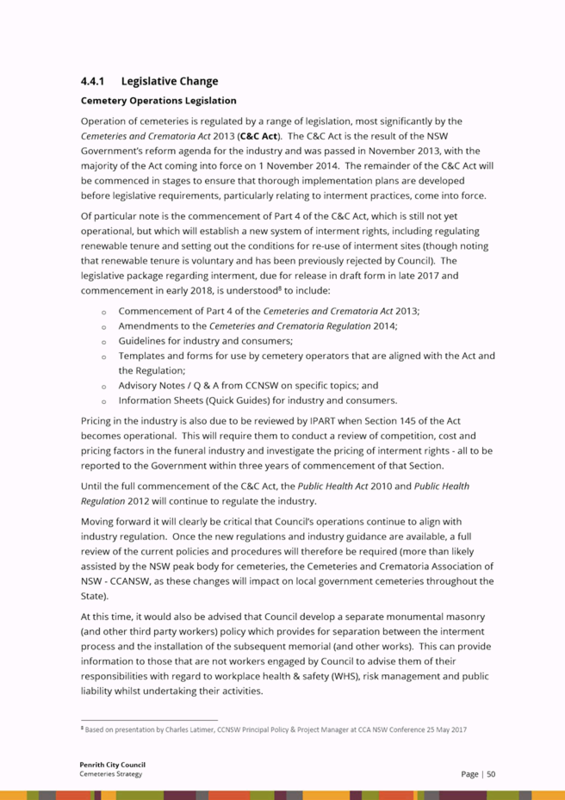 In pursuance of the provisions of the Local Government Act, 1993 and the Regulations thereunder, notice is hereby given that a POLICY REVIEW COMMITTEE MEETING of Penrith City Council is to be held in the Passadena Room, Civic Centre, 601 High Street, Penrith on Monday 11 December 2017 at 7:00PM. Policy Review Committee Meeting - 13 November 2017. Should you wish to address Council, please contact Governance Coordinator, Adam Beggs. His Worship the Mayor, Councillor John Thain, Deputy Mayor, Councillor Tricia Hitchen, and Councillors Jim Aitken OAM, Bernard Bratusa, Todd Carney, Marcus Cornish, Greg Davies, Mark Davies, Aaron Duke, Ross Fowler OAM, Joshua Hoole, Karen McKeown and Ben Price. Leave of Absence was previously granted to Councillor Kath Presdee for the period 12 November 2017 to 19 November 2017 inclusive. 43 RESOLVED on the MOTION of Councillor Greg Davies seconded Councillor Aaron Duke that apologies be received for Councillor Kevin Crameri OAM. 44 RESOLVED on the MOTION of Councillor Greg Davies seconded Councillor Aaron Duke that the minutes of the Policy Review Committee Meeting of 9 October 2017 be confirmed. Councillor Tricia Hitchen declared a Non-Pecuniary Conflict of Interest – Less than Significant in Item 3 – St Marys Town Centre Triennial Business Plan 2016-2019 and Operational Plan 2017-2018 as she is on the board of St Marys Town Centre Corporation. Councillor Jim Aitken OAM left the meeting, the time being 7:44pm. Councillor Jim Aitken OAM returned to the meeting, the time being 7:45pm. 1. 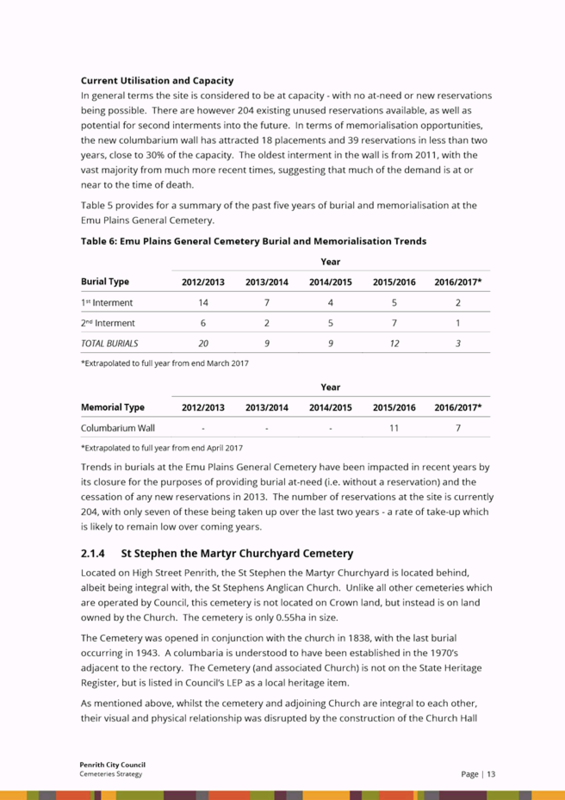 The information contained in the report on St Marys Town Centre Triennial Business Plan 2016-19 and Operational Plan 2017-18 be received. 2. Council receive information on the Annual Report and Audited Financial Statement 2016-17 of the St Marys Town Centre Corporation. 3. 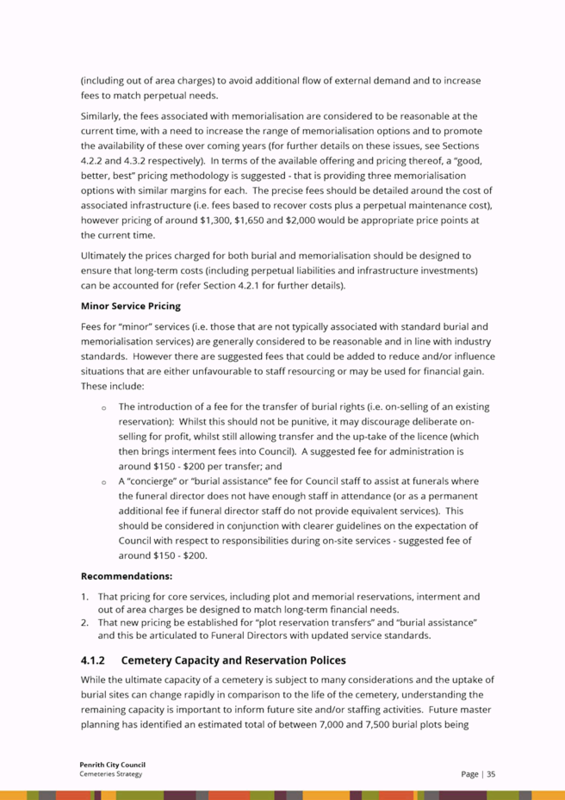 Council endorse the St Marys Town Centre Corporation’s Triennial Business Plan 2016-19 and Annual Operational Plan 2017-18. 4. 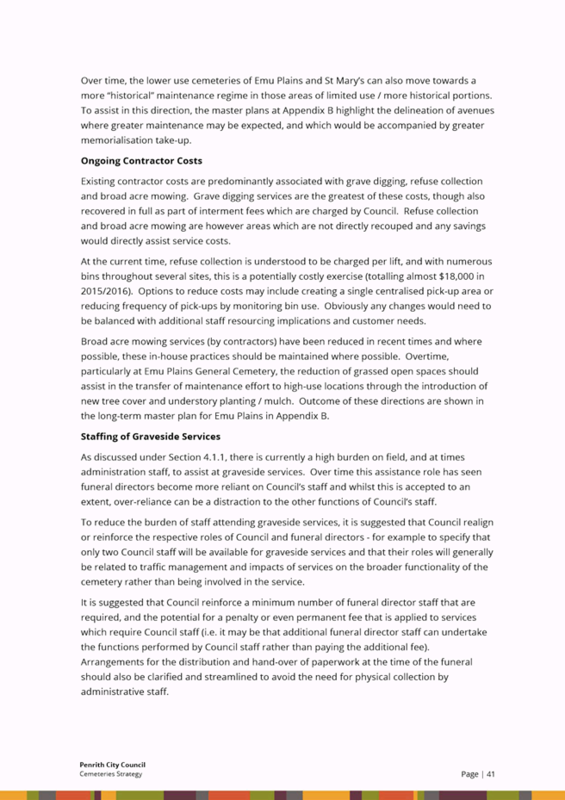 The utilisation of the excess funds of the organisation be subject of a future council report. 1. The information contained in the report on Penrith Performing and Visual Arts Ltd – Annual Report be received. 2. Council agree to underwrite the operations of the Penrith Performing and Visual Arts Ltd until the presentation of the 2018/19 Annual Report. 3. Council consider reviewing its annual operating subsidy for the Penrith Performing and Visual Arts Ltd from 2018/19 at the upcoming strategic planning workshop. Councillor Marcus Cornish left the meeting, the time being 8:37pm. Councillor Marcus Cornish returned to the meeting, the time being 8:39pm. 1. 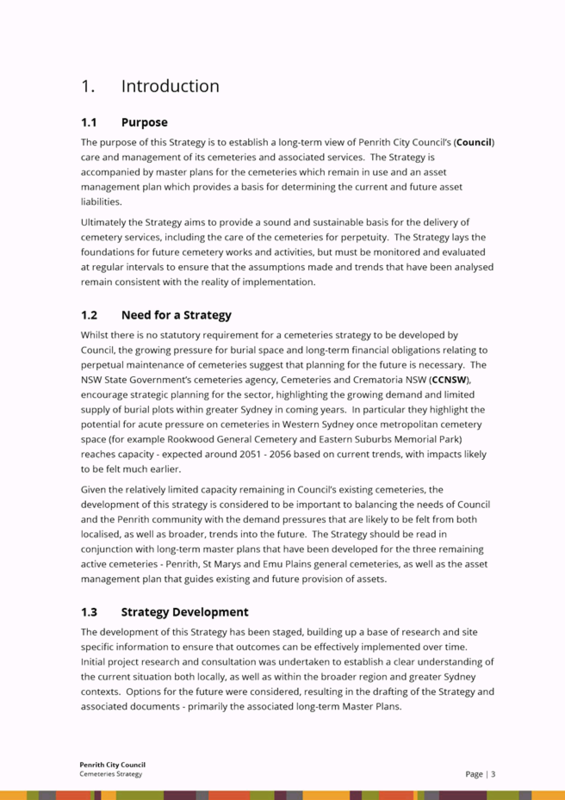 The information contained in the report on Penrith Panthers Planning Proposal and DCP Amendment be received. 2. Council endorses the Planning Proposal presented in this report which has been provided to Councillors under separate cover and tabled tonight. 3. 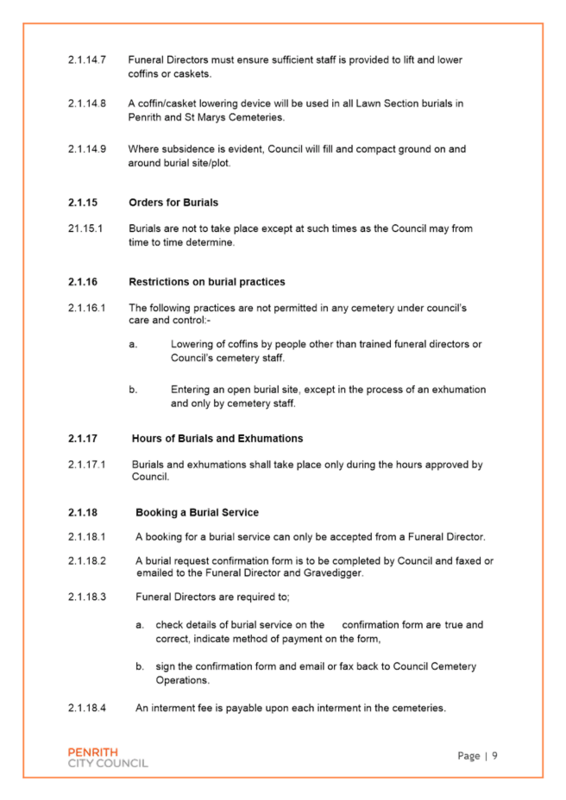 Council prepares and executes an amendment to the Road Works Planning Agreement based on the principles presented in this report. 4. 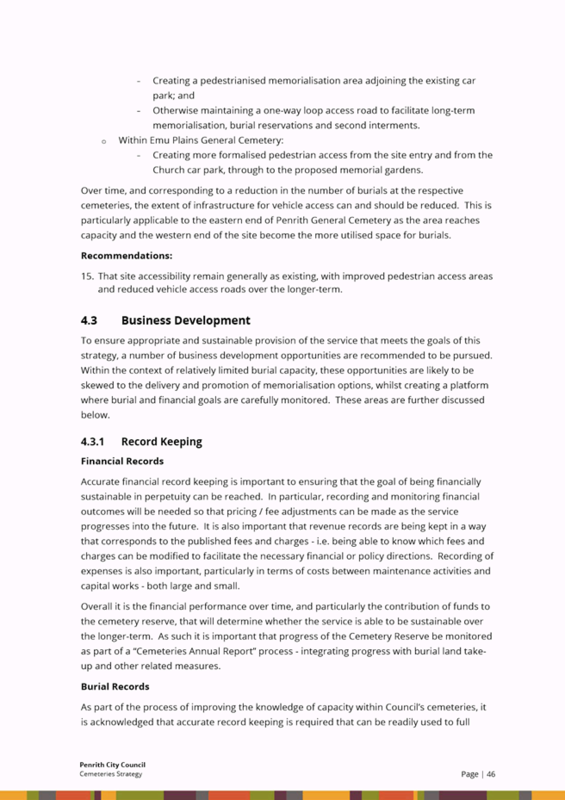 The General Manager be granted delegation to update and finalise the Planning Proposal prior to Council’s submission of the Planning Proposal to the Department of Planning and Environment for making of the amendment to the Penrith Local Environmental Plan 2010. 5. 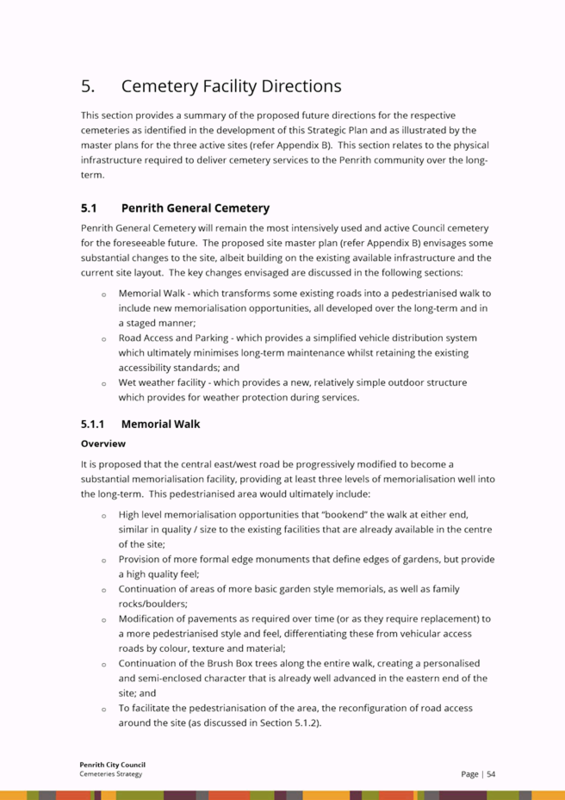 The Planning Proposal referred to in 4 above be forwarded to the Department of Planning and Environment after an amendment to the Road Works Planning Agreement has been executed with a request that the amendment to the Penrith Local Environmental Plan 2010 be made. 6. 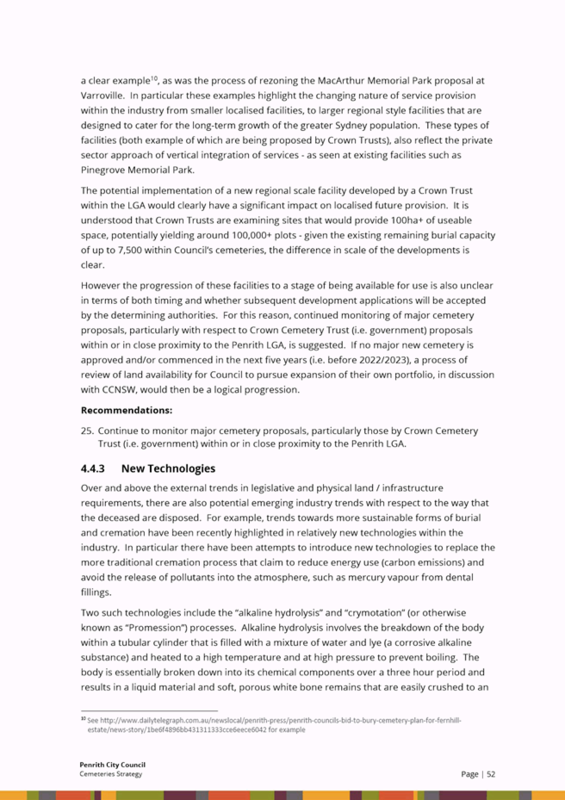 Council adopt the amendment to the Penrith Development Control Plan 2014 presented in this report so that it takes effect on the publication of the amendment to the Penrith Local Environmental Plan 2010. 7. The General Manager be delegated authority to make any necessary changes required to the amendment to the Penrith Development Control Plan 2014 referred to in 6 above, particularly as a result of Road Works Planning Agreement negotiations and any other changes identified in consideration of transport and traffic matters before the Planning Proposal is submitted to the Department of Planning and Environment. 8. Council note that a peer review of the Planning Proposal and Process is not necessary as Council is no longer an owner of land subject to the Planning Proposal. 1. The information contained in the report on Housekeeping Amendment to the Penrith Local Environmental Plan 2010 be received. 2. 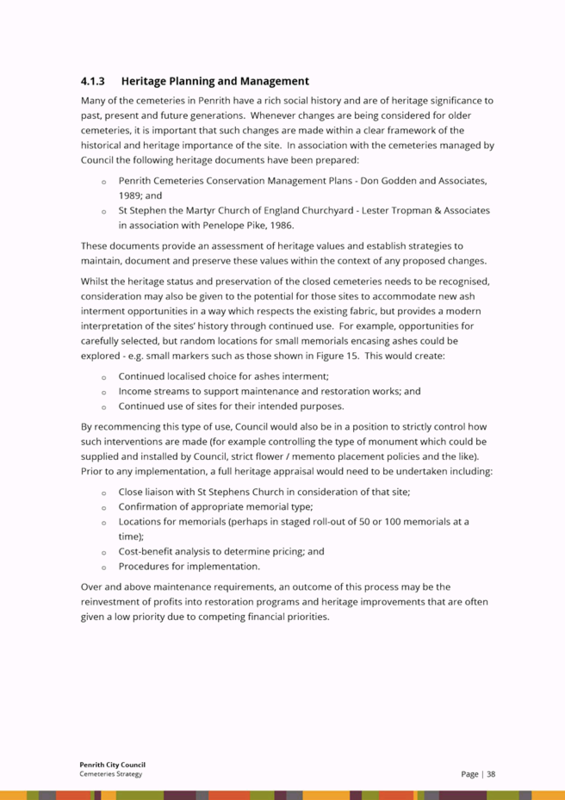 Council endorse the Planning Proposal provided at Attachment 1 to this report. 3. 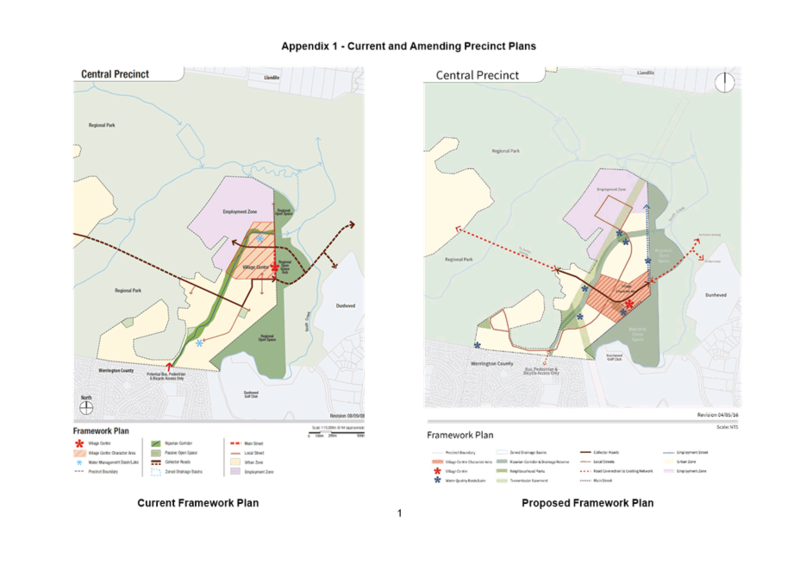 The General Manager be granted delegation to update and finalise the Planning Proposal prior to Council's submission of the Planning Proposal to the Minister for Planning, which will include the preparation of proposed amended LEP 2010 map tiles, proposed amendments to the LEP 2010 written instrument and supporting information. 4. Council officers forward the Planning Proposal to the Minister for Planning with a request to issue a Gateway Determination. 5. 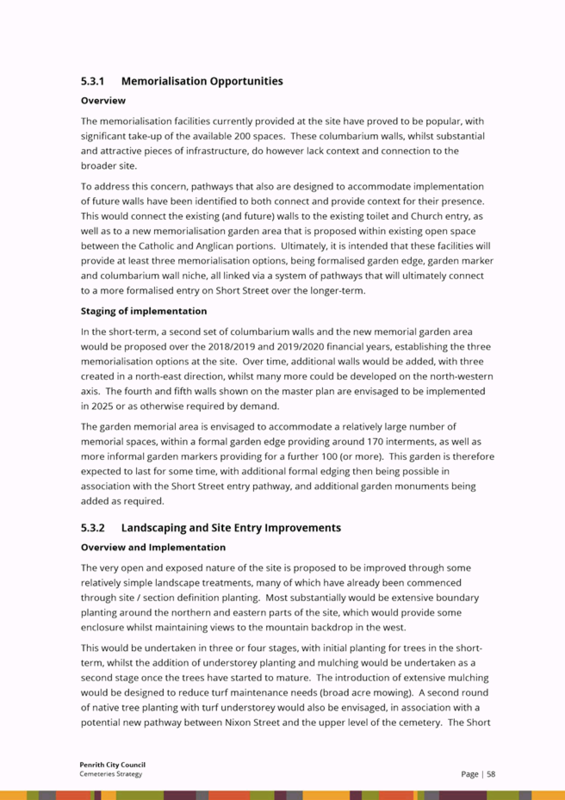 Council publicly exhibits the Planning Proposal for a period to be specified in the Gateway Determination, in accordance with the community consultation requirements. 6. A further report be presented to Council following the Public Exhibition. There being no further business the Chairperson declared the meeting closed the time being 8:43pm. This report provides information on Council’s children’s services that are managed by the Penrith City Children’s Services Cooperative (PCCSC) for the period July 2016 to June 2017. The report includes information on the financial operations of the services managed by the Cooperative. 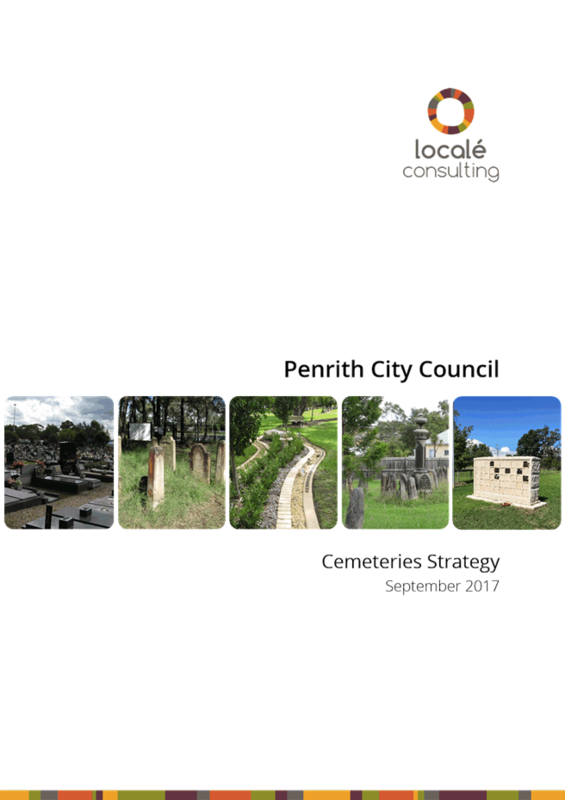 The report recommends that the information be received and that Council underwrite the operations of the PCCSC Ltd until the presentation to Council of the Penrith City Children’s Services Cooperative Ltd Annual Report for 2018-19. The PCCSC became effective on 1 January 2003 and was created to manage a number of children’s services on Council’s behalf including long day care, preschool, before and after school, vacation care and occasional care. The Board also took on management of the Glenmore Park Child and Family Centre in July 2015. The structure of the Cooperative is a Board of 11 Directors including parent representatives, three Councillors, a staff representative, community representatives and a representative of the General Manager. The Board meets on a bi-monthly basis and operates under Council delegation as a non-trading entity. The Board looks at broad policy matters, sets the direction for children’s services and makes major decisions about service provision. Parent advisory committees, elected annually at each site, provide valuable input into the operational aspects of individual services. On Council’s behalf, the Board manages 40 services in 26 facilities including 18 long day care centres, five preschools, nine before and after school care services, seven vacation care and one occasional care service. In addition, from January 2017, the Board has also taken on the development and management of out of school hours services on school grounds. Two such services at Braddock and Werrington County public schools were taken on during this financial year with a further two at Samuel Terry and Kingswood Park public schools to follow. Approximately 4,000 children aged 0-12 years attend the services managed by the Board annually with approximately 360 staff employed in centre-based service delivery including permanent, temporary and casual employees working in full-time and part-time capacities. 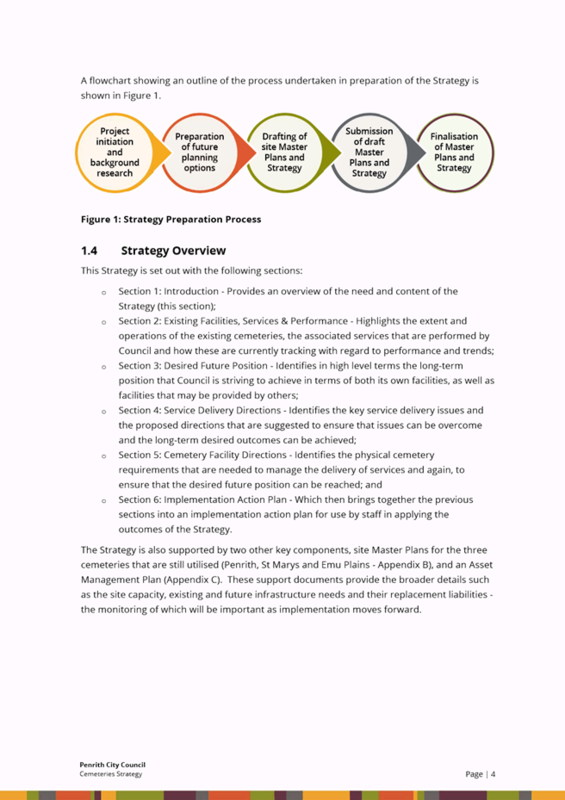 Children’s Services has a broad strategy in Council’s Delivery Program to deliver high quality children’s services. 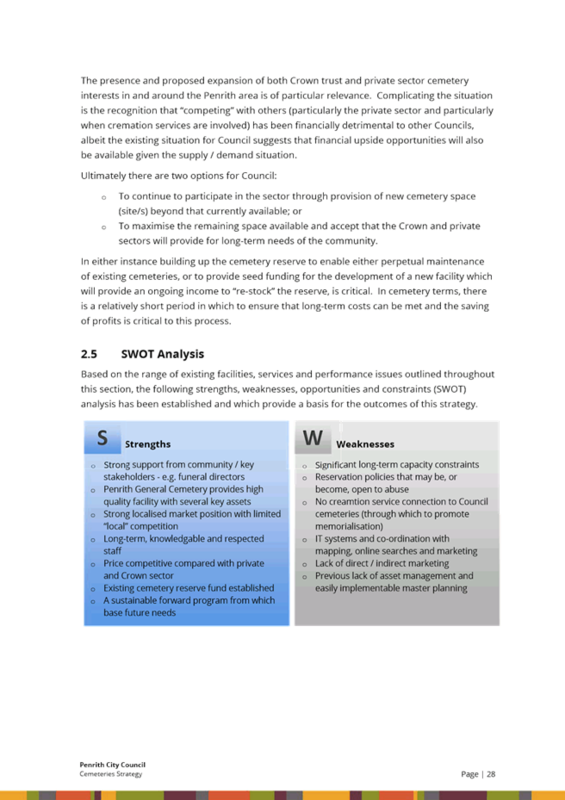 Linked to this strategy are the five major goals in the Board’s Strategic Plan – being a leader in quality, sound financial management, enabling a skilled workforce, being known as a provider of high quality not-for-profit services and having decision making processes that are open and transparent. It is pleasing that a number of key primary actions within these goals have been implemented during the period of review. 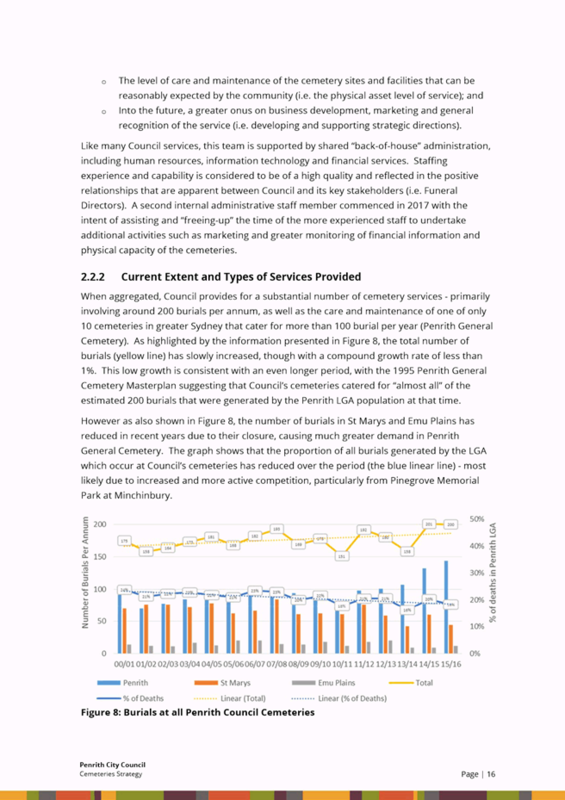 Following the previous year’s favourable operational financial outcome, this year Children’s Services has focussed on consolidating service delivery to the high levels expected by the community, focussing attention on a variety of initiatives, a snapshot of which are highlighted in this report. 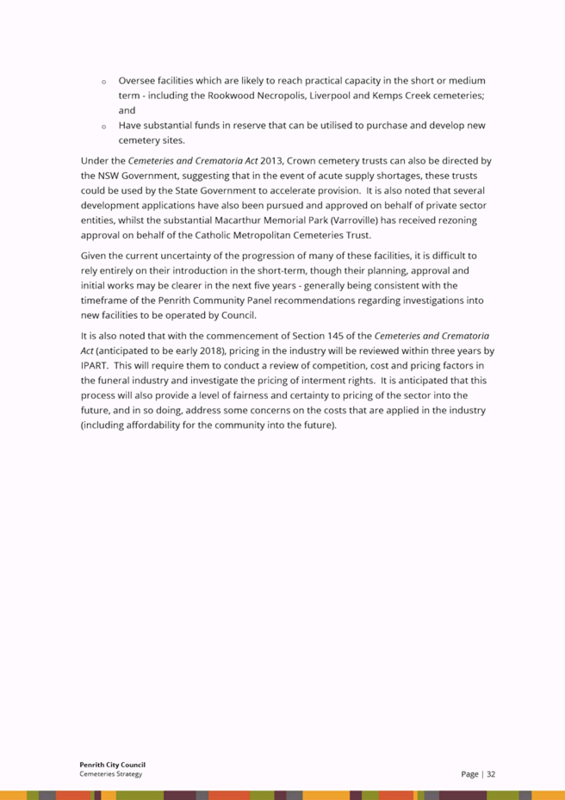 The following comments provide information on some of the operational aspects of the children’s services managed by the Cooperative, as well as a summary of the financial reports for the period July 2016 to June 2017. The Children’s Services program is focused on delivering high quality children’s services that are affordable, accessible and viable. 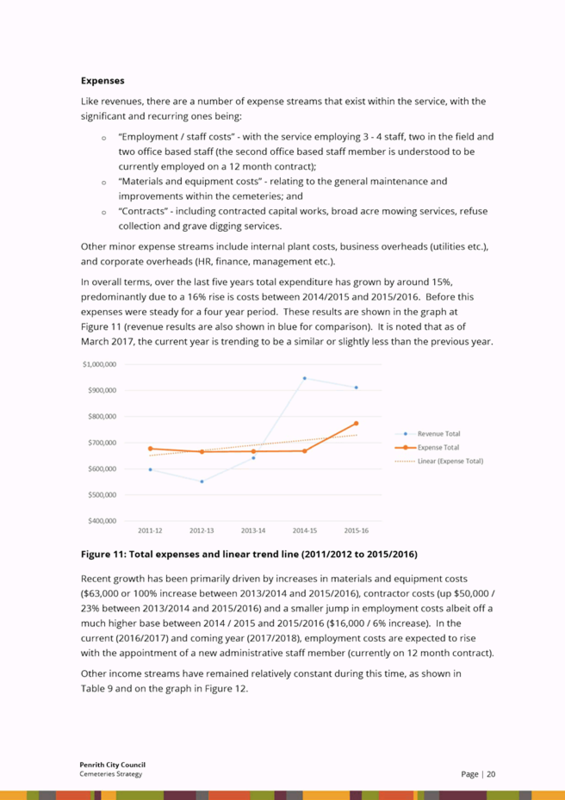 Utilisation of services drives income so is a key performance indicator. For the cumulative period July 2016 to June 2017, of the six components of children’s services managed by the Board, four achieved or exceeded projected utilisation targets with preschool and vacation care slightly below. Children’s Services continuously strives to maintain services as aesthetically pleasing and safe environments for children, families and staff. To this end a significant number of building and playground upgrades totalling $448,000 have been completed during the financial year being reported on. The Board is making more provision than ever for building and playground upgrades to meet the ongoing challenge of ageing buildings. The former Emu Plains library building was renovated to accommodate Emu Village out of school hours service with a new playground and building upgrade totalling $525,885 which has been very well received by families, children and staff. During the financial year, solar panels were installed at seven sites which should see a reduction in emissions and the cost of electricity. Of note during this reporting period is the increased enrolment of children from an Aboriginal background across Children’s Services with the support of significantly reduced preschool fees and the SAACS (supporting Aboriginal access to children’s services) worker. The SAACS worker is the first point of contact for Aboriginal parents which is then followed up with assistance through the enrolment process and liaison with the family afterwards. The SAACS worker has been working with centres to build their capacity to include families from an Aboriginal background and be culturally reflective. External funding to Children’s Services under the federal Indigenous Advancement Strategy has enabled the body of work in relation to children from an Aboriginal background to be expanded. Support to improve access for children with ongoing high support needs has been provided by the commonwealth funded Inclusion Development Fund (IDF) (previously the Inclusion Support Subsidy (ISS)) and the State Government Inclusion Support and Preschool Disability Support Programs. These build the capacity of services to include children with ongoing high support needs into mainstream services. IDF funding enables services to engage an additional staff member but there is still a significant shortfall in the funding received and the cost of employing additional staff which needs to be met by services. There has been an increase in the funding provided, reducing the call on the Council subsidy as It is the gap in funding that is provided by Council towards the Cooperative’s operations. During the year the services managed by the Cooperative enrolled over 95 children with additional needs and disability. Federal Government Long Day Care Professional Development Program (LDCPDP) funding supported Children’s Services to continue to develop a comprehensive professional learning program for all educators and staff during the last financial year. This was achieved by contemporary research in this area and building the professional learning program using understandings that ‘one-off’ training sessions have little impact on improving professional practice. Also, that educator engagement with professional learning is greater when it is attuned to their interests. The program has focused on developing programs that include ongoing training, mentoring and critical reflection. 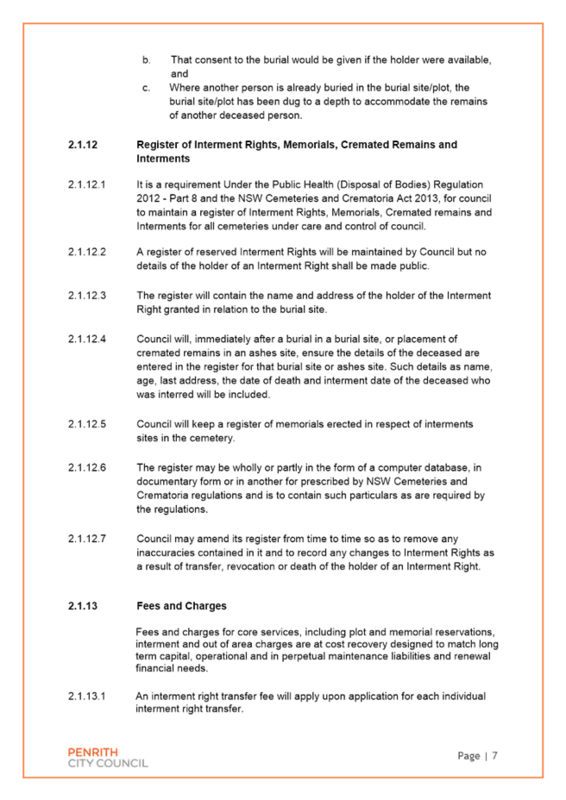 In addition to the programs outlined above, many educators attended external conferences and training. Other projects that have added great value to curriculum implementation have been a music therapy partnership with Nordoff Robbins, a collaborative art project with Lewers Gallery and the Paint Penrith REaD project. The LDCPDP funding has now ceased and to ensure professional development can continue and be self-sustaining within children’s services, a number of staff have undertaken Certificate IV in Training and Assessment which will continue to build the capacity of our own staff. The results for children’s services in the organisational employee engagement survey show that staff feel they have the training and knowledge to do their job and they understand how they contribute to the satisfaction of customers. Staff have done a great job in supporting families living in vulnerable circumstances and have, in turn, been supported by the Children’s Services CAPPS (children and parenting program support) coordinator, a position funded until June 2018 by the federal Department of Social Services. Children’s Services has continued to show leadership, internally and externally, in relation to sustainability, from success in eliminating laminating in early childhood, reducing the use of paper, supporting children to understand the link between litter and waterways and an ethical purchases challenge. Children’s Services has been awarded a number of sustainability awards. 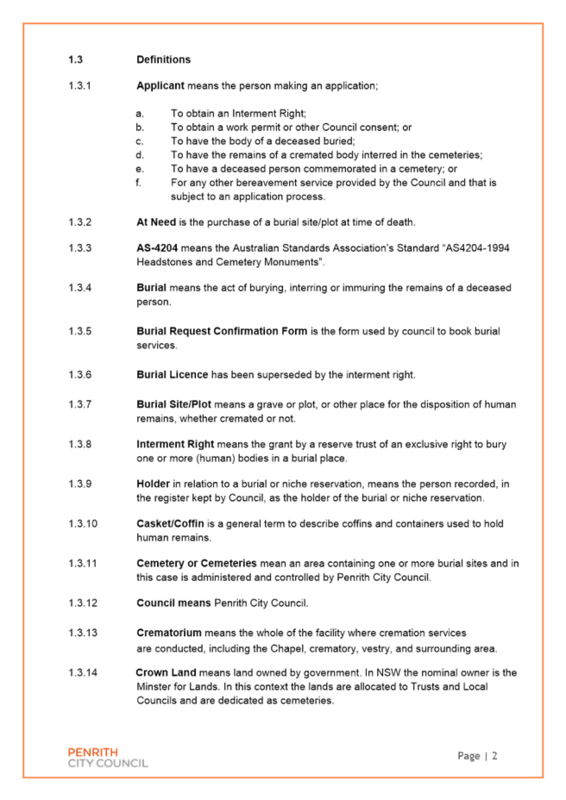 The National Quality Standard came into effect in 2012. All services managed by the Cooperative have been assessed and rated under this system with 100% rated as meeting or exceeding the standard, compared to only 69% of centres achieving this nationally. The results have also exceeded the trend for NSW and reflect the great work being undertaken by the services managed by the Cooperative. During the year, children’s services has strengthened its business model approach to the management of centres. The Business Coordinator dedicated to Children’s Services has further strengthened and streamlined business practices across all services. Productivity initiatives have included the commencement of information technology rectification, upgrades to the software for the management of children’s enrolments, attendance and family fees, as well as ongoing global contracts for cleaning, consumables and garden maintenance. Several successful marketing and awareness campaigns were run during the financial year including bus sign advertising, parent testimonials and Hoyts promotion. Children’s Services had a presence at many community events during the year including the REAL festival, cinema in the park, Australia Day and music by the river and was the catalyst for the success of children’s week, grandparents day and families week events. The services managed by the Cooperative reported a small operating surplus from ordinary activities of $40,000 for the 2016-17 year. This surplus was achieved from revenues of $23,196,000 with expenses for the same period being $20,404,000. This surplus result is after a contribution from Council of $145,000 as well as transfers to several operational reserves of $2,842,000 for future projects and transfers from reserves for current year projects. These reserves include provision for playground and building upgrades, bus replacement, centre equipment, advertising and marketing as well as ‘value add’ programs such as music and art. Income derived from the provision of childcare, as represented by childcare fees and childcare benefit (CCB) was $20,168,000 which is an increase on original budget projections due to several service types meeting or exceeding their budgeted utilisation targets. Grant funding of $2,885,000 was provided by both the state and federal governments. This is representative of an increase of 28% in terms of grant funding received compared to last financial year. The increase can be attributed to a one off ad hoc grant, funded from the state Department of Education. Employee costs for 2016-17 were $18,428,000 which is an increase of 2.9%. Reflective of the industry within which the Cooperative’s services operate, employee costs account for the largest category of expenditure and comprise 90.32% of the total cost of the Cooperative’s operations. In 2016-17 the Cooperative Services made provision for $112,698 towards funding Employee Leave Entitlements (ELE) for children’s services staff. This allowed the Cooperative to fully fund leave entitlements attributable largely to annual leave and long service leave. Expenditure on materials, contracts and other expenses were $1,976,000 which is a decrease of 2.08% on last year’s result. This was largely the result of decreased discretionary expenditure at several children’s centres as well as some expenditure being offset by special projects funded by grants. Council’s commitment to directly supporting the initiatives undertaken by the Cooperative is reflected by the subsidy provided to the Cooperative’s operations of $145,000. Of this subsidy $120,000 provides essential funding for inclusion development while $25,000 supports the Glenmore Park Child and Family Centre. Council make significant other financial contributions to children’s services overall which is outlined through the annual Operational Plan. The financial outcome for the services managed by the Cooperative for the financial year 2016-17 is considered a good result and is testament to the strong financial management of the Cooperative’s services. For the children’s services managed by the Cooperative, the maintenance of utilisation levels is critical to their financial viability and the external grant funding received is of high importance to be able to sustain service delivery at current high levels. The establishment of the Penrith City Children’s Services Cooperative has proved to be an effective management model for the children’s services sponsored by Council. The small favourable outcome for the 2016-17 financial year is an excellent achievement given the current financial environment, and provides some necessary equity to position the services for the coming years. The Board of Directors is well aware of the complexities of the operation of children’s services and the challenges that this brings and maintaining a balance between services that are viable, accessible and affordable is high on the Board’s agenda. Sustaining the high quality of service provision for which Council’s services are known is a key driver. Affordability continues to be the driving factor for utilisation levels across all service types and balancing this with viability is a key priority. Lobbying and advocacy continue to ensure that issues related to children’s services, and particularly issues related to the not-for-profit sector and the Penrith context, are raised and have a high profile. Continued compliance with the National Law and Regulations is testament to the skill, motivation and dedication of the children’s services staff and the support provided by the Children’s Services internal management team. The Board is under no illusion that the year ahead will hold challenges in its quest to ensure the children’s services remain viable within a climate of increased competition, legislation and regulation requirements and the challenge to maintain a skilled workforce. Some known challenges for children’s services for the year ahead include the federal government Jobs for Families Package and changes to state government ‘Legacy’ funding. The Board will need to keep abreast of emerging issues so that sound change management practices are adopted and the high quality of service provision is sustained. During the financial year 2016-17, there were no significant changes in the operations of the Cooperative. The Annual General Meeting was held in October 2017. Council’s representatives on the Board of Directors are Councillors Ross Fowler OAM, Councillor Todd Carney and Councillor Kath Presdee. The General Manager’s representative and Company Secretary is Executive Manager Community and Chief Operating Officer, Vicki O’Kelly. The purpose of this report is to present Council with information relating to the Roads and Maritime Services’ (RMS) proposed Mamre Road Corridor Upgrade. This includes the initial strategic design to identify and preserve the road corridor required for the upgrade of Mamre Road, between Kerrs Road (Mount Vernon) and the M4 Motorway (St Clair). RMS has carried out a number of investigations and technical studies to identify the best option to support current traffic demands and future growth in the area. 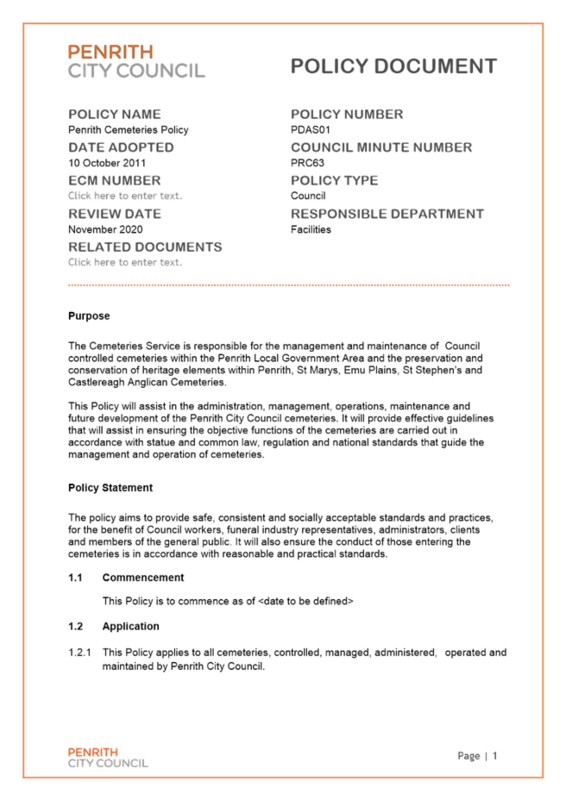 This report will provide an assessment of the key issues that have been part of the exhibited material. 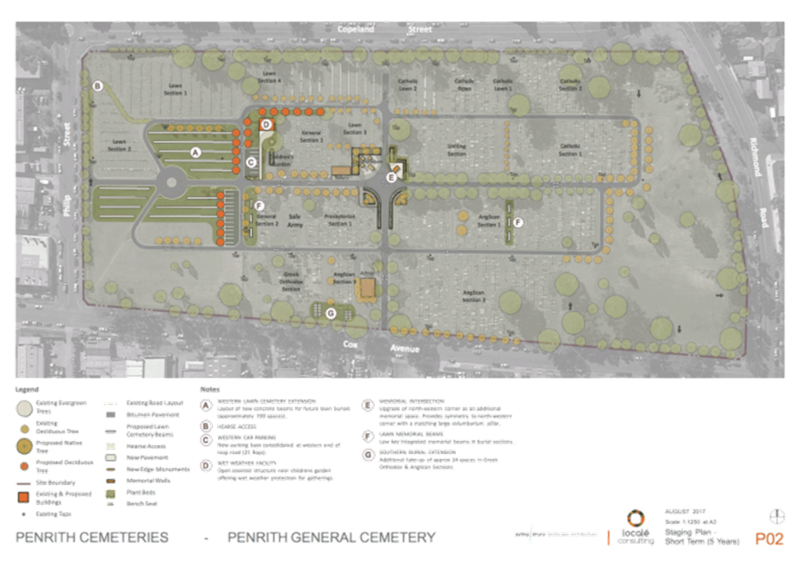 The preferred corridor plan is currently on exhibition, seeking community feedback by Friday, 15 December 2017. 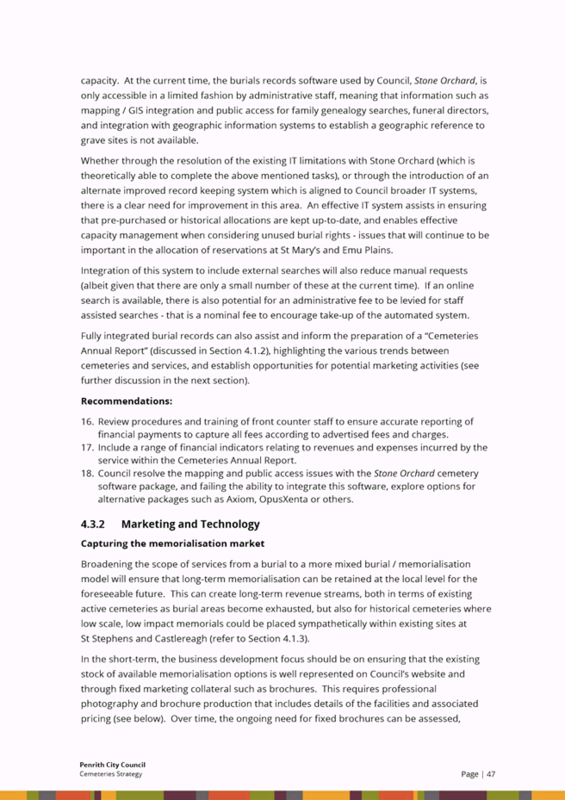 The report recommends that the information be received and that the Engineering Services Manager be authorised to finalise a submission, based on this report, and forward it to the RMS by the closing date of 15 December 2017. 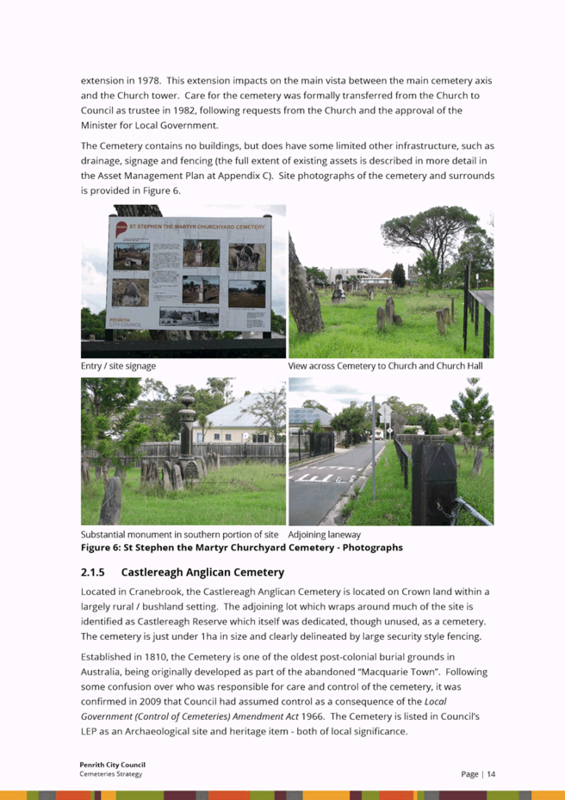 In May 2017, the NSW Government informed the community about the early planning for a future upgrade of Mamre Road, between the M4 Motorway and Kerrs Road, to support economic and residential growth in this area. Mamre Road (Main Road 536) is a State Road connecting Elizabeth Drive in the south to the M4 Motorway and Great Western Highway in the north. Mamre Road between Elizabeth Drive and M4 Motorway is currently a two-lane undivided road. South of the Water NSW pipelines near Bakers Lane, Mamre Road passes through a semi-rural environment. North of the pipelines, the western side of Mamre Road is largely semi-rural except for the recently re-zoned Mamre West Precinct currently under development and on the eastern side is the Western Sydney Employment Area of Erskine Park and the residential area of St Clair further north. RMS’ previous investigations and technical studies to assess road network requirements with the full development of Western Sydney Employment Area identified the need to upgrade Mamre Road to four lanes between M4 Motorway and Mamre Road. Forecast traffic volumes are estimated to increase from circa 15,000 vehicles per day presently, up to 25,000 vehicles per day by 2036. As the Western Sydney Employment Area develops there will be a greater need for commercial and industrial vehicles to have better access to major motorways to and from Western Sydney Priority Growth Area and Western Sydney Employment Area. Upgrading Mamre Road would, in part, provide this link. At the northern end, the M4 Smart Motorway project will be enhancing the connection to the M4 Motorway and at the southern end, the M12/Mamre Road interchange will be making provision for a high standard connection to the M12 Motorway in the future. RMS has been developing a strategic design for the upgrade which commenced in 2016. 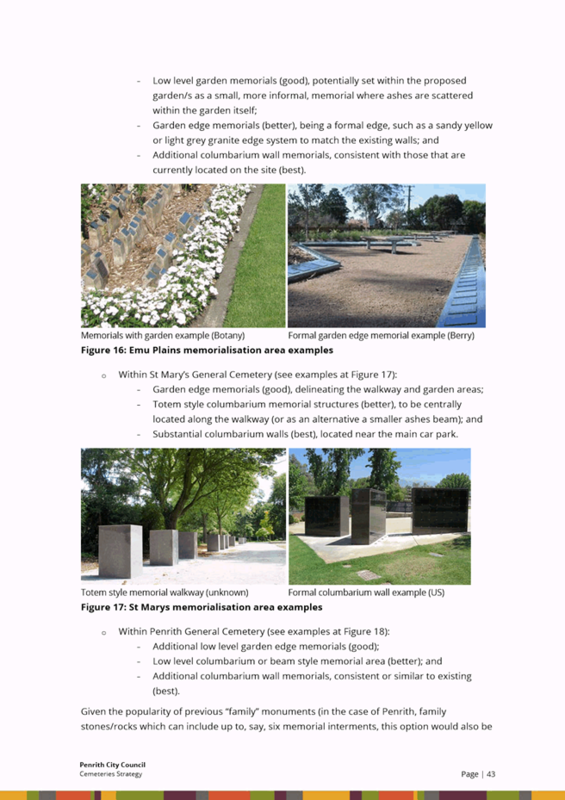 A preferred corridor option was identified based on field work and technical studies which included survey, traffic modelling and environment and heritage investigations. An eastern and western option for widening of the Mamre Road corridor between Kerrs Road to the Water NSW pipelines from 40 metres to 50 metres was developed. There are established industrial and residential developments on the eastern side of Mamre Road from the Water NSW pipelines (near Bakers Lane) to Luddenham Road which represents a major constraint to any eastern corridor widening option in that area. As a result of this constraint, the proposed corridor widening is on western side for this section of Mamre Road. RMS’ proposal requires a 50 metre road corridor along Mamre Road. Already there is a 50 metre wide corridor from Luddenham Road to the M4 Motorway. 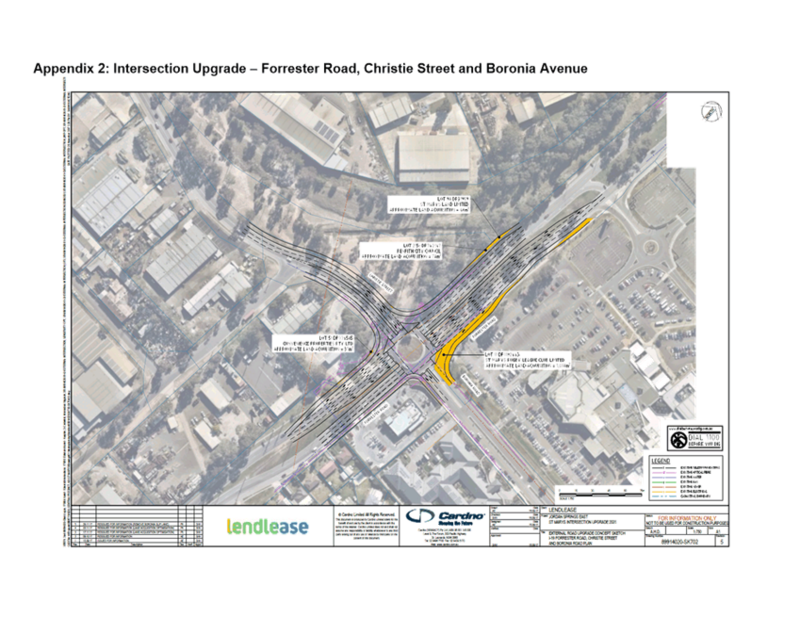 RMS has identified and considered alternative intersection options to provide safe access to and from properties in the adjoining area. The Corridor Upgrade report has not addressed the intersection of Kerrs Road and Mamre Road. It is anticipated that this intersection will be addressed as part of the future M12 Motorway connection to Mamre Road. Four-way intersection with traffic lights at Abbotts Road with the new fourth intersection leg used as a U-turn facility. To improve safety, the proposal would include the introduction of a central median and a restriction on right-turn access to and from properties along Mamre Road. The distance between the Abbotts Road and Bakers Lane intersections is about 3.1 kilometres. RMS is proposing to provide a U-turn facility midway between these intersections in order to reduce the additional travel distance required for those road users needing to make U-turns to access properties adjoining Mamre Road. RMS has considered 3 options. Option 2 accommodates a western road stub for potential future intersection between the Abbotts Road and Bakers Lane. 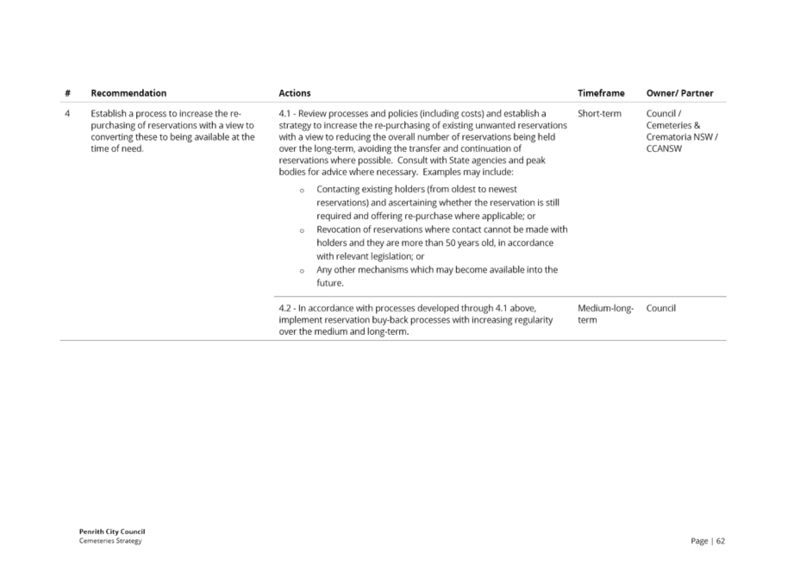 This has been adopted as preferred by the RMS and it is supported. In 2014, the Department of Planning and Environment proposed a Southern Link Road, which would provide a future east-west arterial link from Wallgrove Road to Mamre Road. The Southern Link Road would run parallel to and about 40 metres south of Bakers Lane, shifting the intersection of Bakers Lane with Mamre Road to the south. 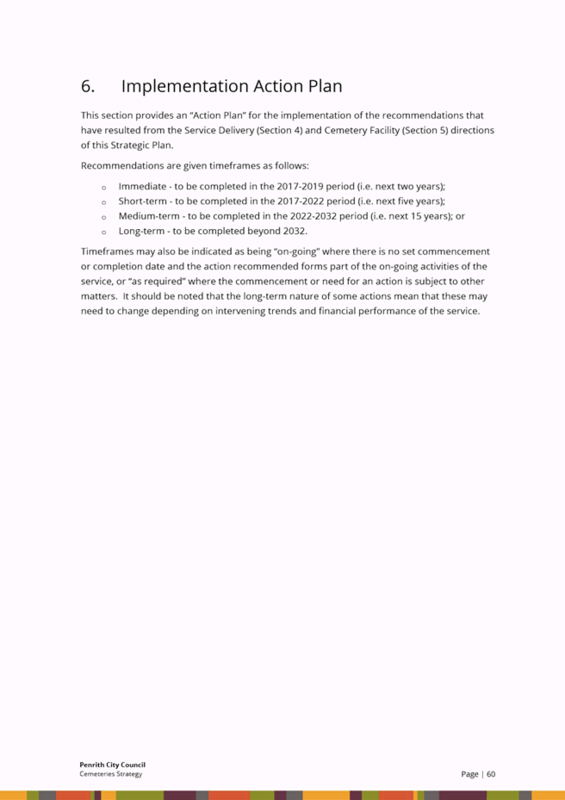 o Option 1 – Align the intersection with the existing Bakers Lane corridor pending determination of the Southern Link Road project - Recommended option. This recommended Option 1 is not supported based on our previous submission to NSW Planning & Infrastructure on 18 August 2011 and our previous submission generally supported Option 2. 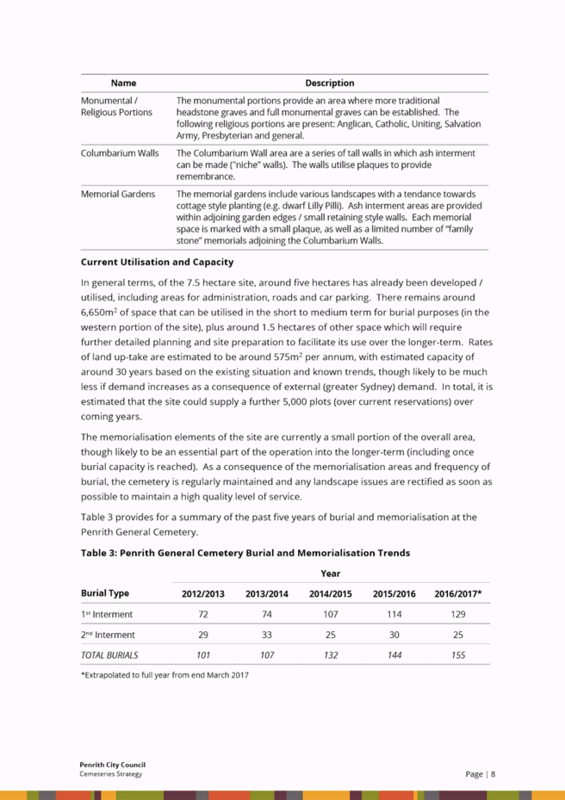 A detailed Council submission is provided later in this report. 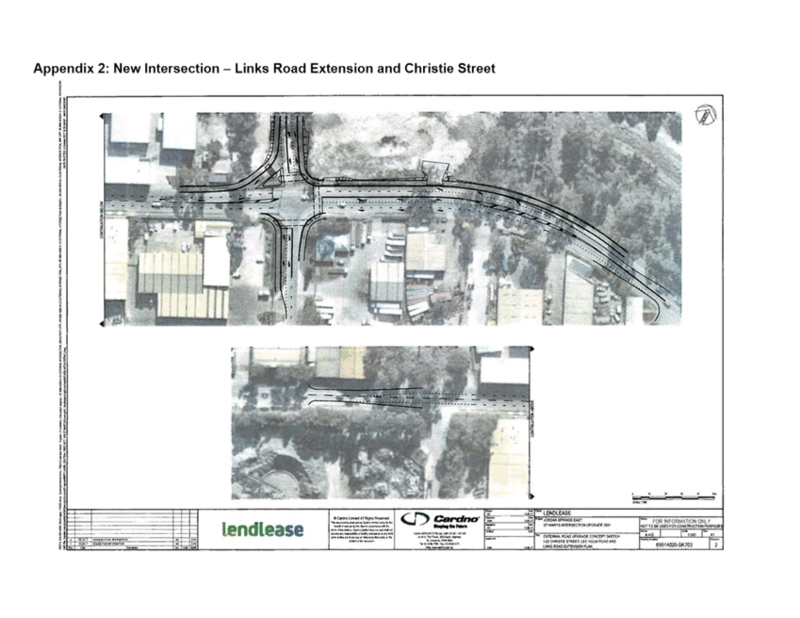 o Option 2 – Close the existing Bakers Lane intersection and provide an intersection with the proposed Southern Link Road immediately to the south. o Option 3 – Align the intersection with the existing Bakers Lane corridor and align the Southern Link Road to connect to this intersection. The Corridor Upgrade report identified a four-way intersection with traffic lights at James Erskine Drive with a new fourth intersection leg on the western side to provide access to future industrial developments on the western side of Mamre Road as well as a future internal connection to Mandalong Close. The Corridor Upgrade report has not identified any improvements to the existing Erskine Park Drive and Mamre Road intersection. Currently, Mandalong Close provides access to twelve houses and a childcare centre. In 2016, Planning and Environment announced Mamre West Precinct as a State Significant Development (SSD 7173). The approved Development Control Plan for this precinct includes an internal road network to connect Mandalong Close to the main signalised access to the precinct at James Erskine Drive. o Option 1 – Convert the intersection into left in, left out only. Recommended option. 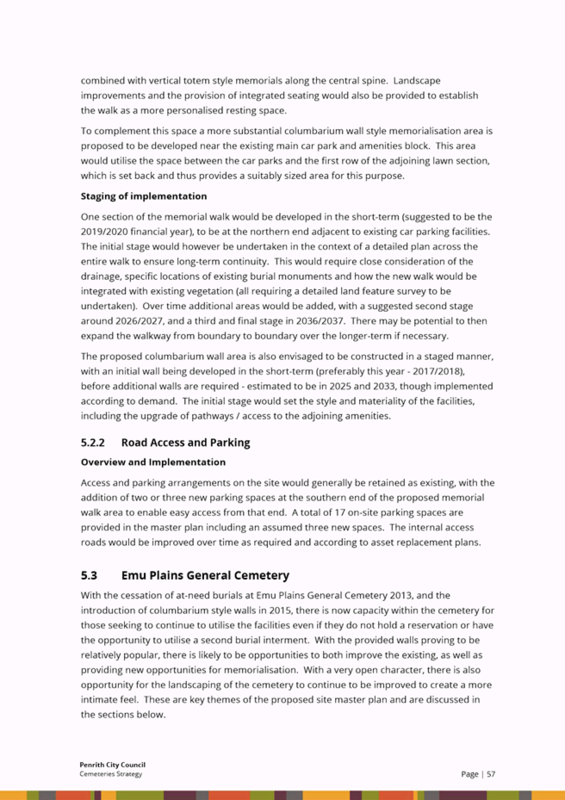 o Option 2 – Add a new fourth leg at the intersection with Erskine Park Road and provide a connection to Mandalong Close via an existing lane for the childcare centre. Option 1 (left in, left out) can only be supported subject to the establishment of an internal connection between Mandalong Close and the new four way signals at James Erskine Drive. McIntyre Avenue is one of three roads that provide access to the St Clair residential area from Mamre Road. McIntyre Avenue is about 220 metres south of the intersection of Luddenham Road. o Option 1 – Convert the intersection with McIntyre Avenue to left in, left out only. 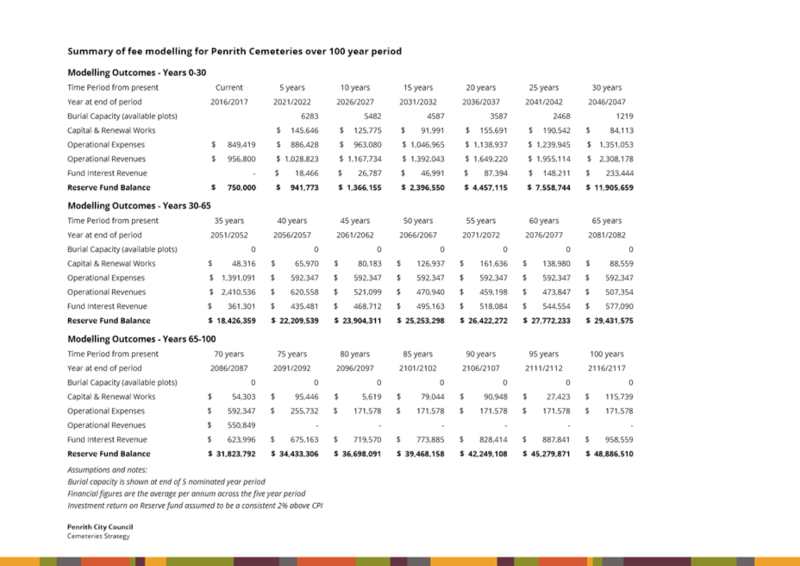 RMS’s recommended option. o Option 2 – Realign Luddenham Road to intersect with McIntyre Avenue. 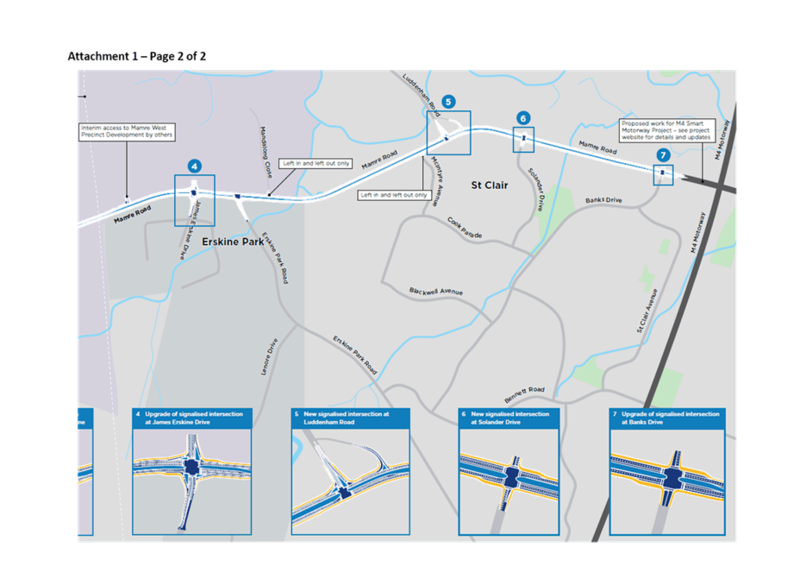 o Option 3 – Link McIntyre Avenue to the intersection at Luddenham Road. This option would involve shifting the alignment of Mamre Road to the west to fit a north-south link road from McIntyre Avenue to Luddenham Road. The link road would be located within the road corridor along the eastern side and connect to the intersection with Luddenham Road. 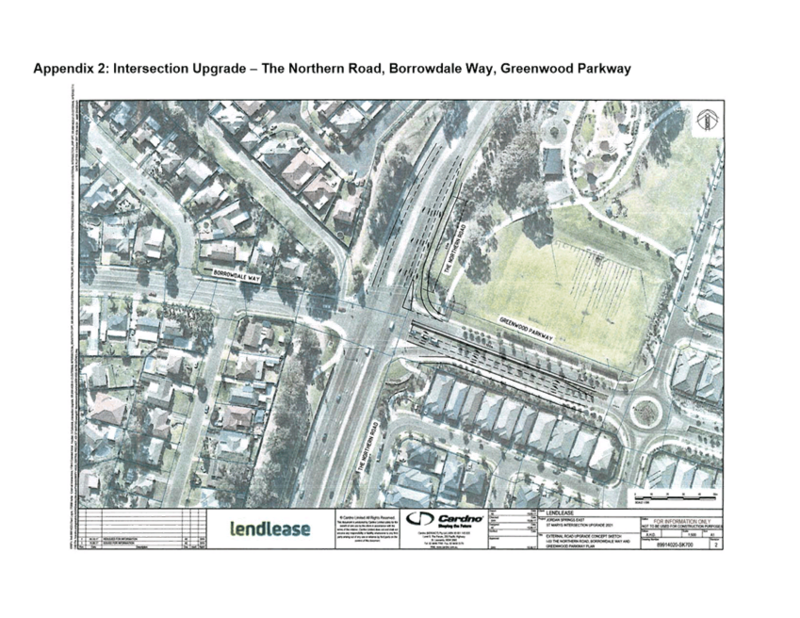 The Corridor Upgrade report identified a T-junction with traffic lights at Luddenham Road with a U-turn arrangement via a road around the Erskine Park Rural Fire Brigade property. The Corridor Upgrade report identified a four-way intersection with traffic lights at Solander Drive with a new fourth intersection leg to provide access to Department of Planning and Environment land on the western side of Mamre Road for future development. The Corridor Upgrade report identified a four-way intersection with traffic lights at Banks Drive with a new fourth intersection leg to provide access to Mamre House. • Four-way intersection with traffic lights at Abbotts Road with the new fourth intersection leg used as a U-turn facility. • U-turn facility with traffic lights midway between Abbotts Road and Bakers Lane. The U-turn facility would utilise a stub for a potential future new intersection. • Four-way intersection with traffic lights at the existing location of Bakers Lane intersection. The western intersection leg would include a U-turn facility. 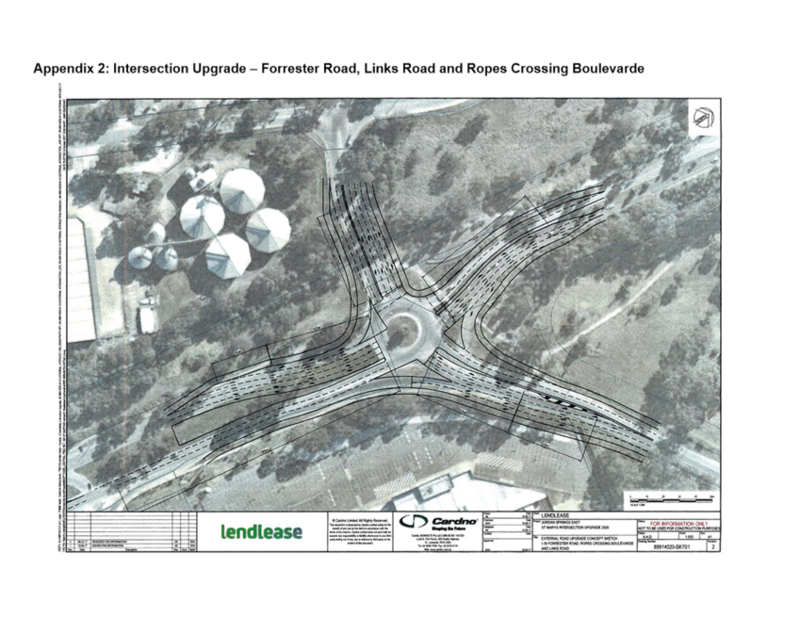 • Four-way intersection with traffic lights at James Erskine Drive with a new fourth intersection leg on the western side to provide access to future industrial developments on the western side of Mamre Road as well as a future internal connection to Mandalong Close. • T-junction with traffic lights at Erskine Park Drive. • Left in, left out only T-junction at Mandalong Close. • Left in, left out only T-junction at McIntyre Avenue. • T-junction with traffic lights at Luddenham Road with a U-turn arrangement via a road around the Erskine Park Rural Fire Brigade property. • Four-way intersection with traffic lights at Solander Drive with a new fourth intersection leg to provide potential future access to Department of Planning and Environment land on the western side of Mamre Road. • Four-way intersection with traffic lights at Banks Drive with a new fourth intersection leg to provide access to Mamre House. The Mamre Road Upgrade Study and the M4 Smart Ramps Project do not ‘connect’ on Mamre Road, between Banks Drive and the M4. Clarification of this section of Mamre Road is required. 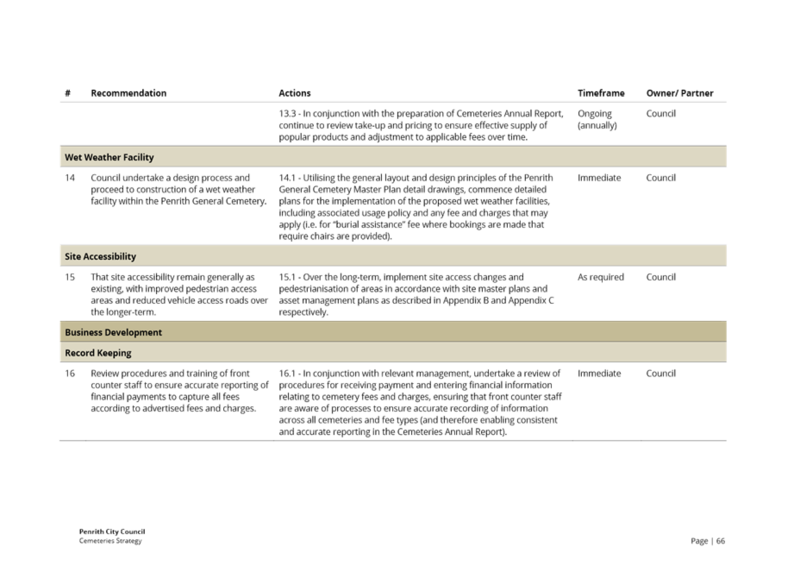 The Corridor Upgrade report includes a preliminary assessment of environmental factors that would apply to the project. However, there is no mention or detail of the stormwater quality impacts from the project and no stormwater treatment measures are currently proposed. A detailed Council submission is provided later in this report. 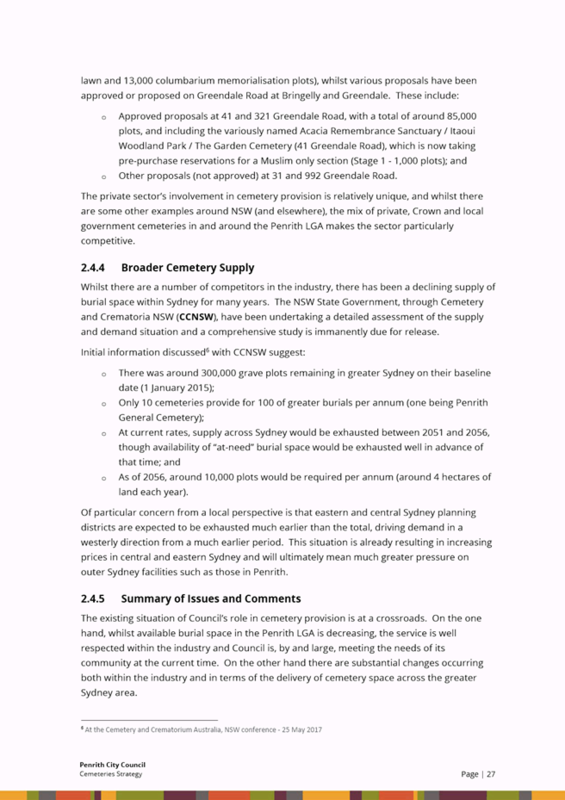 Mamre Road Upgrade report, Section 3.1 briefly mentions the potential for soils to be contaminated, but it makes no mention of the need for an investigation of the corridor. A detailed Council submission is provided later in this report. South Creek Flood Study, 2014 identifies that Mamre Road Upgrade is affected by 20 year, 100 year and PMF floods at a number of locations between Erskine Park Road and the M4 Motorway. Mamre Road Upgrade report, Section 3.2 briefly acknowledges this, however the report does not propose anything to address the flooding (e.g. to raise the road). A detailed Council submission is provided later in this report. 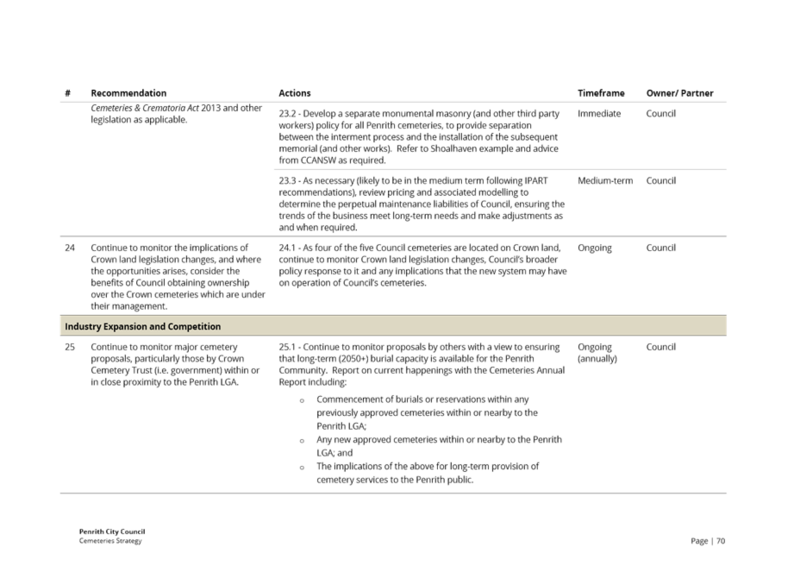 The report includes a very brief preliminary assessment of environmental factors that would apply to the project. It raises the issues of threatened ecological communities and impacts on fish habitat at Kemps Creek. The preferred options appear to have attempted to avoid impacting on the larger areas of vegetation. A detailed Council submission is provided later in this report. It appears that the Mamre Road Upgrade Study and the M4 Smart Motorways Project do not ‘connect’ on Mamre Road, between Banks Drive and the M4. Clarification of this section of Mamre Road is required. Furthermore, Mamre Road Upgrade Study needs to consider and subsequently upgrade the section of Mamre Road between Banks Drive and the M4 Westbound intersection, as during the peak times, local traffic exiting from Banks Drive and turning Northbound is already at an unacceptable level of service. In addition, the M4 Smart Motorways Project includes this ramp to be upgraded to two Westbound lanes (off ramps), but neither Project appears to duplicate the Northbound turn lane that turns onto the M4 Motorway. It is strongly recommended that this project address the duplication of the Northbound turn lane that turns onto the M4 Motorway. The scope of work needs to be extended in a northly direction from the M4 Motorway to the Great Western Highway. 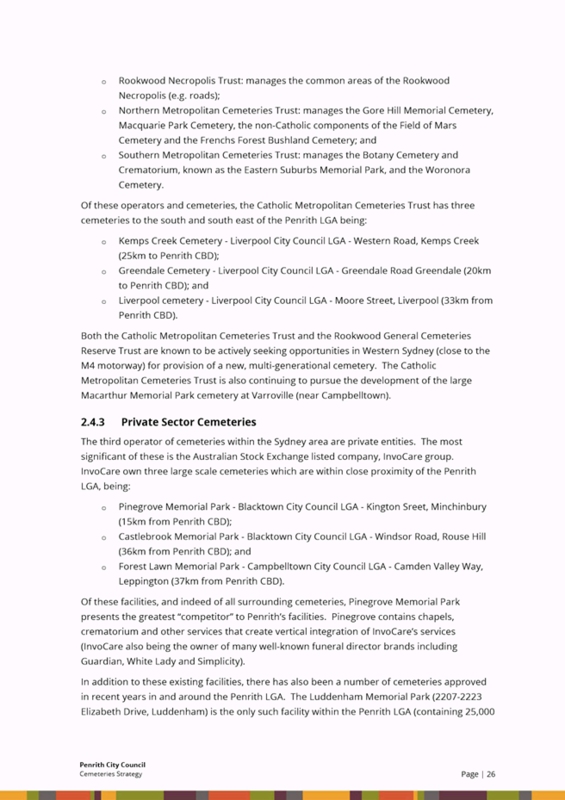 If this is not included in this corridor planning exercise, then Council seeks a commitment from the RMS for a future corridor planning exercise for that section of Mamre Road, between the M4 Motorway and the Great Western Highway. The report identifies that Mamre Road will change from a State Arterial Road to a Primary Arterial Road. The report does not expand on what this means and the implications of this change. Further clarification is recommended. 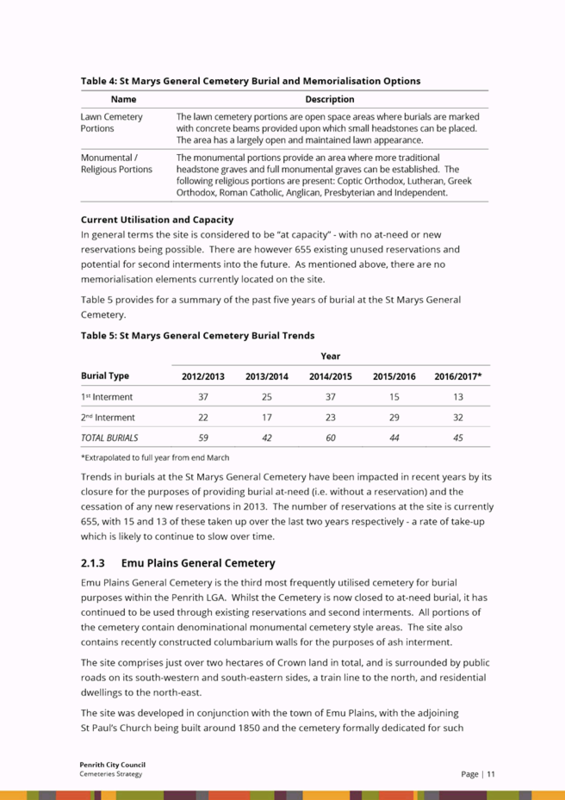 The report references strategic planning documents that have now been superseded. To ensure it links with proposed draft strategies, the report should reference the draft Future Transport 2056 Strategy, draft Services and Infrastructure Strategy, draft Region Plan and draft Western City District Plan. This is important because the land that is serviced by Mamre Road is highlighted for future use as a national freight and logistics hub, emphasising the significance of Mamre Road as a major/primary road servicing this precinct. 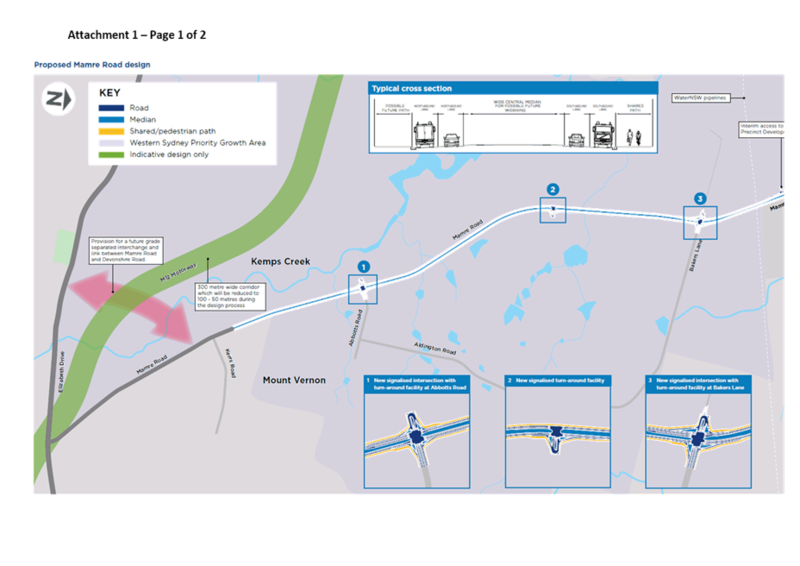 The report describes the proposed infrastructure treatments for existing conditions and intersections, however the area that Mamre Road services is part of the Western Sydney Airport Growth Area which will undergo significant growth in the future. This report should at least outline the principles/objectives that will guide the future planning of land adjacent to Mamre Road, and indeed the road structure and hierarchy. The proposed increased number of lanes along Mamre Road is supported. The increase of the number of lanes would improve road capacity and travel times. 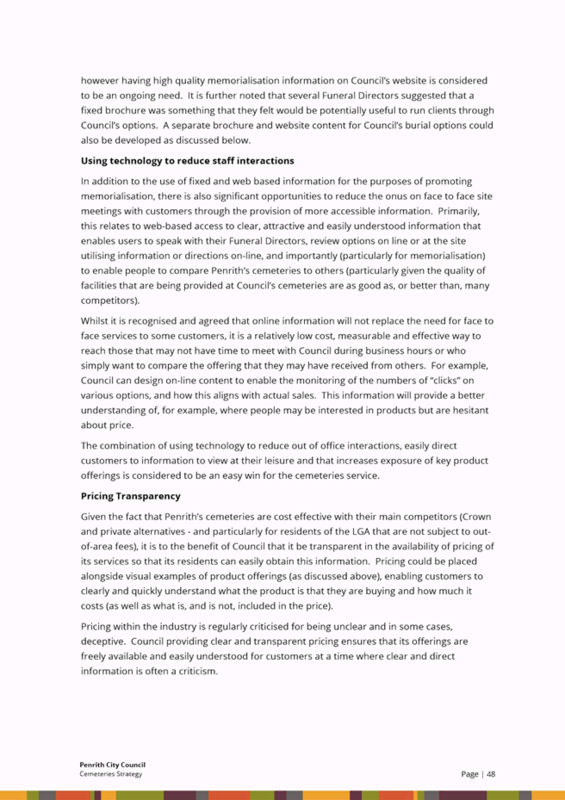 Council requests a traffic model for all intersection assessment and layout concept plans for the preferred option to be provided to Council in order to justify the local road changes and show levels of service on Council’s adjacent road network, particularly queuing in the local streets on approaches to signals. Bakers Lane however, is not supported and is covered in more detail below. RMS’s recommended option for Bakers Lane is a four way intersection with traffic lights at the existing Bakers Lane intersection (Option 1). The western intersection leg would be used as a U-turn facility and could be aligned in the future to connect to the proposed Southern Link Road intersection at Bakers Lane. This option is not supported. Previously, Council considered reports on the Erskine Business Park - Southern Link Road Network Strategic Transport Assessment at its meetings in 15 August 2011. 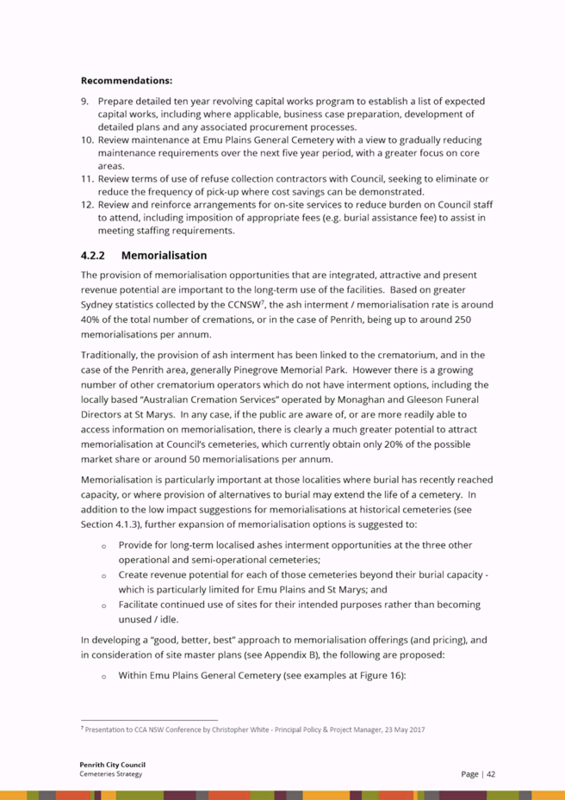 In response to the report, Council resolved to express its view on the 18 August 2011 to NSW Planning & Infrastructure that Bakers Lane (to the east) should not take the role of an arterial road and should be retained as a service road only to provide separate and appropriate access to the existing developments with connection onto the northern side of Bakers Lane. The arterial road alignment should be promoted as a separate alignment immediately to the south, providing a connection to Bakers Lane, but separating the distinct functions of the existing road and the proposed Arterial Road. In considering Council’s view, the proposed Bakers Lane alignment Option 1 is strongly opposed. In principal, Council supports Option 2 - “Close the existing Bakers Lane intersection and provide an intersection with the proposed Southern Link Road to the south”. This road connection will have the existing Bakers Lane to be retained as a service road with a new arterial road parallel to Bakers Lane. It would need to have a separate alignment approximately 40-60m south of the Bakers Lane road reservation. 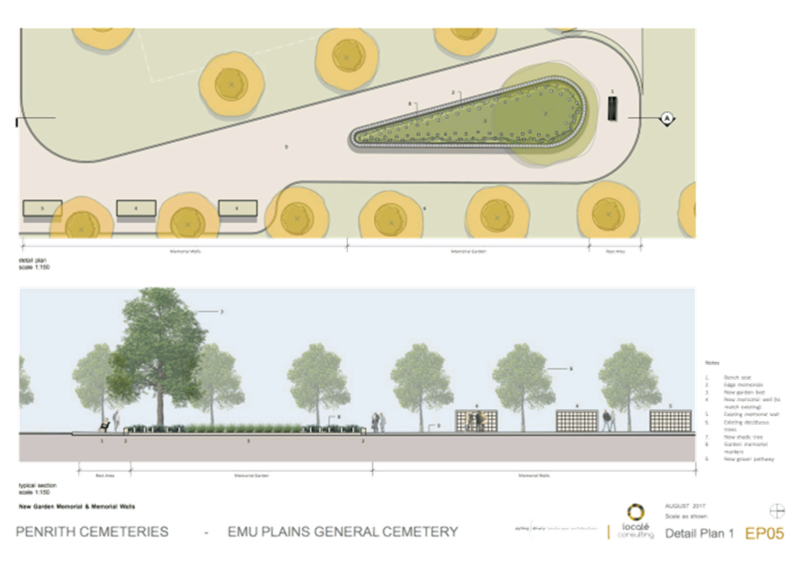 · Widening options allow for shared-use path to travel behind bus priority zones/stops with separate space for DDA complying boarding points, shelters etc. 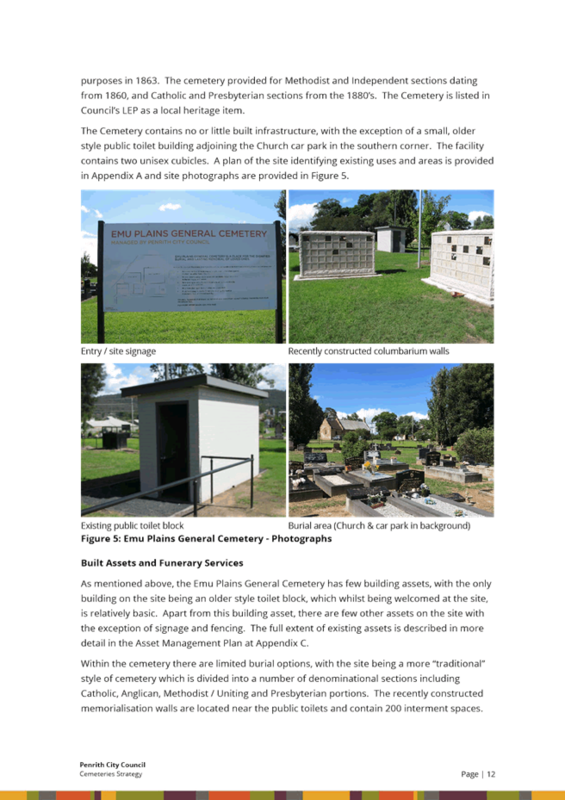 · There are shared paths constructed between Erskine Park Road and James Erskine Drive. This network should be expanded with connection to the M4 Interchange (or to St Clair as a minimum) to provide viable alternatives to vehicular transport. 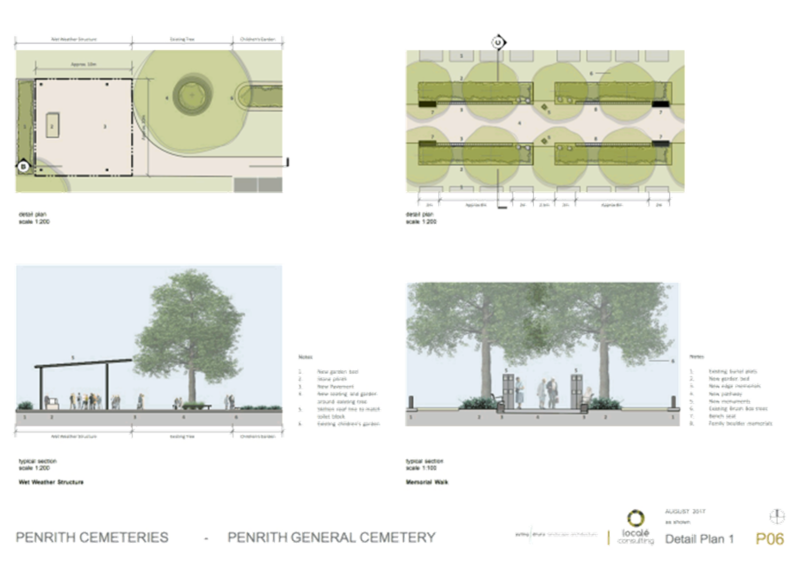 Planning and design of landscaping and urban infrastructure beyond the pavement is critical to the success of this project. Initial planning must include suitably wide verges and boundary setbacks to accommodate planting for large trees and their rootzones, in keeping with both rural and suburban landscape characters. This is to be in accordance with Council’s strategies including scenic and visual corridors, environment, as well as cooling the city. Underground and overhead services must be managed to achieve the above outcome. Screening planting is required to address unsightly rear boundary suburban fencing. The REF/EIS for the project (once prepared) must include commitments to ensure that water quality is managed regarding erosion and sedimentation controls during the construction of the project. Given the emphasis being placed on South Creek as a future defining spatial element within the new Western City District (as per the Greater Sydney Commission’s draft Western District Plan), the proposed widening of Mamre Road presents an opportunity to include stormwater treatment and to mitigate water quality impacts on the receiving waters which includes South Creek, Kemps Creek, and their tributaries. While Council’s WSUD Policy does not strictly need to be complied with due to the nature of the project, it is strongly suggested that some of the principles of the policy be incorporated into the project. The stormwater treatment for this project should seek to achieve best practice wherever possible. 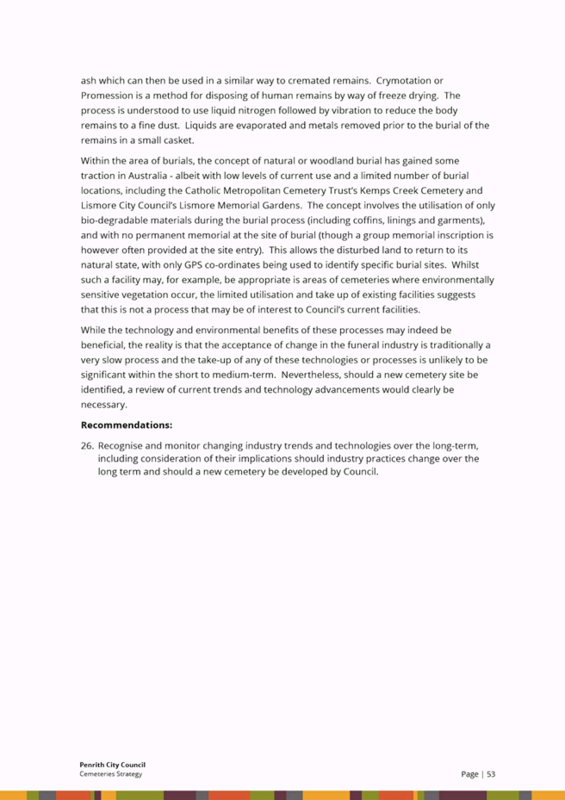 In this regard, it is recommend the stormwater treatment should be designed to achieve the criteria outlined in Council’s WSUD Policy, as above. However, at a minimum, it is suggested that suitably sized vortex style GPTs with offline storage be incorporated into the design. The inclusion of treatment for gross pollutants would be consistent with the approach taken in the Northern Road upgrade works. The Geology and Soils section mentions the potential for soils to be contaminated, but it makes no mention of the need for an investigation of the corridor. In this regard, a contamination assessment of the road corridor needs to be undertaken as part of the environmental assessment phase. The investigation needs to be prepared in accordance with relevant NSW EPA standards and guidelines. South Creek Flood Study, 2014 identifies that Mamre Road is affected flood events greater than 20 year ARI at a number of locations between Erskine Park Road and M4 Motorway. The section 3.2 of the road upgrade option development report briefly mentions about the flooding aspects, however the report does not propose anything to address the flooding. During larger flood events, this section of Mamre Road would be widely used for many purposes. 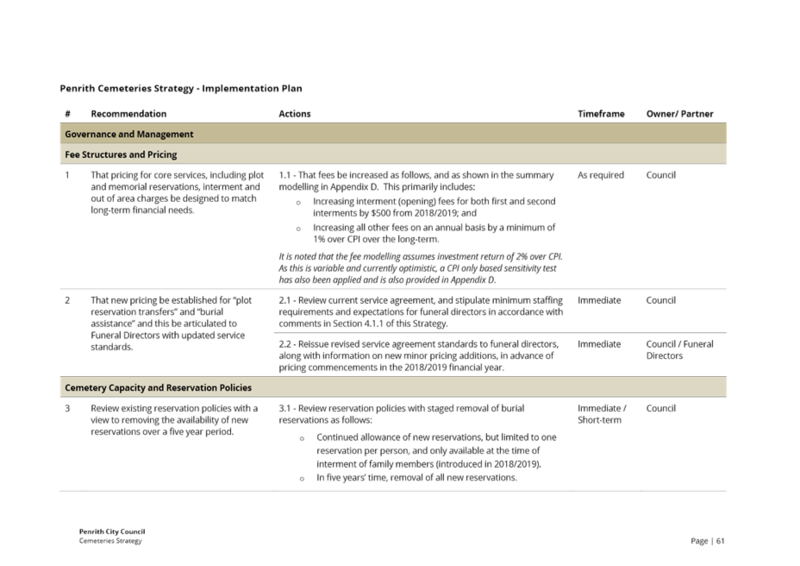 REF/EIS is therefore required to consider raising the sections of road where flooding is identified to provide higher flood immunity. In addition, that there are many local catchment flow crossings east to west. These are identified in Penrith Overland flow “Overview” study. 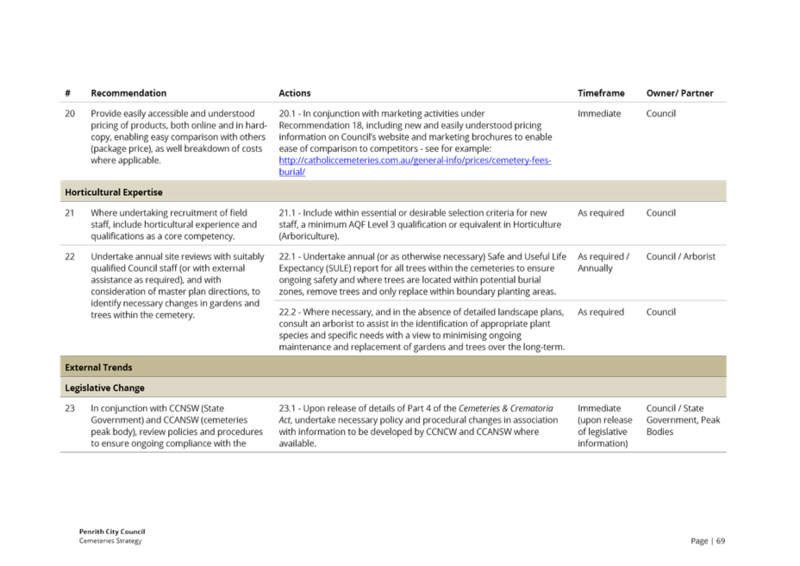 This study also has been passed on to RMS before and “Overview” study should be considered as part this project. 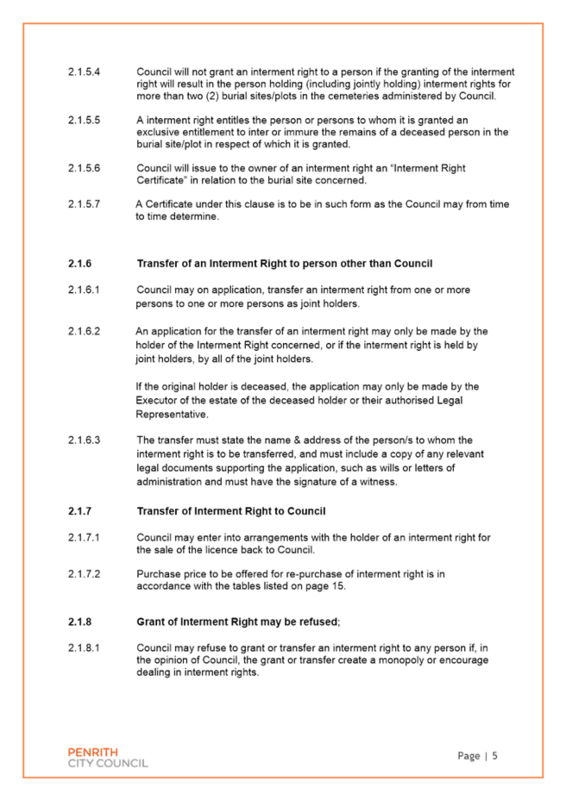 · All impacts on Threatened ecological communities and species under both the NSW Biodiversity Conservation Act 2016 and the Commonwealth Environment Protection and Biodiversity Conservation Act 1999. · Loss of habitat, hollows, debris and foraging and roosting resources through the loss of trees and other vegetation in the road corridor. 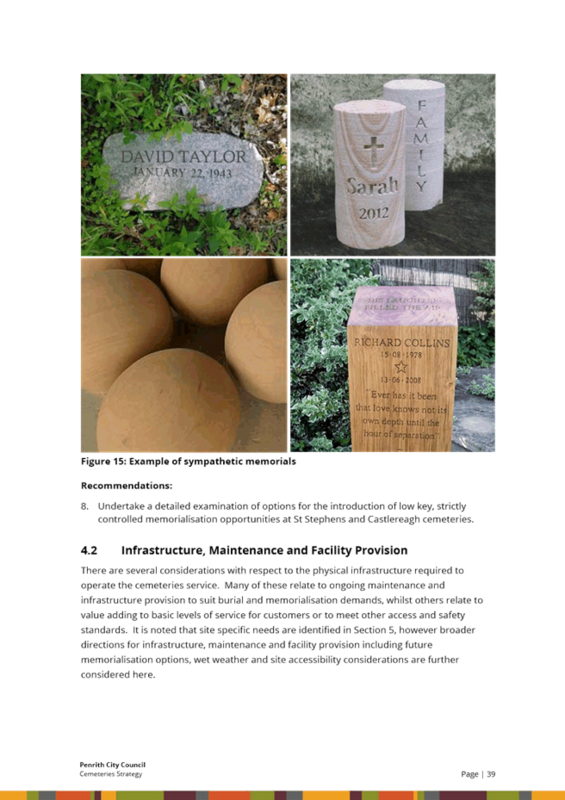 · Designs are to consider options for incorporating environmentally significant trees (such a mature trees and trees with hollows) in the road design and landscaping. Options for salvaging and reusing large woody debris and natural hollows is to be included with locations for relocation identified. · If any dams are to be impacted as a result of the upgrade, then the impact on biodiversity values will need to be assessed and a dam de-watering procedure proposed. · If grass verges are proposed, then native seed is to be used (such as in the Greening Australia restoring grassy ecosystems program). Exotic grasses are not to be used, particularly in areas adjacent to native vegetation. Council is concerned for the level of property acquisition required along the full length of this corridor. Council implores the RMS to develop a comprehensive strategy to address the acquisition of land with a focus on fairness, equity and timing. Treating existing properties with respect and ensuring that residents are not “left in Limbo” with their “lives on hold” will be critical. Council congratulates and supports the State Government for their initial strategic design to identify and preserve the road corridor required for a road upgrade of Mamre Road, between Kerrs Road (Mount Vernon) and the M4 Motorway (St Clair). In relation to Council’s concern of the timing of land acquisitions with the affected property owners, Council requests this matter be resolved during the early stages of the corridor development in order to give certainty to the community. Council calls upon the RMS to articulate the timeframe of the full implementation of the upgrade and articulate their commitment to long term future funding for each of the stages of the road corridor. The improvements and upgrade to this critical arterial road corridor are supported in principle, subject to the matters contained within this report being addressed by the RMS in the finalisation of the corridor design. Our submission to RMS will seek to reinforce Council’s support of the project and highlight a number of matters which warrant further consideration. The key issues identified within the body of this report will be included in Council’s submission to the RMS and Council officers will continue to work with the RMS to ensure that the future upgrade delivers appropriate outcomes for all stakeholders. 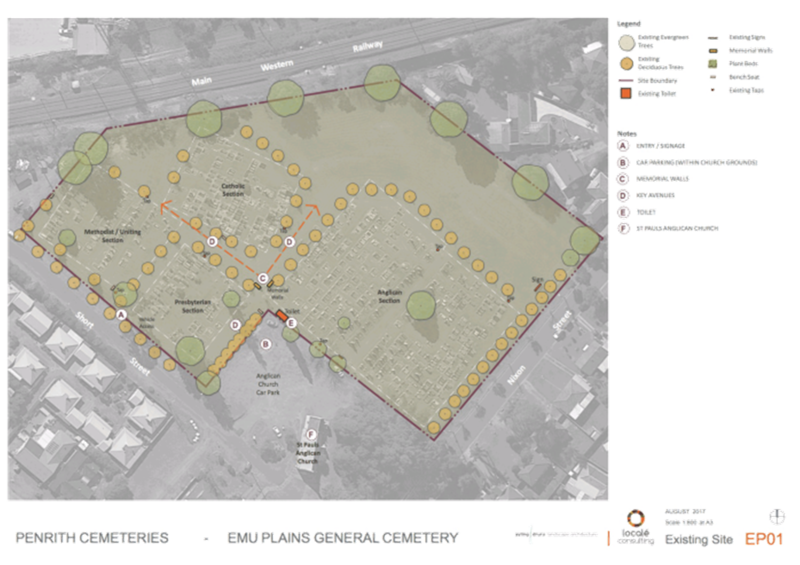 - Provide future burial sites/plots in Penrith Cemetery, all future burial sites/plots will be lawn only sections and classed as non-denominational. 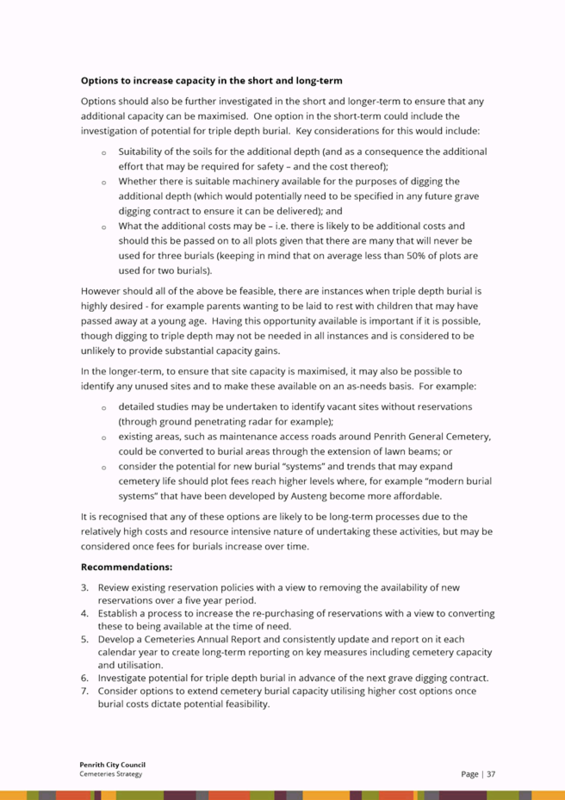 - The option to provide triple depth burial will be investigated in advance of the next grave digging contract. The State Government Container Deposit Scheme initiative launched on 1 December 2017. This State Government Scheme goes by the name “Return and Earn” returnandearn.org.au. Approximately 200 collection point locations were commissioned for the Scheme launch and approximately 500 collection points will be available across the state over the coming months. Around half of these collection points will be automated Reverse Vending Machines (RVMs). · the Network Operator TOMRA-Cleanaway. Exchange for Change is a consortium of Asahi, Carlton United Breweries, Coca Cola Amatil, Coopers and Lion Group. TOMRA-Cleanaway is a joint venture, with TOMRA being the global provider of reverse vending technology, and Cleanaway is a large Australian Waste Management Company. Woolworths has been appointed as the scheme’s first retail partner providing an option to cash vouchers issued by Reverse Vending Machines (RVM). The St Vincent De Paul Society NSW, Surf Life Saving NSW, the Cancer Council and Planet Ark have been appointed as donation partners. In Penrith LGA, no RVMs have been installed to date. There are currently five Over-the-Counter Collection locations listed on the Return and Earn website, with only three active at this time. The State Government Container Deposit Scheme initiative launched on 1 December 2017. Under the Premier’s priority and the State Waste Strategy objective to reduce the volume of litter in NSW by 40% by 2020, it became a 2015 election commitment to implement a Container Deposit Scheme (CDS) by 1 July 2017 (revised to 1 December 2017). 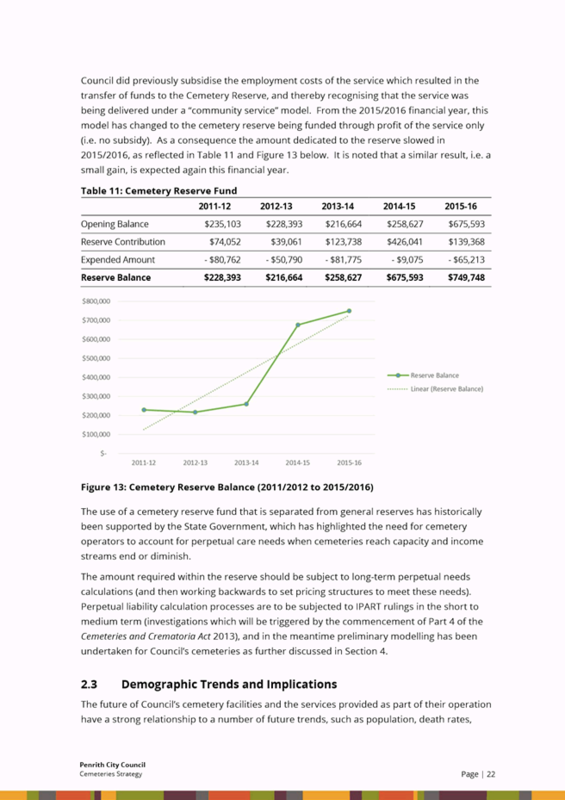 This State Government Scheme goes by the name “Return and Earn” returnandearn.org.au. 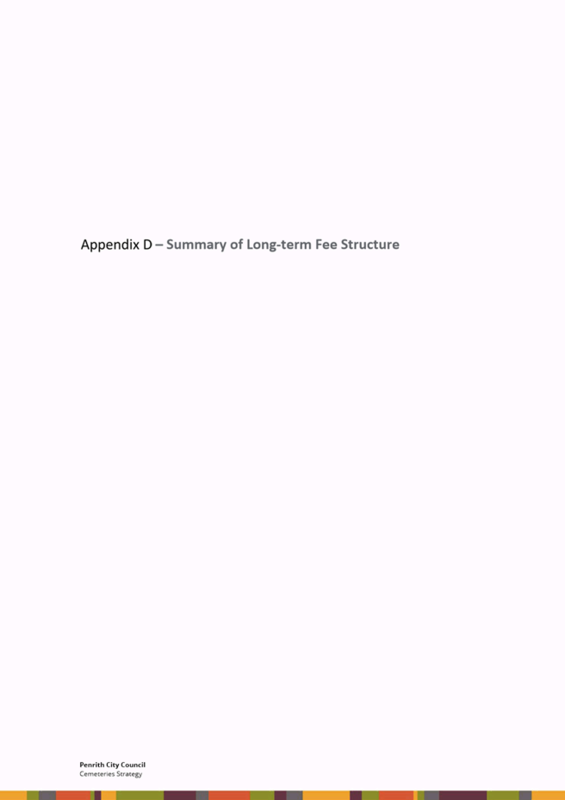 The Return and Earn imposes a fee to cover the cost of operating and administering the initiative and may vary by container type and over time. Drinks companies including Coca Cola Amatil and Lion have confirmed the Scheme will lead to consumers paying more at checkouts from 1 December 2017. It estimates there will be 3.5 billion eligible containers a year in NSW that will be subject to costs ranging from 11¢ to 14¢ a container. However, some residents have reported paying up to a 25¢ increase. The EPA advised that more than 200 collection point locations were commissioned for the Scheme launch and that approximately 500 collection points will be available across the state over the coming months. Around half of these collection points will be automated Reverse Vending Machines (RVMs). 1. Digital refund: receive your refund via electronic funds transfer to your registered PayPal account via the myTOMRA app. 2. Retail refund: receive a voucher you can redeem for cash or an in-store credit at a participating retailer; e.g., Woolworths supermarkets. 3. Donate refund: Consumers can also donate their refund to a nominated charity or community group. Containers must be empty, uncrushed, unbroken and have the original label attached to receive the 10 cent refund. Containers that do not meet the criteria outlined may be recycled using usual methods. The NSW EPA released a statement on 4 December 2017, stating the launch was a “flying start to the Return and Earn” and “more than 500,000 beverage containers were returned to Return and Earn reverse vending machines across the state by lunch time on Sunday”. 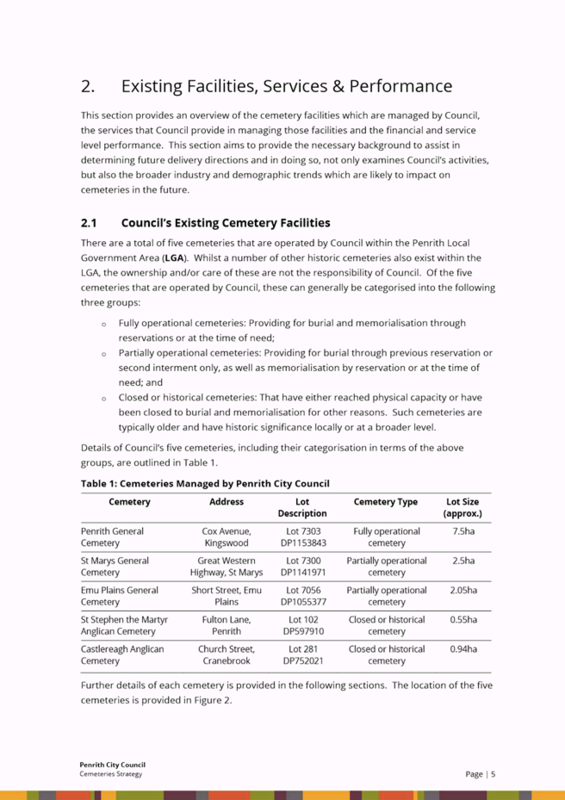 · Councils should be consulted around what defines a ‘priority precinct’ within their area. · The proposed collection points in metropolitan NSW are not based on distance to collection point and are instead based on population. 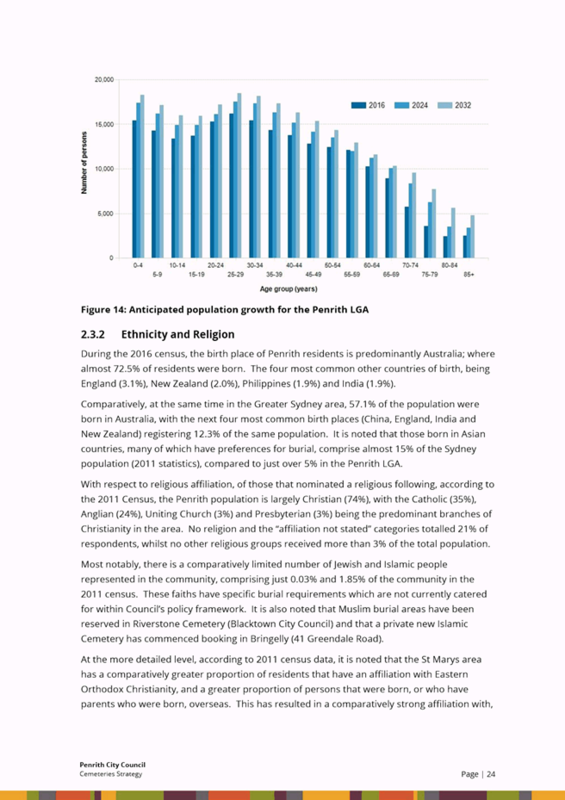 · A per capita target does not account for tourists to the area. · The EPA should encourage participation by assisting councils in determining suitability of proposed collection points before they undertake the DA process and work with Department of Planning to structure collection points as a type of complying development. · The Regulation should ensure that the refund sharing agreement with councils also extends to the inclusion of non-domestic sources of waste from local government would be consistent with EPR principles and help to reduce Western Sydney councils’ litter management costs ($14 million annually), particularly with much of this stream generated by visitors from outside the local government area. The Regional Waste Coordinator advised they believe The Group raised some very valid points in the submission. To date, no response has been received. The Penrith LGA has five locations listed on the Return and Earn website returnandearn.org.au. Council staff visited the five locations listed below on Monday 4 December 2017. Emu Plains Take Away and the Vinnies Jamisontown were satisfied to date and advised there were no issues. 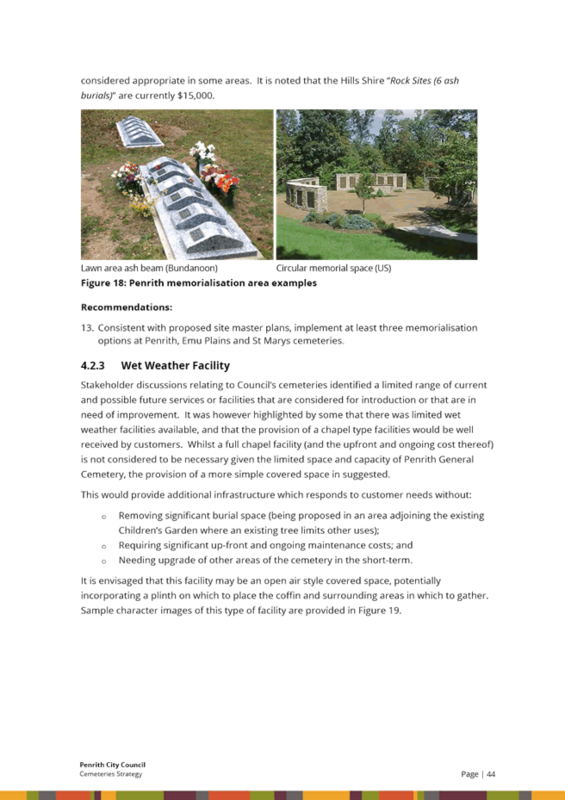 · Many people cannot be refunded via card, so they are needing cash. This causes issues of cash flow for the retailer, patrons of the scheme and customers of the store. Anna's French Hot Bread St Marys and Lockwood Carpets Penrith advised they had not yet been set up. However, they are listed as an active location. As a retail partner, Woolworths has provided access to some their carparks for the installation of RVMs. As a collection point operator, it is up to Woolworths to maintain the surrounding area. As predicted, neighbouring councils with an RVM confirm that patrons are leaving ineligible containers and associated waste beside the RVM. The introduction of the Scheme has also generated additional customer enquiries to Council. 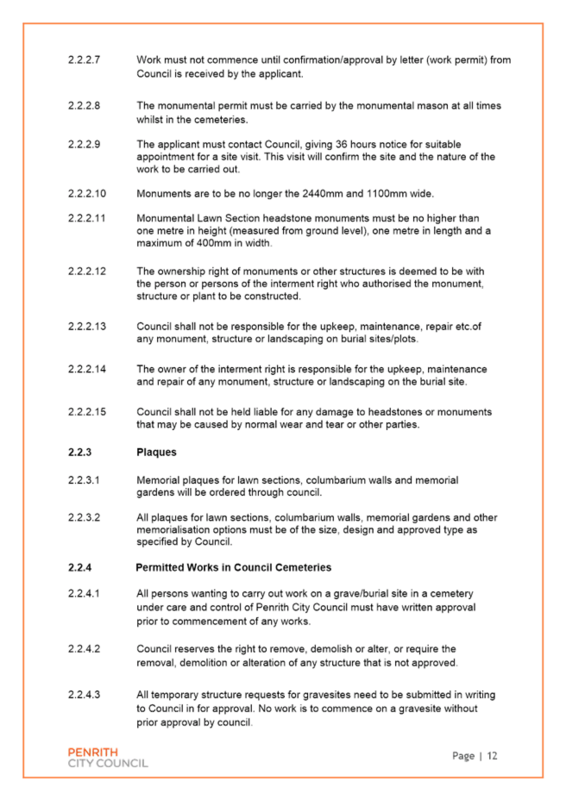 EPA advice is sought regularly to ensure currency. Council staff also advocate on behalf of over-the-counter drop-off locations regarding training and booking of collection of returned containers. Council’s Waste and Resource Recovery Team are also preparing for how the container deposit scheme funds will be reallocated through the kerbside recycling contract negotiations. In preparation for the CDS, audits of domestic and non-domestic waste and recycling streams were undertaken to determine the number of eligible containers present in council managed waste streams. Following introduction and take up of CDS, further audits will be conducted to provide comparison and determine the scheme’s impact on contents of domestic bins. This data will inform negotiations of any variations to the current collection contracts and the tenders for new contracts. Under the Regional Strategic Alliance Strategy, it has been recommended to engage a negotiator at the appropriate time to work on behalf of the Regional Strategic Alliance to negotiate a fair and equitable processing agreement with the material recovery facility operator. A number of challenges have been identified in the commencement of the Container Deposit Scheme. Officers continue to liaise with the EPA, advise the community and prepare for tender negotiations in effort to facilitate the introduction and implementation of the Return and Earn initiative, which is the Premier’s priority and the State Waste Strategy objective to reduce the volume of litter in NSW by 40% by 2020. The Nineteenth Annual General Meeting of the Company was held on 21 September 2017 for the period ended 30 June 2017. 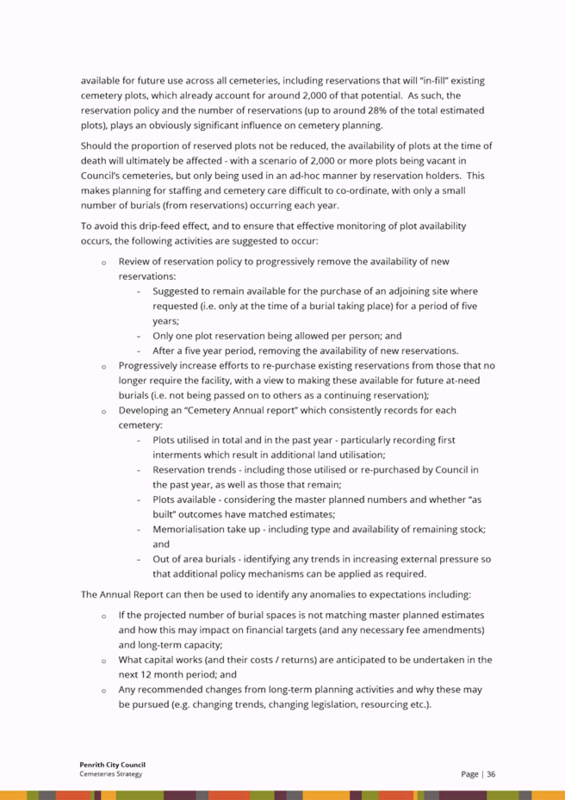 Following are their reports that have been extracted from the Annual Report of Penrith Whitewater Stadium Limited (PWS). It gives me much pleasure to present the Chairman’s Report to the nineteenth Annual General Meeting of Penrith Whitewater Stadium Limited. Patronage for whitewater rafting and canoeing based activities remains healthy, despite challenging economic conditions. Revenue for the year was $1,227,097 which is 22% less than $1,564,982 for 2016. 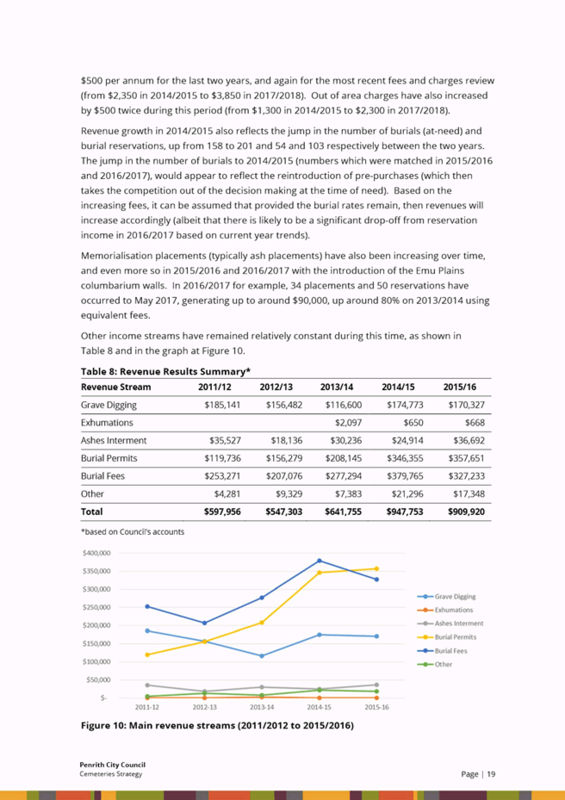 The financial outcome for the year ended 30 June 2017 resulted in a deficit before depreciation, amortisation and interest of $47,914, a decrease of $337,085 when compared to the surplus achieved in 2016 of $289,171. During the year some $84,413 was spent on capital improvements. The Stadium continues to contribute to the overall Penrith economy and to the advancement of the sport of canoe slalom both locally and internationally. It is pleasing to note the continuing national and international success of paddlers based in Penrith, particularly Jessica Fox. I would like to take this opportunity to thank Venue Manager, Jack Hodge and his management team (Simonetta, Jeff, Vicki and Morgen) for leading the organization throughout the year. Penrith Whitewater staff continues to show great dedication and commitment to the business. The underlying enthusiasm and commitment of staff is fundamental to the venue’s continuing success. I would also like to thank my fellow Directors for their continuing commitment and input to the operations of Penrith Whitewater Stadium. This year sees the appointment of Cr Ben Price, Cr Bernard Bratusa and Brian Steffen, the reappointment of Geoff Hunter and the retirement of Cr Marcus Cornish and Cr Jim Aitkin. I would like to wish Marcus and Jim all the very best for the future. Overall participation in the activities offered by PWS decreased in 2016-17. Rafting decreased by 27%, Canoe/Kayak decreased by 18% and Swiftwater Rescue courses decreased by 29%. Total PWS income decreased by 23% from $1,564,982 in 2015-16 to $1,210,630. 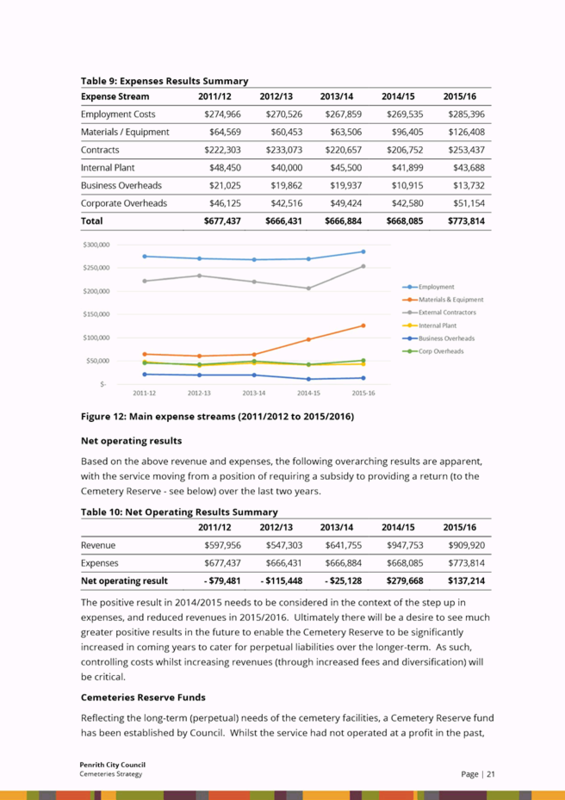 Total expenses decreased by 4% from $1,407,396 to $1,348,266 resulting in a decrease in operating profit of $295,221 from $157,586 to -$137,636. Net profit decreased from $144,518 to -$182,635. PWS continued its support of various charitable and community organisations. This included hosting the annual Rotary Club Duck Race and the donation of 317 gift certificates to the value of $29,798. Council should note that the positions of Chairman, Deputy Chairman were declared vacant. Elections were held for the vacant positions at the nineteenth Annual General Meeting. Councillor Ross Fowler OAM was re-appointed to the position of Chairman, Helen Brownlee OAM was re-appointed to the position of Deputy Chair. It was resolved that Penrith City Council be requested to endorse the reappointment of Helen Brownlee, Andrew Pearce and Cr Kevin Crameri as continuing Director of Penrith Whitewater Stadium Ltd.
Penrith Whitewater Stadium Limited reported a net deficit for the 2016-17 financial year of $182,635. This is a decrease of $327,153 (226%) over their 2015-16 profit of $144,518. No direct subsidy was provided by Council to the Company. Income in 2016-17 decreased by $354,351 over 2015-16, a decrease of 23%. Income from Rafting remains the highest revenue earner however decreased by $223,513 (26%) from 2015-16. This report to Council details the performance of Penrith Aquatic and Leisure Limited (‘PAL’ trading as ‘Ripples’) for the financial year ended 30 June 2017, a 2018 progress report and redevelopment plans for the future. In relation to the 30 June 2017 financial year and before the effects of Council subsidy, the company recorded a significantly improved operating result as compared to the prior year (2017 deficit: $954,028 verses 2016: $1,095,210). This is a continuation of the financial improvement trend whereby the 2015 deficit was noted at $1,296,169. The most significant contributor to the 2017 result was a 10 percent increase in revenue, led by improvements in all significant areas of the business and late summer opening of the Penrith Waterpark. Ripples has also enjoyed some significant recognition for its achievements over the last 12 months, winning the Best Large Centre Swim School Award in NSW (AustSwim) and Australia (Swim Australia), the Best Community Initiative on a National Basis for our travelling water safety roadshow and the Best Specialised Business in the local area. The first 5 months of the 2017/8 year represents a continuation of the business improvement trend – noting current year revenue growth momentum has been consumed by a scheduled 2 month maintenance closure of the indoor pool at St Marys for resurfacing. 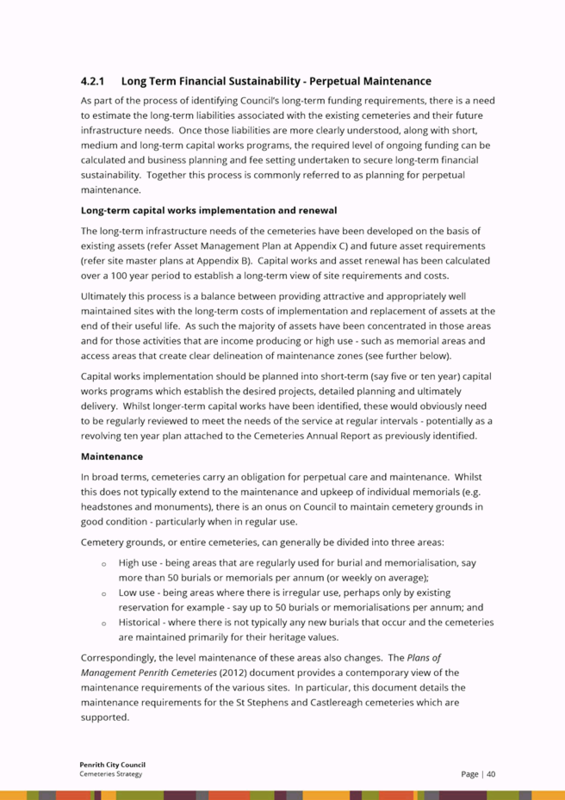 Focus on asset redevelopment remains a high priority. At Penrith, the new Waterpark has been in operation since February 2017 and results continue to be encouraging. The November 2017 open day was our most successful ever with more than two and a half thousand patrons through the gates between the hours of 10am and 4pm. Transformation from low patronage pool to broad community engagement has been immediate. The project is also consistent with full scale redevelopment masterplans, should they attract more substantial funding at a later stage. 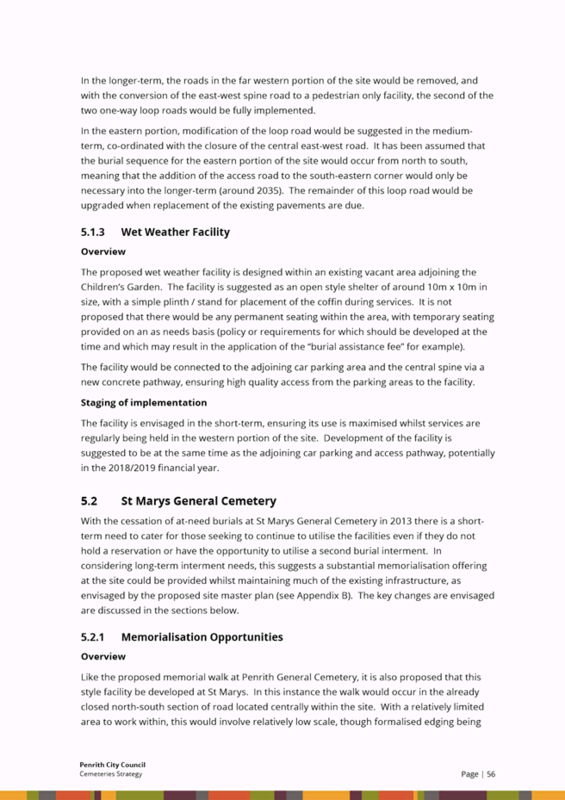 Attention must now shift to similar smaller scale, but consistent, elements of the St Marys masterplan. The most viable short term funding solution will be via the use of section 94 funds and formal requests have been lodged. 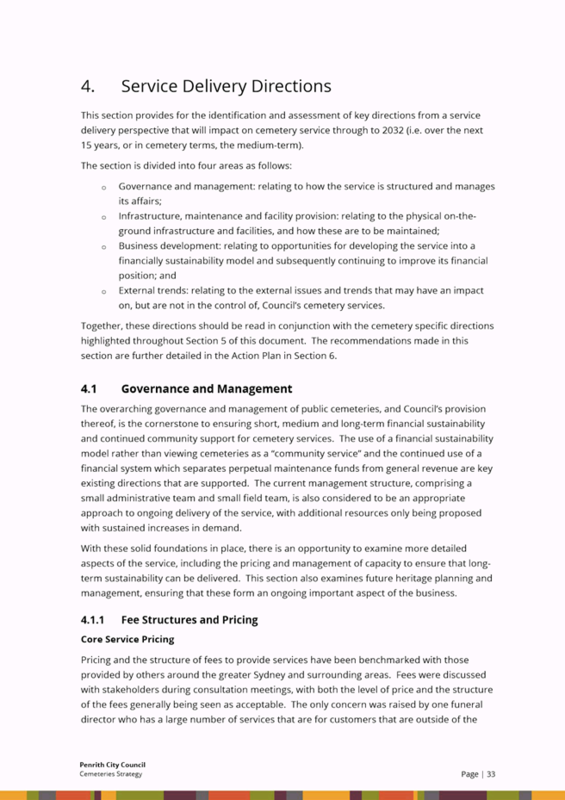 The report notes the re-appointment of three (3) Company Directors and recommends Council endorse these appointments. It also recommends that Council agree to underwrite the operations of PAL until the presentation of its 2018-2019 Annual Report. This report follows the Twenty Third Annual General Meeting of PAL held on 31 October 2017 for the financial year ended 30 June 2017. PAL was formed 23 years ago to manage Penrith City Council’s (PCC’s) public pool operations at St Marys, specifically the indoor and outdoor pools, spas, sauna, gym and subsequently the Hydrotherapy centre. 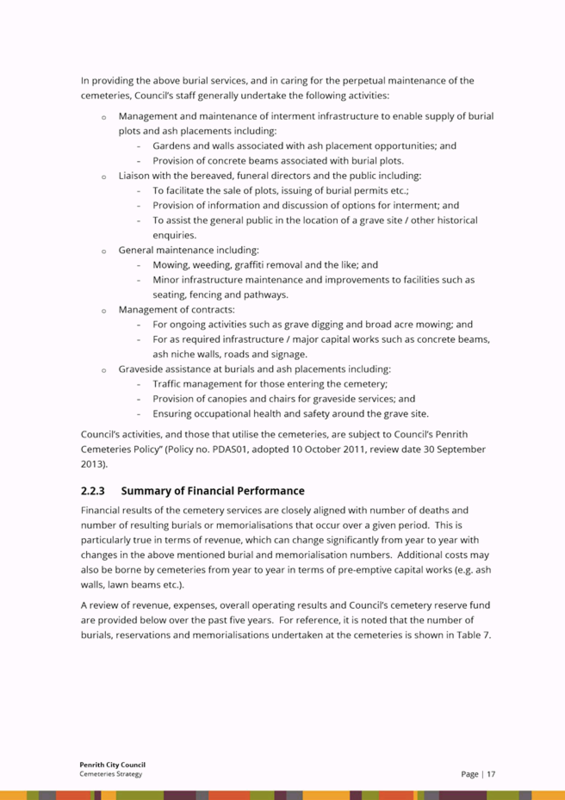 In 2013 this role was expanded to include management of PCC’s public pool operations at Penrith. Penrith City Council continues to own and maintain all of the major pool assets at both facilities. PAL’s principle objectives are to provide equitable access to the aquatic, health and fitness assets under its management, create best value packages to members of the community, to provide service consistent with PCC’s Community Strategic Plan and comply with appropriate legislation. Our goal is to encourage safe, family and community wide participation whilst supporting the needs of local sporting entities such as swim clubs and other competitive aquatic users. As PCC Councillors are aware, Ripples operations are heavily subsidised by the Council. This subsidy allows a low price point for community members to access infrastructure that might otherwise be cost prohibitive. The Chairman and General Manager, Alan Brown and Paul Sheen respectively, will be in attendance tonight to make a short presentation. 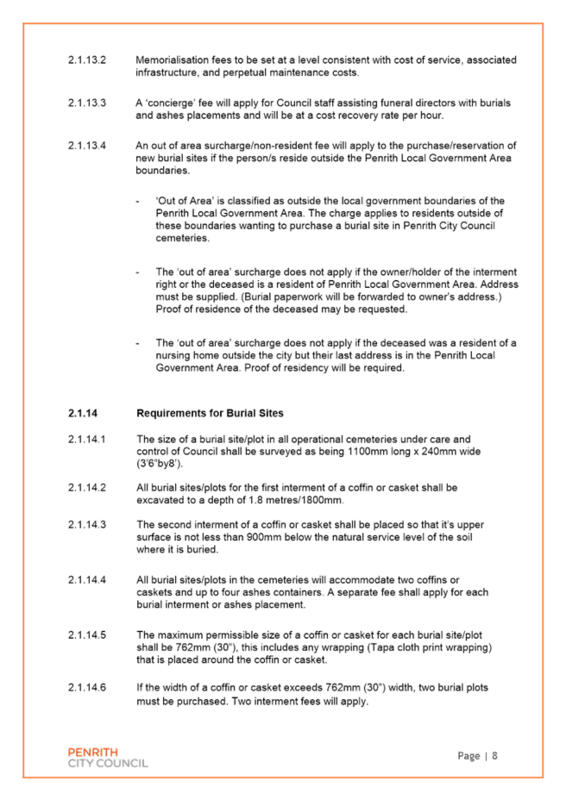 Extracts from the Company’s most recent Annual General Meeting and Financial Report are also provided below. It gives me great pleasure to provide a summary of the 2017 financial year, being our 23rd year of service for the residents of the Penrith Local Government Area. Ripples remains the standard in Fun, Fitness and Health. We are the only gym operator in our area that carries peak ‘gold standard’ accreditation from Fitness Australia, we provide over 50 group fitness sessions per week and service well in excess of 1,000 members. Our Learn to Swim program is by far the largest in the area. In peak season we conduct approximately 550 classes each week, teaching vital life skills to 2,500 children ranging from toddlers to adults. Ripples is well integrated with the local sporting community through sponsorship of its swim squads and access to professional coaching. Our swim squad program engages 100 participants and punches above its weight with significant national level representation. Ripples Hydrotherapy Centre at St Marys is the largest of its kind in the City. It continues to provide access to professional rehabilitation services, treating sports injuries, accident victims and an ageing population. We operate the only NDIS accredited Learn to Swim and Hydrotherapy Centre in the area. Ripples employs hundreds of people from Penrith and surrounding regions. We have trained many new people just joining the workforce and continue to deliver skill development opportunities via registered training operators and on the job training. Financially, the 2017 year was a strong year. Before PCC subsidy, total revenue of $4,341,095 (2016: $3,936,436) incurred operating expenses of $5,295,123 (2016: $5,031,646) representing a net operating deficit of $954,028 (2016: $1,095,210). This result is an improvement of $141,182 on the prior year. The driver of improved performance was revenue from operations, which increased by $404,659 on the prior year. We met our budget targets and this enabled reliance on Council subsidy to fall. Both the Penrith and St Marys facilities are towards the back end of their useful lives, and will require significant redevelopment to keep pace with modern standards and community expectation. This is particularly relevant with our area forecast to grow significantly in the next 10-15 years and whilst expansion and improvement might not lead to profit and loss statements free of council subsidy, our view is that failure to re-invest in aquatic facilities will decrease satisfaction in the vital services we strive to deliver. 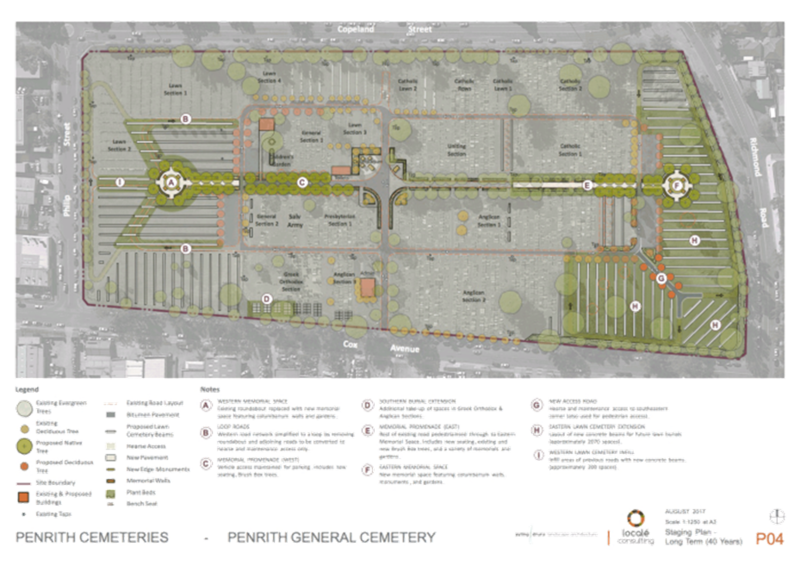 While we have been unsuccessful to date in attracting significant State or Federal assistance to redevelop either site, in 2016/7 we have built what could be the first step at Penrith. The City now has a Water Park asset that has re-engaged community interest well beyond that of just lap swimmers. 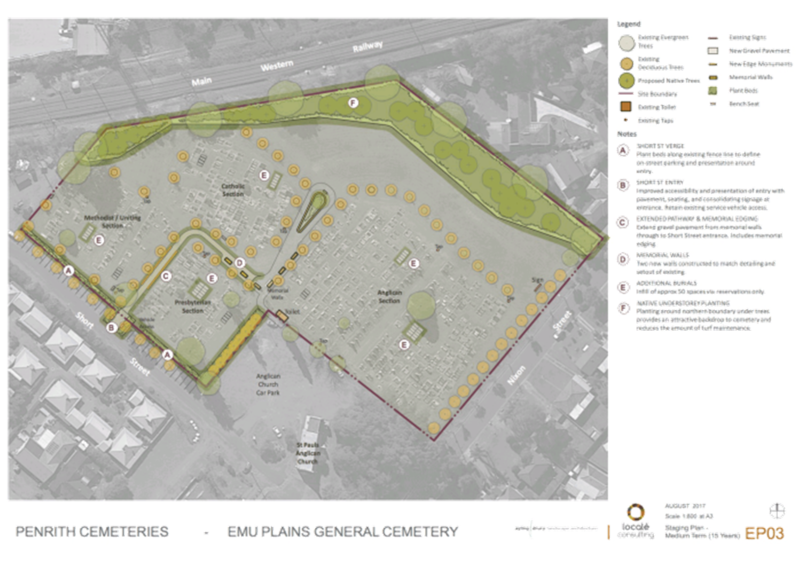 In developing this drawcard, we hope to ensure the long term viability of the site and create a potential stepping stone to best practice Aquatics for the good people of Penrith. Achieving something similar at St Marys is our next focus and the greatest potential for short term result is via the use of pre-existing section 94 funding that has been earmarked for Ripples. Penrith City Council continues to underwrite the Company’s operation, this year providing a grant of $955,000. I take this opportunity to express our gratitude to Councillors and Council Officers for their guidance and support over the past twelve months. I would also like to thank other Council staff and contractors for the hard work they have contributed in improving the amenity of the Ripples’ facilities. We look forward to another year where we continue to strengthen the bond our management team has developed with Council Officers. I would also like to pass on my thanks to each of the Board Members who have again attended to their duties freely to the benefit of the community, especially Deputy Chairman John Cottee for his financial wisdom and Wayne Mitchell for his tireless contribution in liaising with Penrith City Council. Finally I want to congratulate our General Manager Paul Sheen and his team for their dedication and hard work that has led to the improved financial performance. Whilst on the subject of dedication our staff continue to shine in the community with many awards for the excellent service they provide. They deserve the praise of their peers and the accolades from the Community. The team remain focused on strengthening core areas of the business such as the Fitness, Learn to Swim, Hydrotherapy and recreational swimming. It is with a great deal of pleasure that I present the 2017 financial summary, major projects, challenges for the future and progress report for the 2018 financial year to date. 2017 was another strong year for PAL. The addition of the Penrith Waterpark towards the back end of summer has certainly made a difference (Feb 2017), as has continued revenue growth in all areas of the business. Our success has also been recognised by our peers in the industry, with Ripples now acknowledged as having the Best Swim School Program in NSW (AustSwim) and Australia (Swim Australia), the Best Community Initiative on a National Basis for our travelling water safety roadshow and the Best Specialised Business in the local area. In 2018 we expect to see a continuation of the business improvement trend, but note the full year effects of the new Waterpark at Penrith will be offset by the scheduled closure of the main indoor pool at St Marys for a resurfacing project. Pursuit of similar redevelopment for St Marys also remains high on the agenda. We firmly believe small scale re-investment, similar to that now achieved at Penrith, will assist our aging centres ability to capture widespread community interest and in turn reduce subsidy reliance on Council. The performance of our Learn to Swim team continues to be the backbone of the overall aquatic result. The drivers of our success are new participants via our Water Safety Roadshows championing ‘Swim, Safe, Survive’ in local pre and primary schools, active retention strategies and tight expense control. As noted previously, our achievements have been recognised within the industry and our program is ranked number 1 in the Nation. Recreational aquatics remains a challenge with the vast majority of our competitors operating out of modern purpose built infrastructure. In recent times there has been significant competitor investment in our zone, examples include Rooty Hill RSL, Wet and Wild, some of Blacktown CC’s pool assets and ‘pop-up’ water parks. To counter these effects we have achieved some late season 2017 success with the completion of the Penrith Waterpark and results have been immediately encouraging. We now have a cutting edge drawcard that will assist us to grow our recreational aquatics revenue base for years to come – whereas before this the best we could hope was to hold revenue to prior years, while costs increase with inflation. Challenges in the gym are similar to recreational aquatics, and new competitors such as Atmosphere that highlight our infrastructure limitations. Despite the challenges of an extremely competitive St Marys gym market, the team have management to deliver a substantially improved result. It should be noted the gym managed to achieve a record net profit of near $300k – this demonstrates that all of the revenue improvement has flowed directly to the bottom line. Hydrotherapy continues to go from strength to strength, with business model adjustment to pursue experienced exercise physiologists, pay scales linked with performance, cloud based client management systems, medically trained reception staff and NDIS accreditation. As a result of the improvements to revenue and the ability to keep expense increases in line with inflation, we have been able to achieve a significant reduction in operating deficit (2016/7: $954,028 verses 2015/6: $1,095,210). · Extreme weather over the 2016/17 summer school holidays led to peak patronage at St Marys and pushed all elements of the team and operations to the limit. We had anticipated being well behind budget due to delayed construction at Penrith, however the strength of trade attached peak season balanced the construction effects. 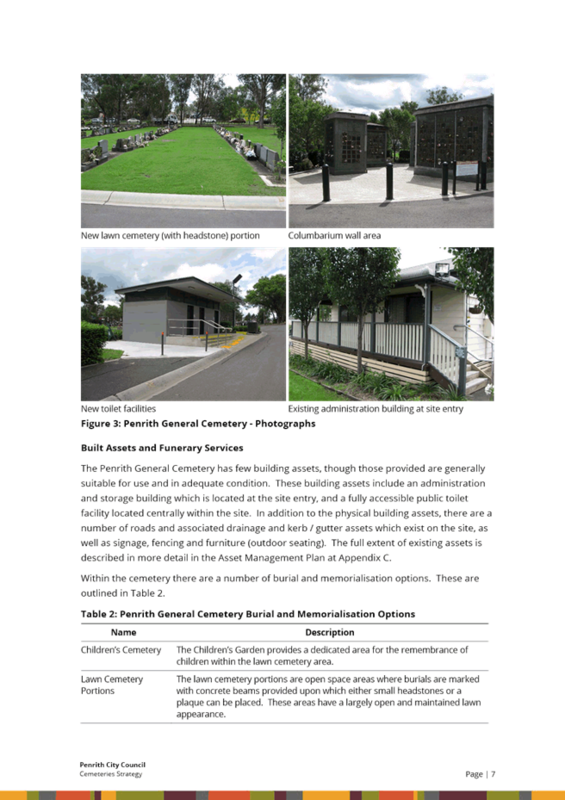 · The Penrith Water Park redevelopment. Since opening in February, operations have surpassed our wildest dreams. High volume patronage creates new challenges for Penrith – on a number of occasions we have had to close the doors to manage capacity and risk. 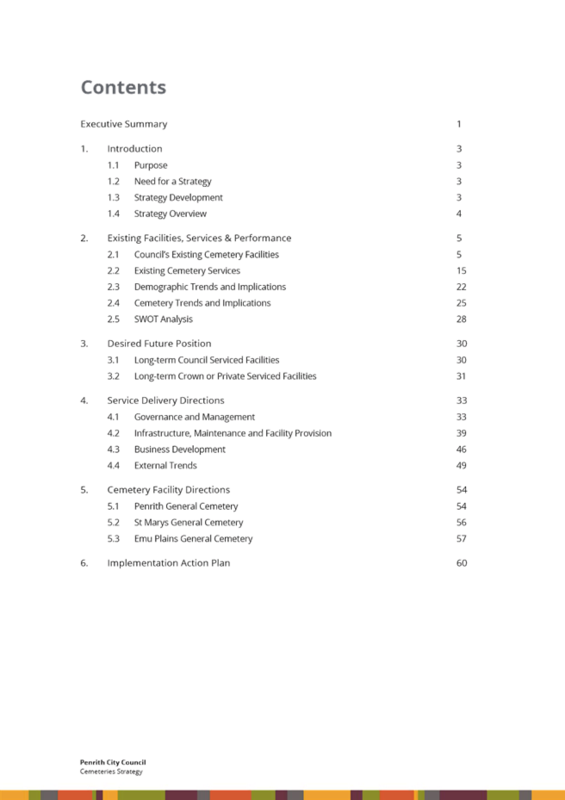 · Payroll tax exemption. For some time we have believed the nexus of our operations to that of Council and our status as a not for profit was sufficient to enable a payroll tax exemption. 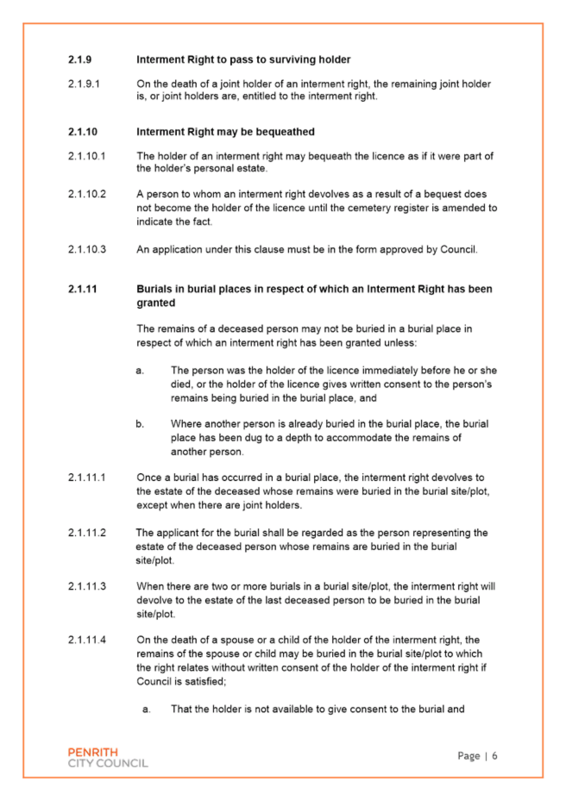 Recent changes to the Payroll tax act and legal consideration confirmed this view. Whilst the savings generated have not flowed through to any significant extent in the 2017 year (as we have taken this opportunity to build a long service leave provision for casual employees), the full effects will be seen in years to come. 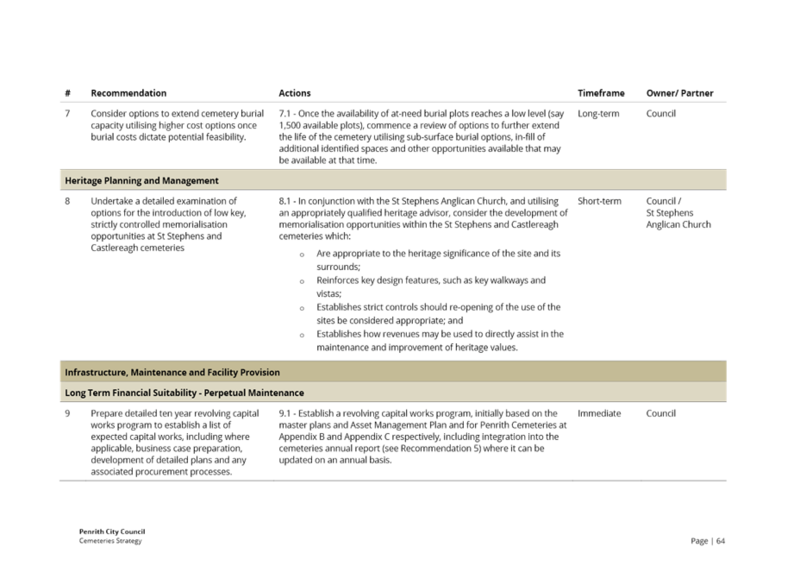 Our biggest challenges remains aging infrastructure and competitor encroachment. 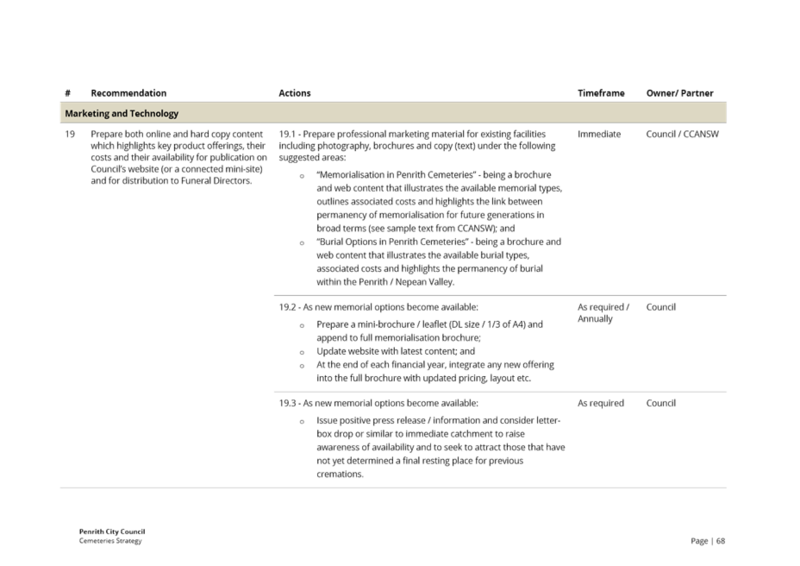 To a certain extent, competitors have been encouraged by the inherent infrastructure limitations of our facilities. Our Penrith facility is still an entirely outdoor operation. The St Marys facility is modern by Penrith standards, but is no longer cutting edge. By contrast, many of our competitors are operating out of brand new, purpose built facilities. While we have been able to strategically improve in 2015/16/17 via better programs, management systems, targeted marketing and business partnerships, there is no way around infrastructure limitations without some form of capital injection. 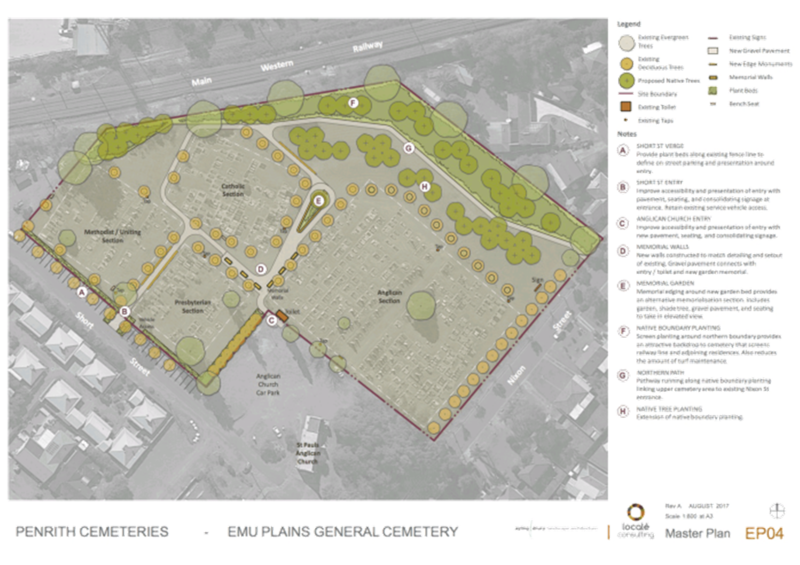 This has been recognised by PAL and PCC, with Masterplans for the redevelopment of both sites. The challenge to achieving full scale redevelopment goals is the level of funding required. Based on recent funding submissions and feedback, it is increasingly unlikely that full scale re-investment will occur in the next 5 years. While it is important that we continue to pursue every possible funding opportunity (with the assistance of PCC), it is also important we do not stand idle. Short term and lower cost options that remain consistent with the full scale plans must be the preferred course of action. These smaller scale capital works programs will still provide a significant drawcard and re-engage broad spectrum community interest – the recent success with the Penrith Water Park being the best example. St Marys has the same need, and actual results from Penrith confirm this smaller scale level of investment supports business self-sustainability tests, quick payback and ultimately reduced reliance on Council subsidy as compared to the status quo. The first 5 months of the 2017/18 year continue the trend of recent years. Aggressive revenue growth targets continue to be the target, noting current revenue growth momentum has been consumed in quarter 2 by scheduled maintenance works attached to the main indoor pool, spa and sauna at St Marys. At 25 years of age, lagoon pool and spa tiling had reached expected life and had developed signs of failure. Repair necessitated the closure and draining of the main indoor pool in October and challenges to preserve our customer base have been substantial. The great news is the Ripples team have been highly successful in minimising the effects and the vast majority of patrons have been supportive of the improvement process. While Learn to Swim was knocked around with some poor weather while it was in outdoor only spec, the flipside was the continued strong performance of Penrith’s new Waterpark. Early season warm weather during the September school holidays also assisted, allowing us to take a favourable position into the closure period. We also minimised expenditure with a careful cost reduction program in the lead up to the indoor closure. We had forecast the improvement works could have cost us $200k in lost revenue and patronage (and these effects were not reflected in annual subsidy), but with the efforts made the impact on the business is now known at $80k. The indoor pool, spa and sauna areas re-opened to the public on time with expectation (18 November). Efforts to improve our IT control environment have also been ongoing. In recent times we were limited by a network with insufficient bandwidth and this was rectified via point to point technology with the St Marys Library. This enabled the development of a biometrically controlled roster, payroll, time capture, timesheet and HR system. Payroll represents the vast majority of our cost base and a modern system to strengthen our control environment was an absolute must. Public Wi-Fi systems were also developed for our gym customers, including the ability to better utilise our Gym equipment to interact with social media and the internet while members exercise. 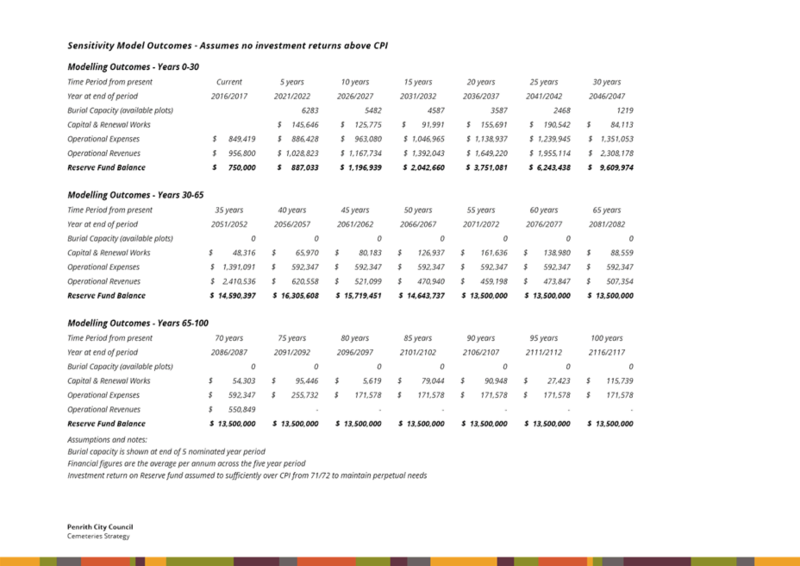 The next phase is to move our key IT systems away from the local server and through to cloud based environments. To date systems attached to point of sale at Penrith, St Marys and Hydrotherapy have been transitioned, with financial system migration to complete in the New Year. At completion, the only significant IT infrastructure operating on the local network will be file server, and this will transition to the PCC cloud based system in due course. Benefits of this work include access to latest systems and upgrades, better security and disaster recovery protocol and access to real time resources whenever required (including times of peak demand such as weekends, public holidays and summer school holidays). 1. Board members are elected for a 3 year term and retire on a rotational basis. 2. All retiring Directors shall be eligible for re-appointment. 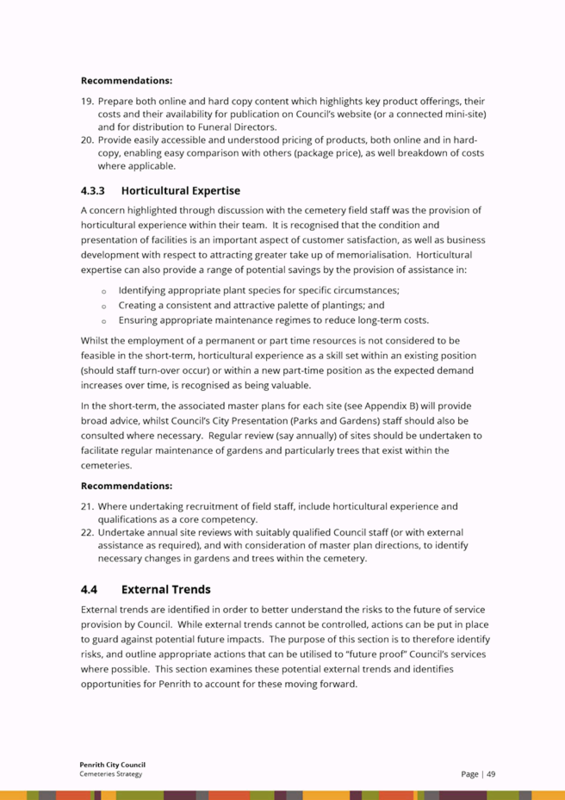 Council should note that the Directors reaching the end of their terms were John Cottee, Marlene Shipley and Lynette Crossley, and these positions were declared vacant. Elections were held for the vacant positions. 3. John Cottee, Marlene Shipley and Lynette Crossley were re-appointed to the position of Company Director. It was resolved that PCC be requested to endorse the reappointment of John Cottee, Marlene Shipley and Lynette Crossley as continuing Directors of PAL. I would like to personally acknowledge the gratuitous contribution of Ripples Directors, all of whom have made significant contributions during the year. I would also like to thank PCC and their support staff who continue to assist whenever required. And last but not least, I would also like to thank my management team and all staff at Ripples for their significant personal contributions during 2016/7. Without this team constantly challenging how we go about things and striving for improvement, we would not have achieved the results indicated. 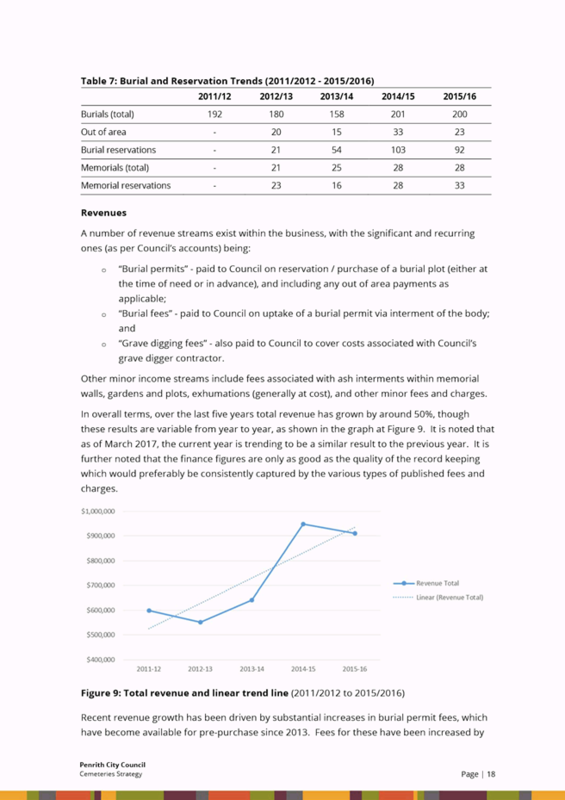 The City of Penrith Regional Indoor Aquatic and Recreation Centre Ltd achieved, during the 2016/7 financial year, a deficit before Council’s subsidy of $954,028. This result is an improvement of $141,182 on the prior year. The driver of improved performance was revenue from operations, which increased by $404,659 on the prior year. PAL Ltd. has demonstrated that continuous business improvement is leading to enhanced community and financial outcomes. The opening of the new waterpark facility at Ripples Penrith, with the associated significant increase in patronage, has been a notable highlight. To continue this forward momentum the Board of PAL Ltd. have submitted a proposal to prioritise the development of a waterpark facility and additional car parking at Ripples St Marys. The proposal includes a funding request to Council for $2m to realise the project. The requested funding will include equipment purchase; design, project management and associated professional service costs, construction and an allowance for contingency. Provision of a waterpark facility and expanded car park is consistent with the masterplan and business plan, developed for the facility in 2013. A household survey, undertaken as part of the community engagement process to inform the aquatic facilities masterplan development in the City, indicated priority improvements that would attract the community to future use of facilities. The results indicated more water areas for children and families as the number one future priority. Development of this project will ensure that Ripples St Marys meets a community need, provides facilities in accordance with contemporary leisure trends, replaces an ageing asset requiring renewal (existing outdoor toddler splash pools) and, provides facilities not available or provided by others in the centre’s immediate catchment. 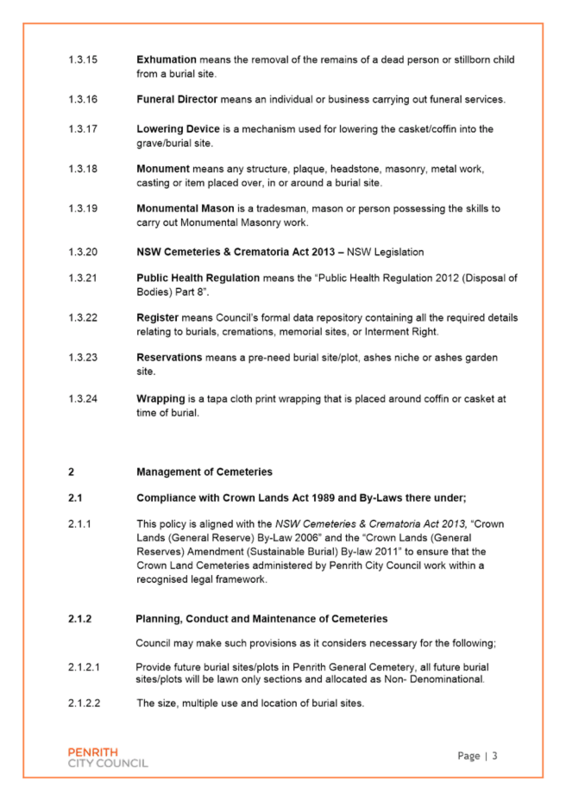 December 2017 – January 2018: Detailed designs and tender specifications finalised. February 2018 – March 2018: Tender process and contract awarded. May 2018: Construction commence with an anticipated construction time of 6 months. The works have been scheduled to minimise the impact on the operations of the facility with the site construction works being external to the building and the work being programmed during the winter period when the outdoor pools are closed. 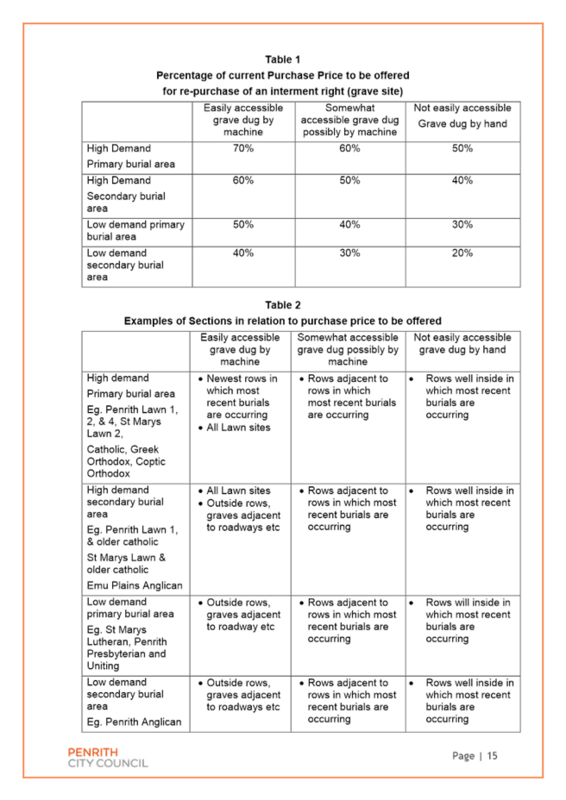 In addition to the project to construct waterplay facilities and additional car parking, a budget of $575,000 is available in the 2018/2019 building asset renewal program for the upgrade of the roof and air-conditioning (front area, gym, offices and aerobics area), as well as a foyer/entry/offices upgrade. It has been agreed with the General Manager of PAL Ltd that this work will be scheduled for the period between May and September 2019. Council’s District Open Space Developer Contributions S94 Plan collects contributions towards the expansion of fitness facilities and car park for Ripples Leisure Centre. It could be deemed that fitness facilities include a range of fitness activities including a mixture of “wet” (i.e. waterparks/splash pads) and “dry” leisure spaces. 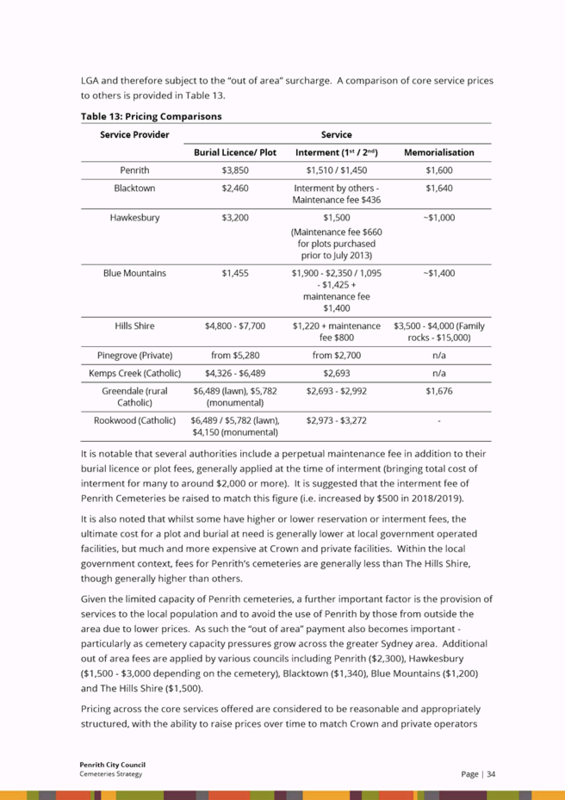 The masterplan and business development plan developed by SGL consulting in 2013 estimated the probable capital cost of providing waterpark at the time to be $1.623m. The waterpark facility is expected to have a positive effect on Ripples St Marys financial performance with the resulting improvement in net operating results over 10 years modelled to be over $458,000. It should be noted that the cost of the facility will have altered since the estimates were provided and will also be subject to exchange rate fluctuations should the equipment be sourced internationally. As part of the tender process suppliers will be required to provide a ‘whole of life’ cost schedule of the water play facility which will be evaluated for value for money as part of the assessment process. A balance of $2.962m is currently available within the District Open Space Developer Contributions S94 Plan for the Ripples Leisure Centre, the permissibility of utilising these funds for the proposed works is discussed elsewhere in the report. This report seeks Council’s adoption of Lendlease’s requested changes to the Precinct Plan for the Central Precinct of the St Marys Release Area. These changes include an increase in the currently planned number of dwellings from approximately 970 to about 1,400, the relocation of the shopping centre, and improvements to the road layout and drainage system. 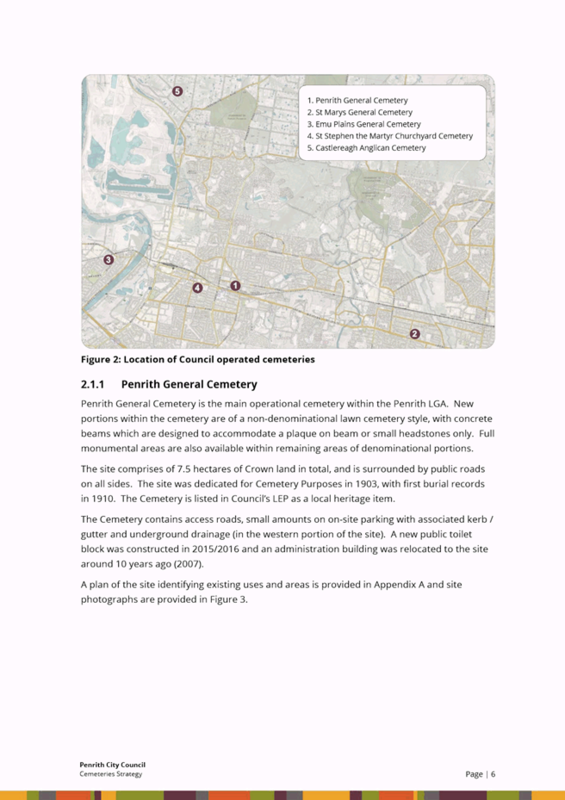 In early 2016, Council endorsed Lendlease’s proposed changes for community consultation, including public exhibition. 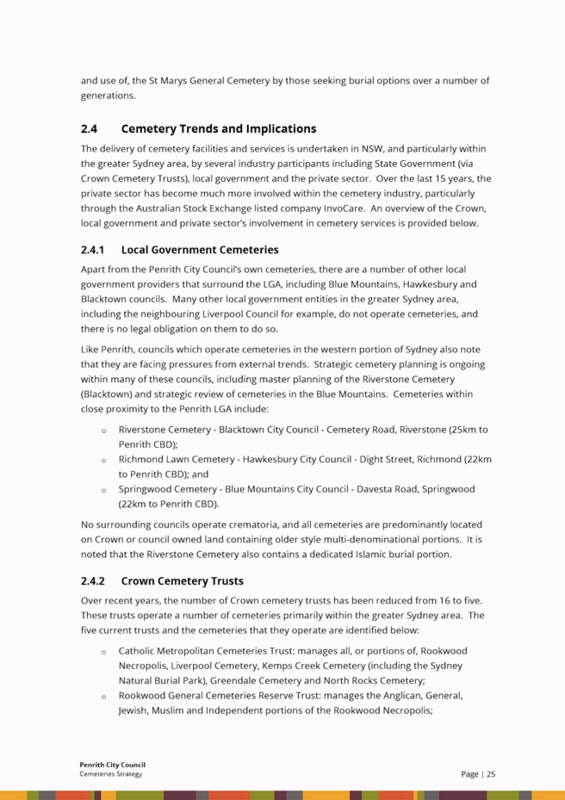 Relevant NSW Government Agencies and Blacktown City were also consulted. The community and agency consultation was completed mid-2016. The submissions from Roads and Maritime Services and Blacktown City Council highlighted the need to review Lendlease’s current commitments for road infrastructure. These submissions also resulted in a contemporary traffic modelling exercise to understand the impacts of the alternative development outcome and how best to service the new community. The alternative development outcome, specifically the proposed increase in the number of dwellings, also required a re-evaluation of the open space and community facilities required by the future community. 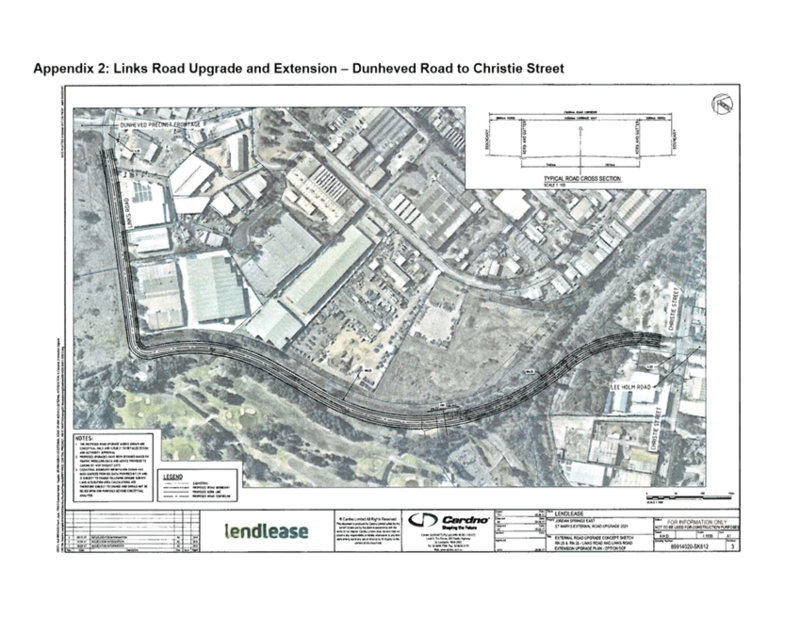 Lendlease has used this re-evaluation and the results of the traffic modelling exercise to inform its offer of additional road infrastructure, open space, and community facilities. Lendlease has proposed to capture this offer in a revision to its Development Agreement with Council. 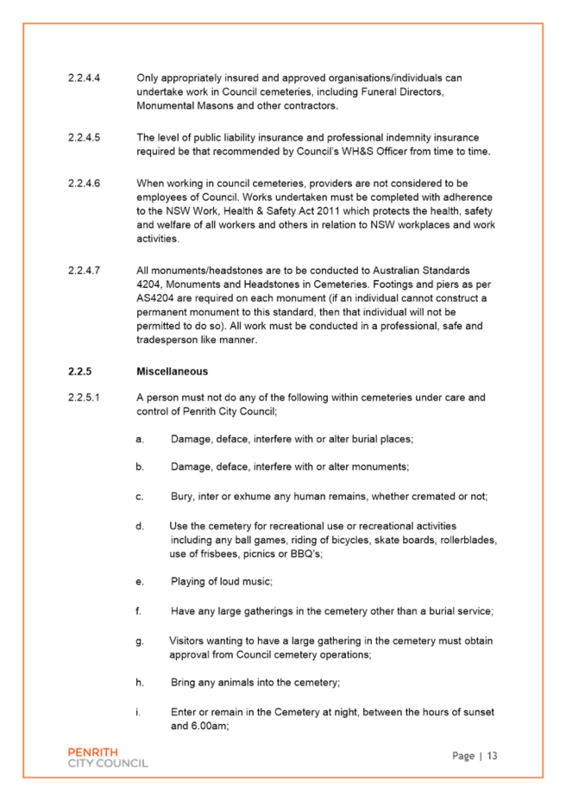 The offer, as outlined in this report, is considered to meet the infrastructure demands of the new community and it is recommended that delegation be given to the General Manager to allow for the legal drafting, public notification, and execution of the revised Development Agreement. The alternative development outcome is considered beneficial as it will deliver additional homes, including smaller, more affordable homes, to help meet current housing demand. The changes also allow for the co-location of the shopping centre and open space facilities helping to activate and increase visitation and the use of these facilities. 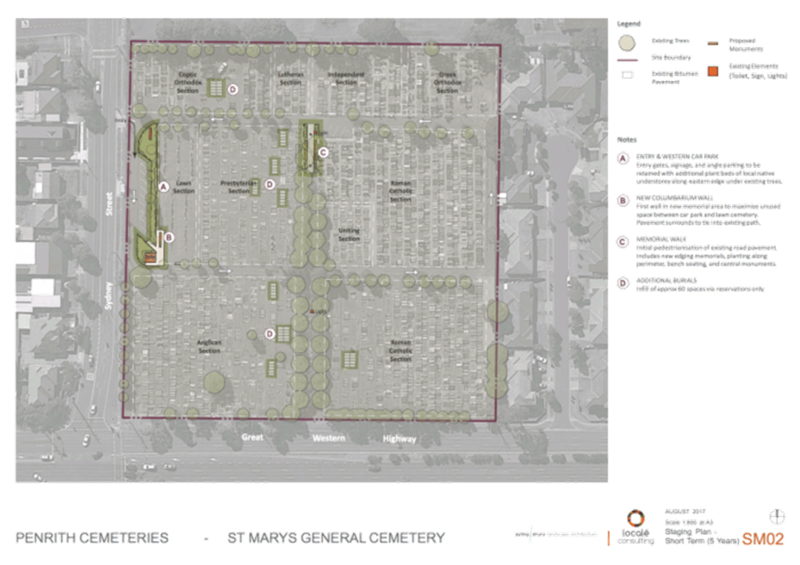 With the infrastructure in place to support the new, larger community and noting the benefits of the proposed changes to the Precinct Plan, it is recommended that the Amending Precinct Plan be adopted. The St Marys Release Area is split into several precincts, including three residential precincts. These precincts are known as the East, West and Central Precincts. 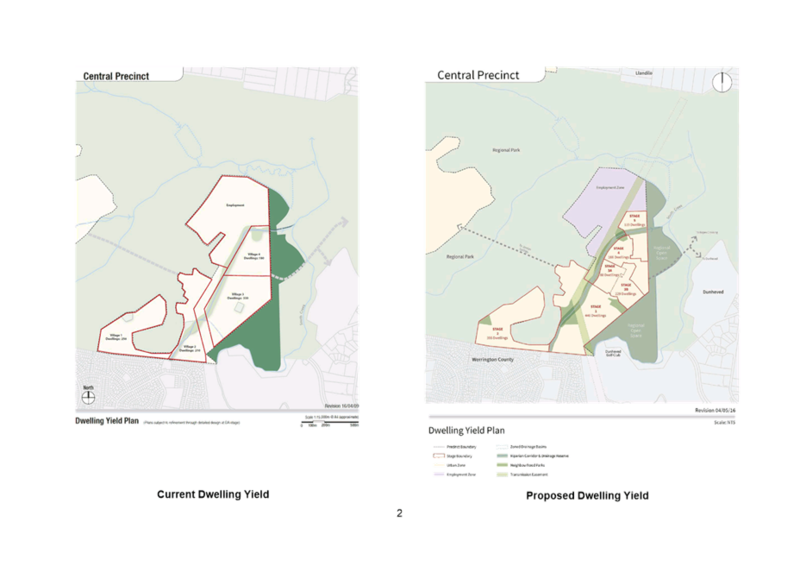 The East and West precincts are substantially developed and now form the respective suburbs of Ropes Crossing and Jordan Springs. The planning document that manages the development of the Release Area is Sydney Regional Environmental Plan No. 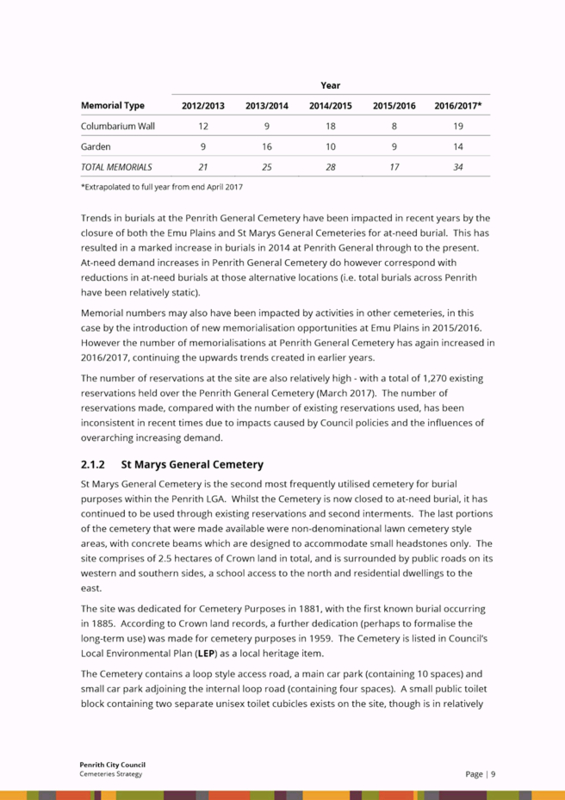 30 – St Marys (or the SREP). 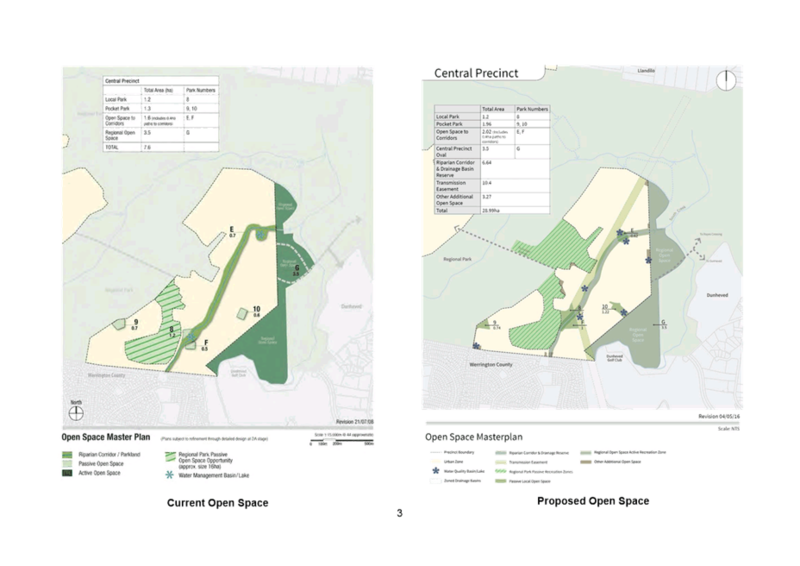 The SREP, like Council’s Local Environment Plan, sets environmental, social and economic outcomes for the release area, as well as the planning processes to ensure that these outcomes are delivered. The SREP sets specific performance objectives that new development must achieve for matters such as transport, housing diversity, open space and recreation, and biodiversity conservation. The SREP also requires a Precinct Plan, a document like Council’s development control plans, to be created for each of the precincts. These plans typically consist of written information, maps and diagrams, that contain the planning controls for the development of the applicable precinct. The SREP sets out the content of these plans, matters to be considered when assessing them, and a process for approving a new or amending plan. 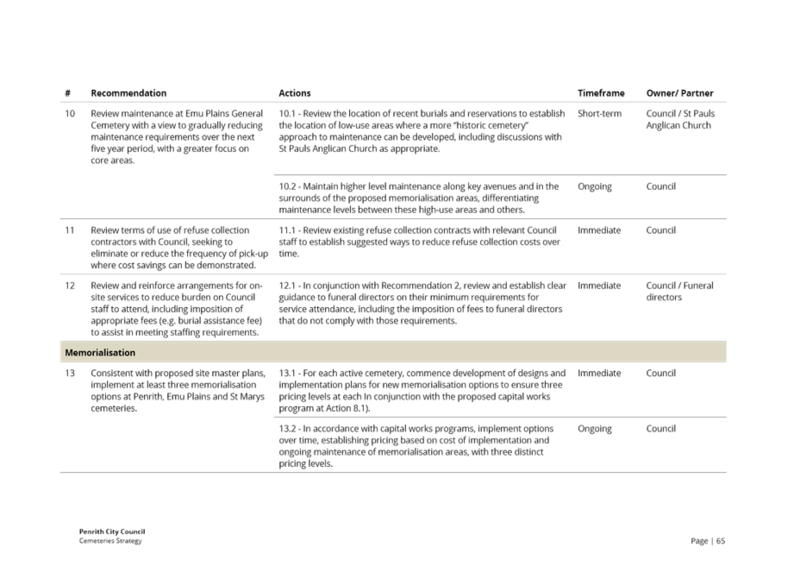 For example, the current Precinct Plan for the Central Precinct is divided into five parts that provide an introduction and overview of the development, an outline of the planning framework and approvals, the environmental characteristics of the site, an overall framework plan, and detailed development controls. In 2009, Council adopted a Precinct Plan for the Central Precinct. This plan sets out the development outcomes for the precinct, including the number of new homes, the location of the shopping centre, and the street network (including walking and cycling trails). 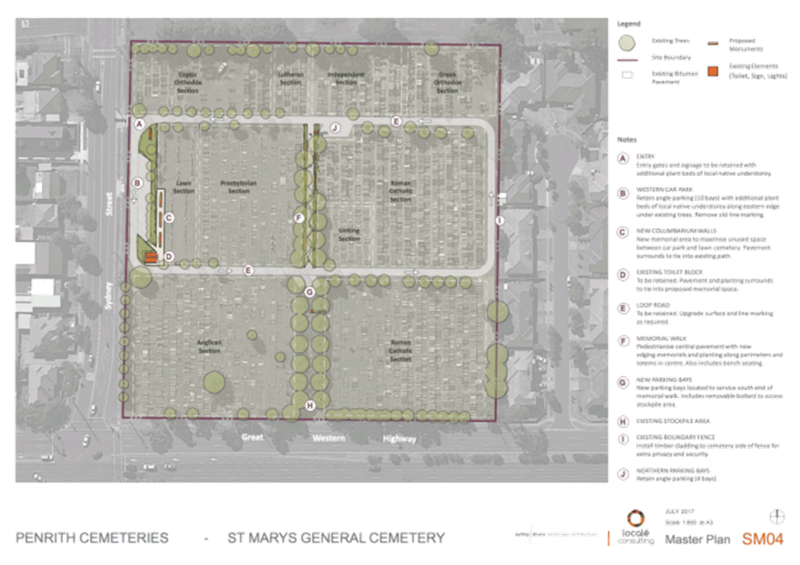 It also identifies opportunities for public access to the adjacent Wianamatta Regional Park and Regional Open space (in the South Creek Corridor). The current development outcome is set at 970 homes, which is forecast to create a new community of about 2,500 people. The development of the Central Precinct is underway, with development consent issued for the subdivision of about 750 residential lots and most of the internal road network. The construction of the first home was completed in early November 2017. 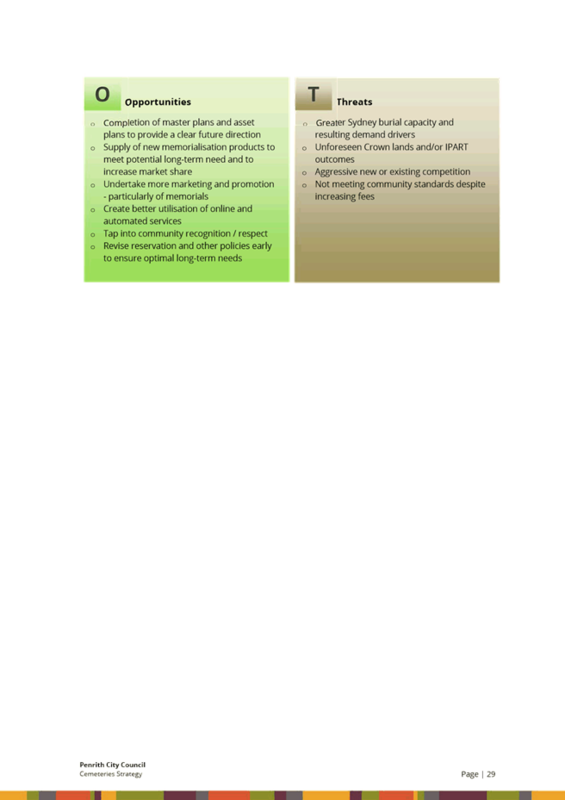 Two Development Agreements also apply to Jordan Springs and the Central Precinct securing (through funding and delivery mechanisms) the infrastructure required to support the new community. One agreement deals with State Infrastructure, such as schools, public transport and regional road upgrades. 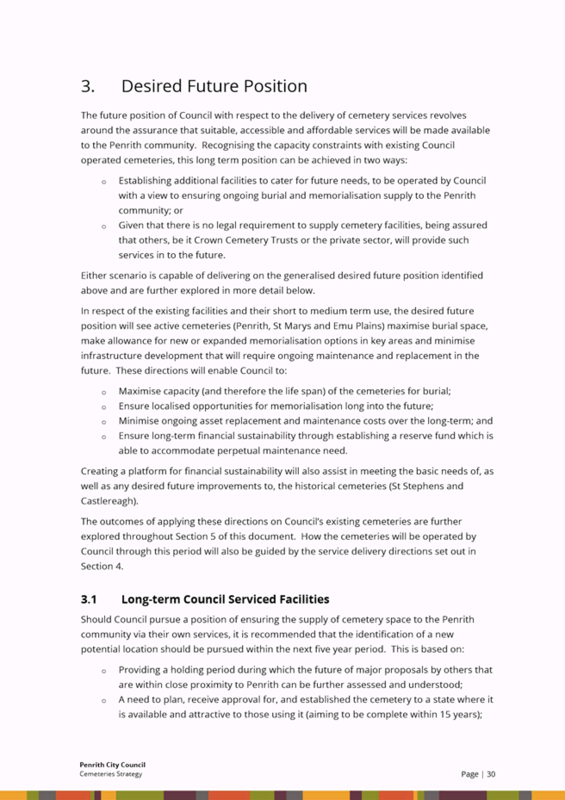 The other agreement, made between Lendlease and Council, deals with local infrastructure, namely local roads, open space, and community facilities. The local agreement anticipates and provides the process to renegotiate the infrastructure that needs to be delivered by Lendlease should the development outcome change. Officers have undertaken an audit of the current development agreement to ensure that Lendlease is meeting its commitments. We have used the results of the audit to secure all outstanding bank guarantees. · Increasing the total number of dwellings (from 970) by about 430 for a total of about 1,400 - this is expected to increase the size of the future community (from 2,500) to 3,918 people. 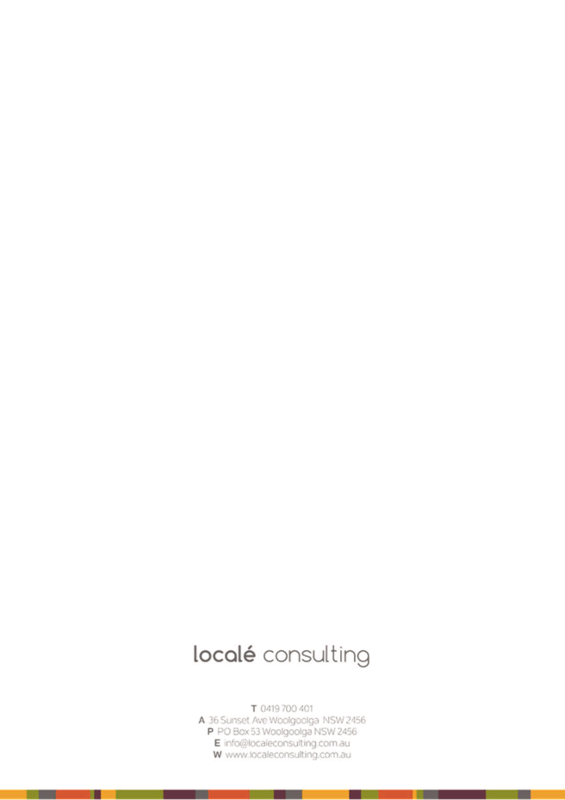 · Relocating the shopping centre so that it is adjacent to a hub of planned open space and community facilities, including sports pitches, playground equipment, amenity block, and picnic facilities. 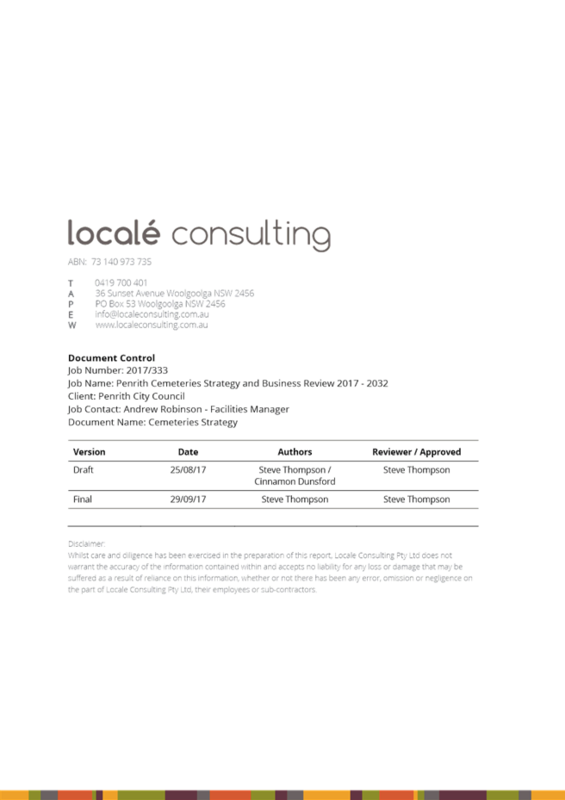 · Reconfiguring the road and local open space networks. 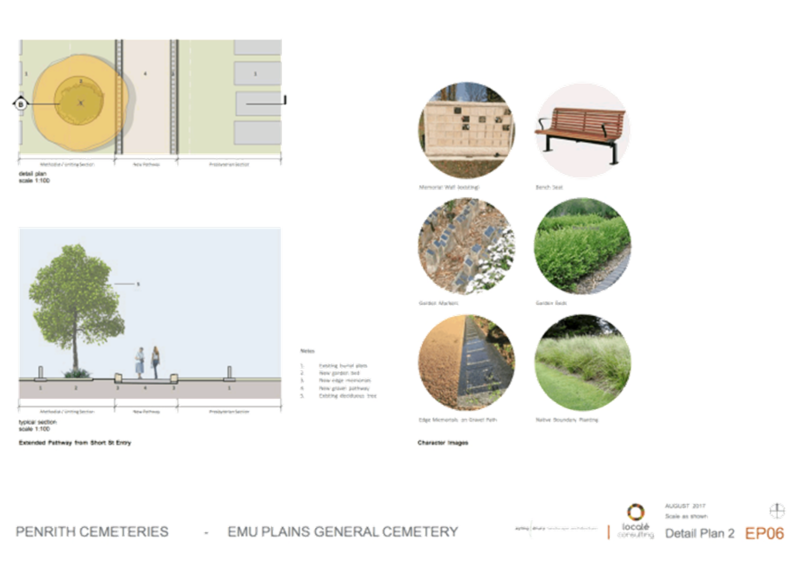 · Improving the precinct-wide drainage system. Lendlease is proposing to deliver the additional 430 homes within the currently planned residential area by altering the mix of lots to increase the maximum number of smaller lots. It is also seeking to reduce lot sizes. The proposed changes to the mix and size of lots are not part of the current amendment and a subsequent amendment is required. This can only be progressed once the current amendments (increased yield, relocation of the village centre etc) has been adopted by Council. It is anticipated that this will be reported to Council early in the new year. · Delivery of additional homes, including smaller, more affordable homes, will help meet current housing demand. · Co-locating the shopping centre and open space facilities will provide opportunities to share and increase visitation and the activation and attractiveness of both areas. 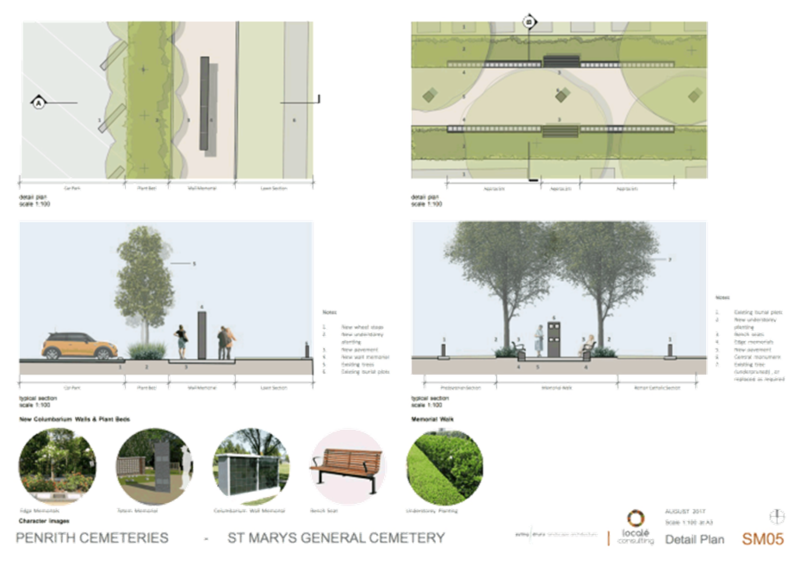 · Reconfiguring the roads will support the relocation of the centre and improve walking and cycling links between open space. 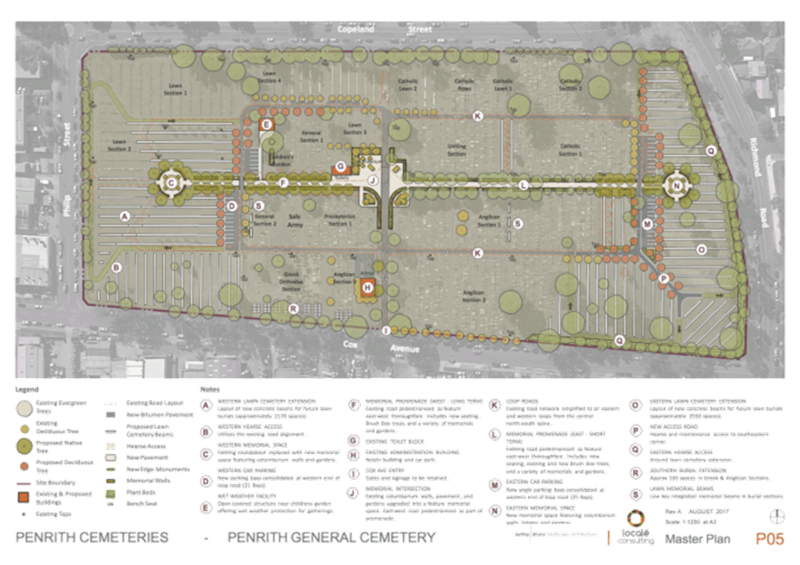 · Increasing the amount of open space and the level of embellishment of open space will provide for the larger community. · Improving the drainage system will help improve water quality through the better management of surface-water run-off. 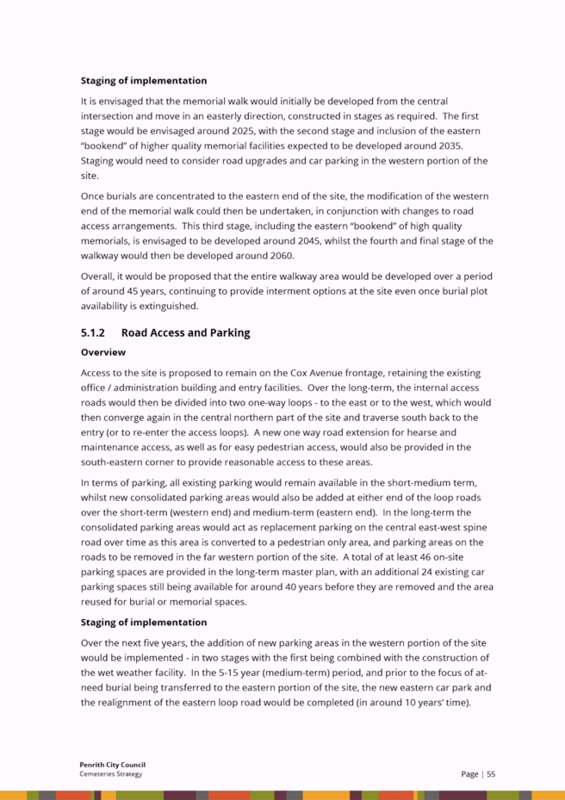 In agreeing to consider the alternative outcome, Council also required a review of the road infrastructure (including connections to the existing network), open space and community facilities required to support the proposed number of dwellings. This is to ensure that the new, larger community is properly serviced and has access to contemporary open space and community facilities. The review of the required road infrastructure was also needed to address the Roads and Maritime Services’ and Blacktown City Council’s submissions. To achieve this a steering committee with members from Council, Blacktown City Council and Roads and Maritime Services was established to oversee a contemporary traffic modelling exercise. As the current Development Agreement applies to both Jordan Springs and the Central Precinct, an important consideration for the review of the required infrastructure is the extra homes that have been delivered in Jordan Springs (above and beyond what was originally planned). The number of homes has increased from 2,450 to 3,437 and the size of the community has increased from 6,400 to 9,030. 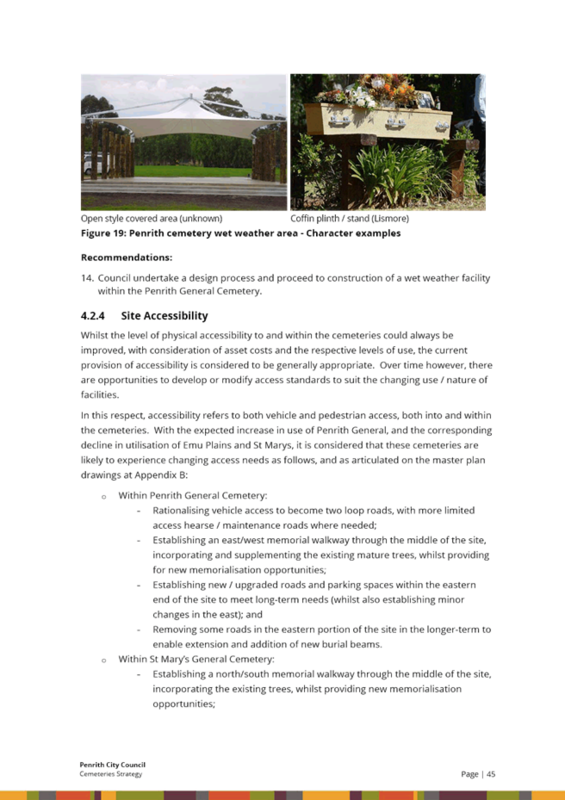 · Community facilities – an additional monetary contribution of $1m to improve the fit-out of existing facilities (in Jordan Springs) and the expansion of planned facilities (in the Central Precinct). 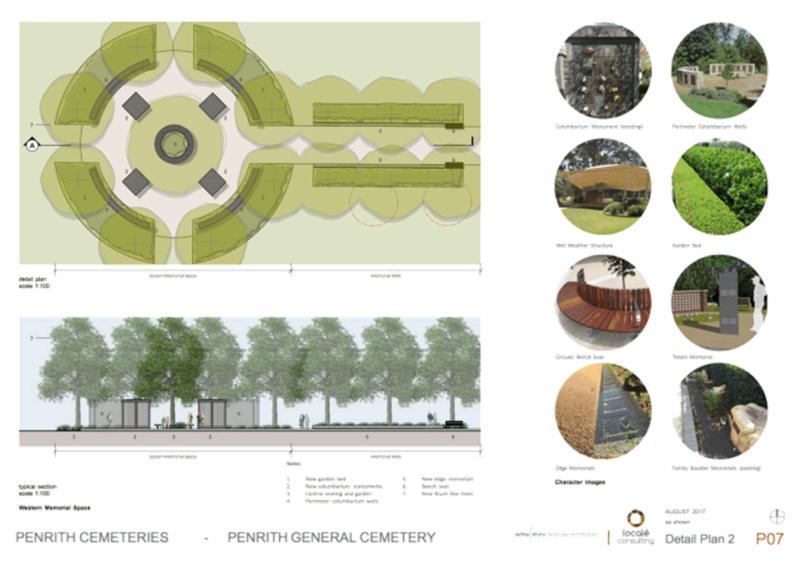 · Open space – about 9 extra hectares of open space to meet the needs of the larger community. 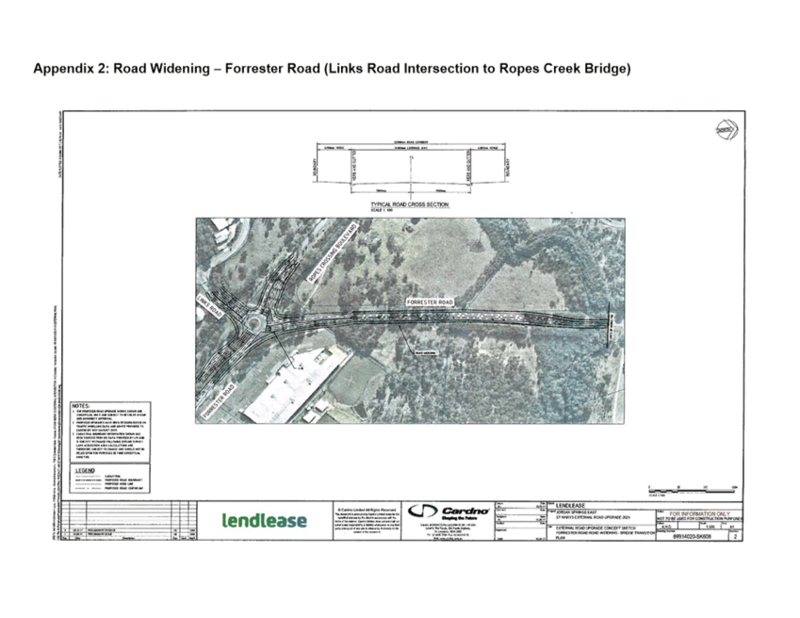 · Road infrastructure – the traffic modelling exercise identified the need for approximately $30.5m of minor upgrades to 12 intersections and 10 roads across the wider network. 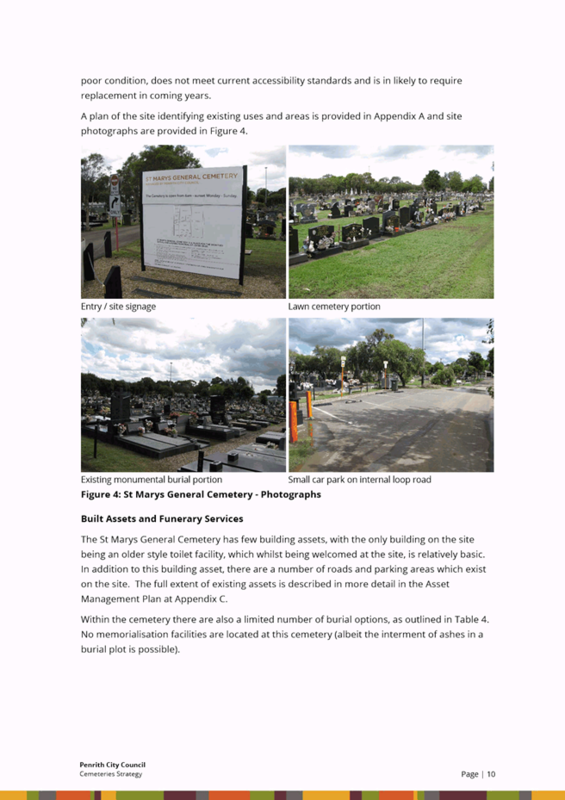 The value of the works has been reviewed and confirmed by a quantity surveyor (engaged by Council). · Community facilities – an additional $1m with $665,000 allocated to improve the fit out of the Jordan Springs Community Hub, and $335,000 allocated as an addition to the budget for the proposed facility in the Central Precinct. 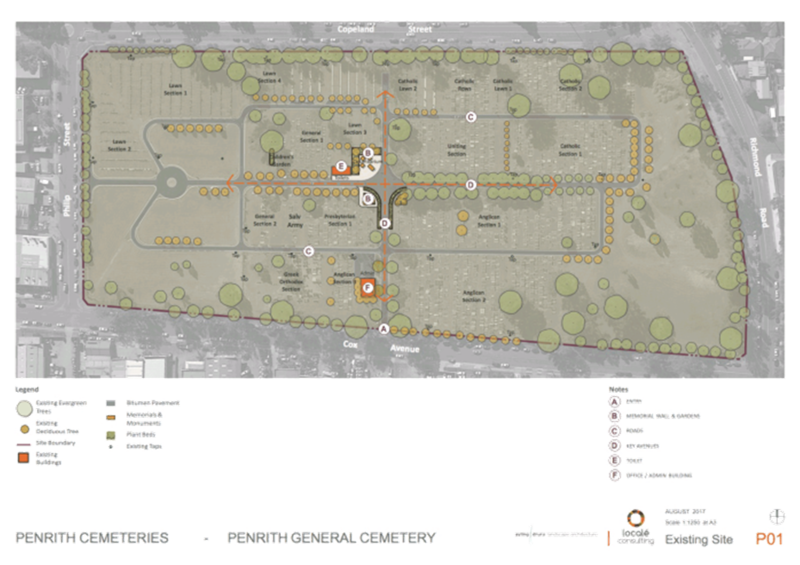 o An extra 9 hectares of open space will be delivered throughout the Central Precinct by increasing the size and reconfiguring currently planned recreation areas. o An extra $1m to embellish recreation areas (transferred from an area of open space in Jordan Springs that is being returned to the NSW Government to become part of the Wianamatta Regional Park). o Improved opportunities to access and use riparian corridors, drainage basins, and the spaces beneath transmission lines. 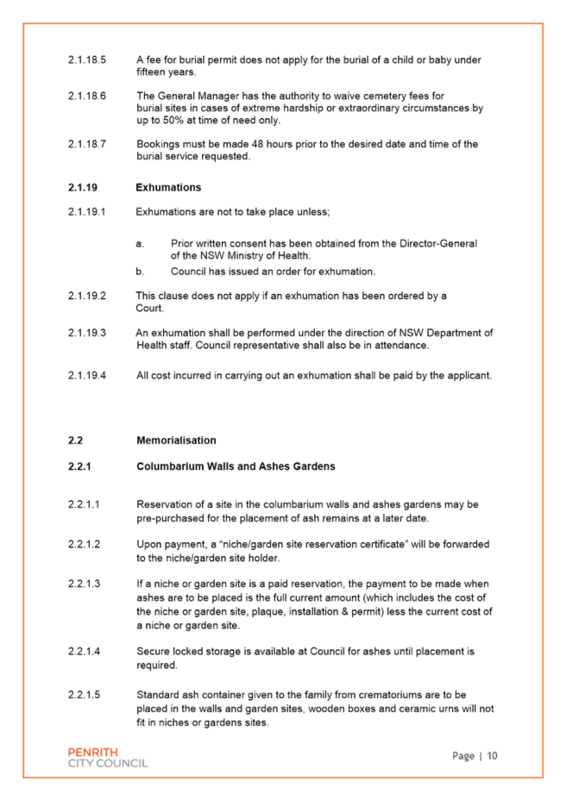 · Road infrastructure: A discrete package of comprehensive upgrades with a notional value of $33,845,998 to be delivered by mid-2021 (listed in Table 1 and detailed in Appendix 2). This package of works is being offered as an alternative to spending $30.5m on minor upgrades to 12 intersections and 10 roads across the wider network. The package of works includes a new connection to the existing network in Dunheved Business Park. 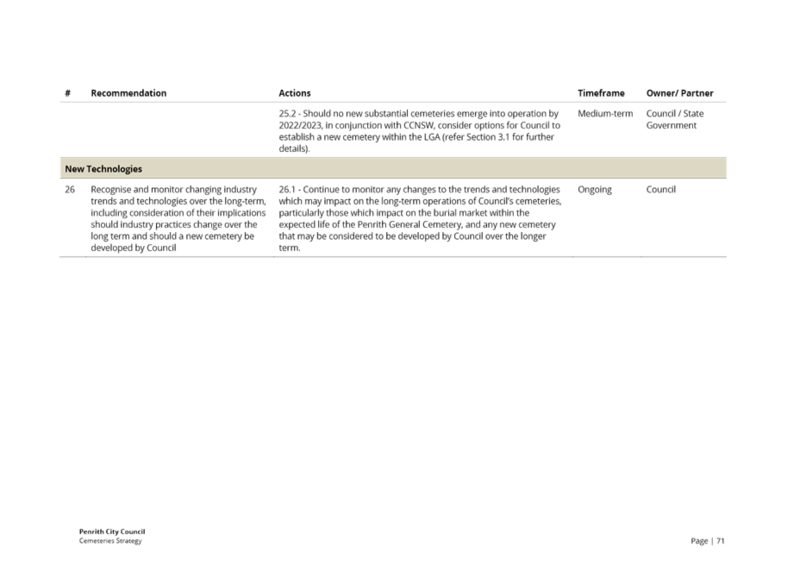 It also provides the upgrades required to support Lendlease’s proposed rezoning of the employment area. 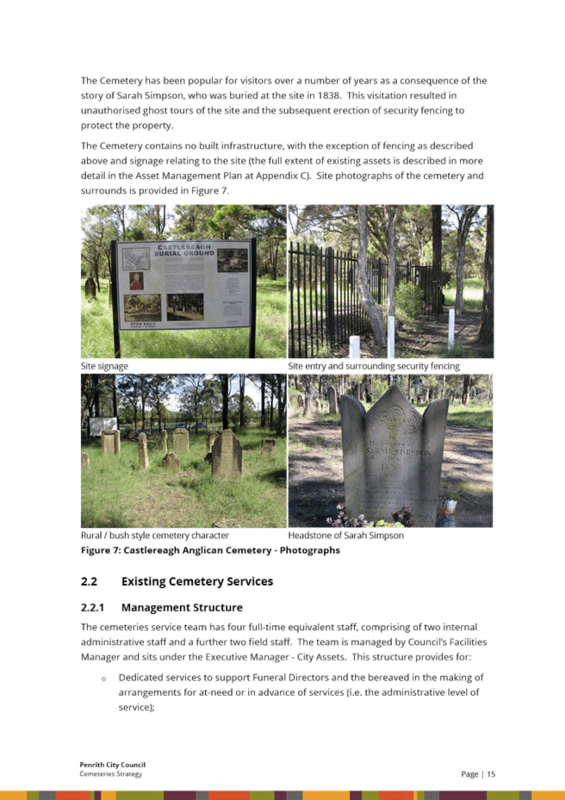 This proposal has been lodged with the NSW Government but not exhibited or approved. Line marking and signage to establish two lanes in each direction. Upgrade and extension of Links Road to Christie Street. Staged removal of roundabout and installation of traffic signals and more approach lanes. Construction of a 60m left slip lane (the Northern Road approach) and inclusion of a 100m right turn lane (Greenwood Parkway). Lendlease is also offering a monetary contribution towards the cost of acquiring land to accommodate the upgraded roads and intersections. This offer is capped at $3.2m but is accompanied by an offer to share any additional costs, on a fifty-fifty basis, with Council. It should be noted that there are no Council funds allocated to the land acquisition process should acquisition costs exceed $3.2m. However, with the minimisation of third party acquisition through the design and location of the upgrades, it is expected that the acquisitions will be achieved for less than $3.2m. 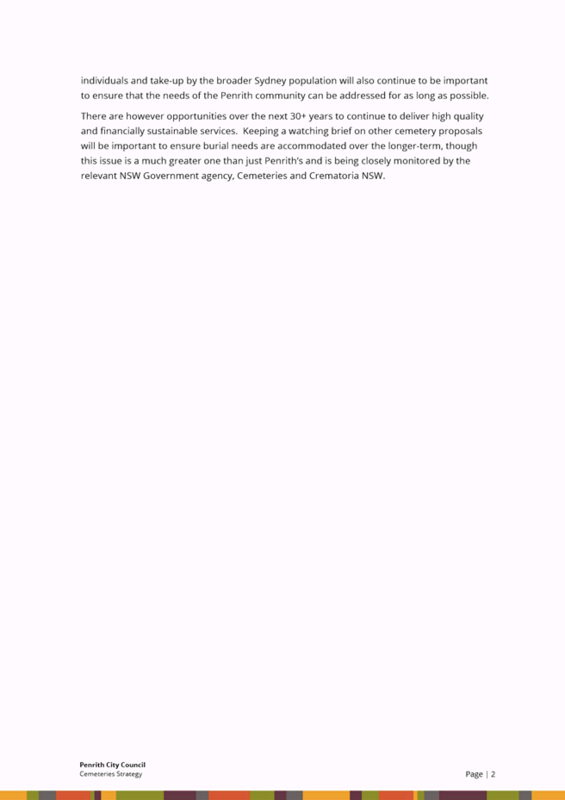 · Requiring Lendlease to deliver the road and intersection upgrades as works in kind, with limited opportunities for them to make an alternative monetary contribution. 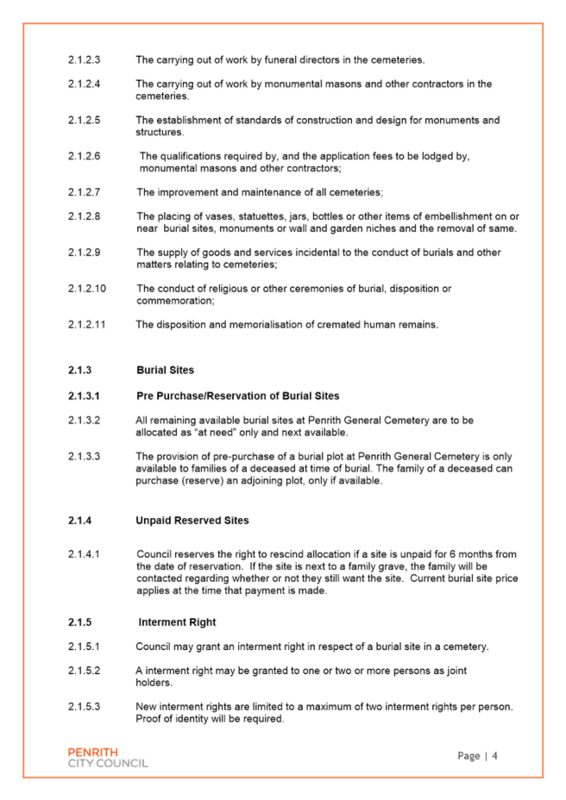 · Requiring appropriate security (bank guarantee(s)) for the full value of the road and intersection upgrade works (verified by Council’s Quantity Surveyor) that will be updated annually to account for changes in indexation. 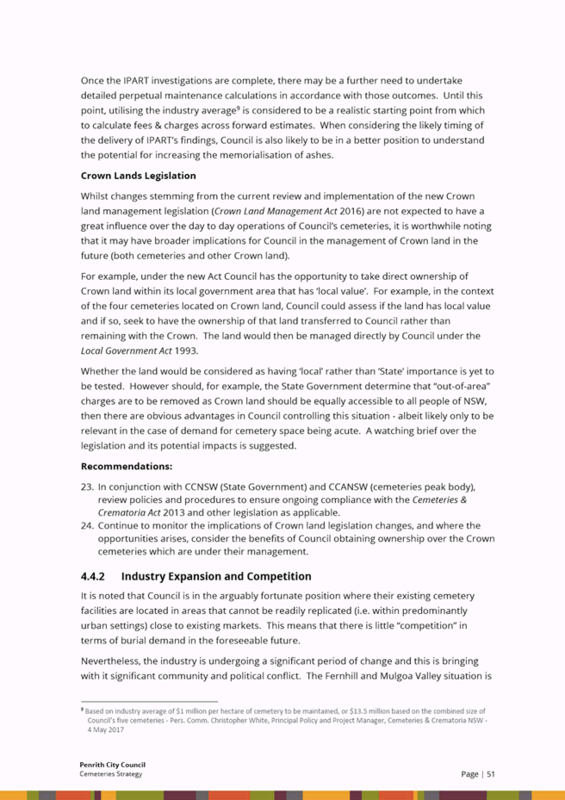 · Reducing the amount of third party acquisitions (of land not owned by Council and Lendlease). · Providing adequate timeframes (30 months) to allow Council to complete the required land acquisition and development approval processes for the road and intersection upgrade works. 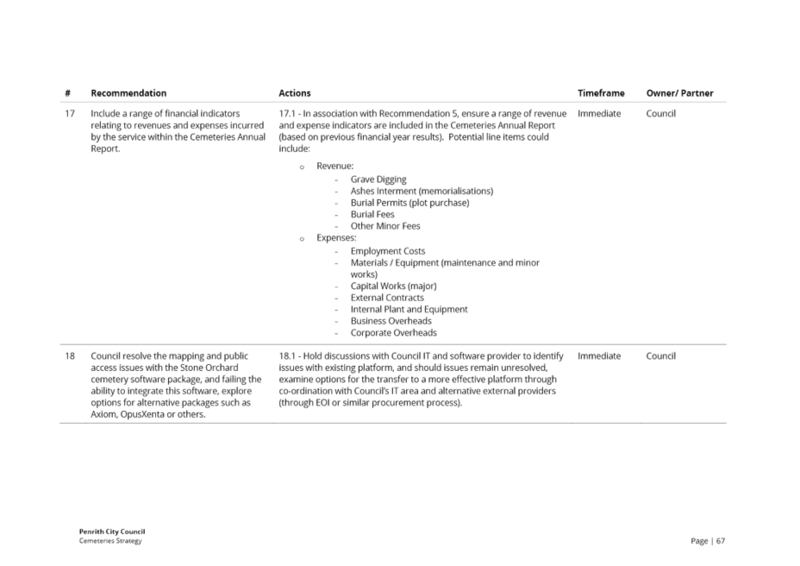 · Securing delivery timeframes for the works in kind and monetary contributions. · Separating the road and intersection upgrades into individual items to ensure that any delay incurred for a single item does not affect the delivery of other items in the package of works. 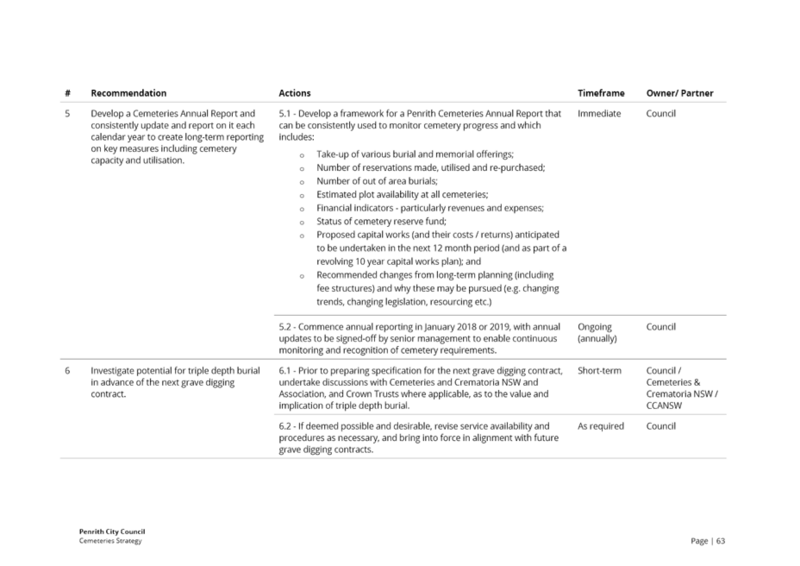 The SREP sets out the matters that need to be considered in assessing the Amending Precinct Plan. 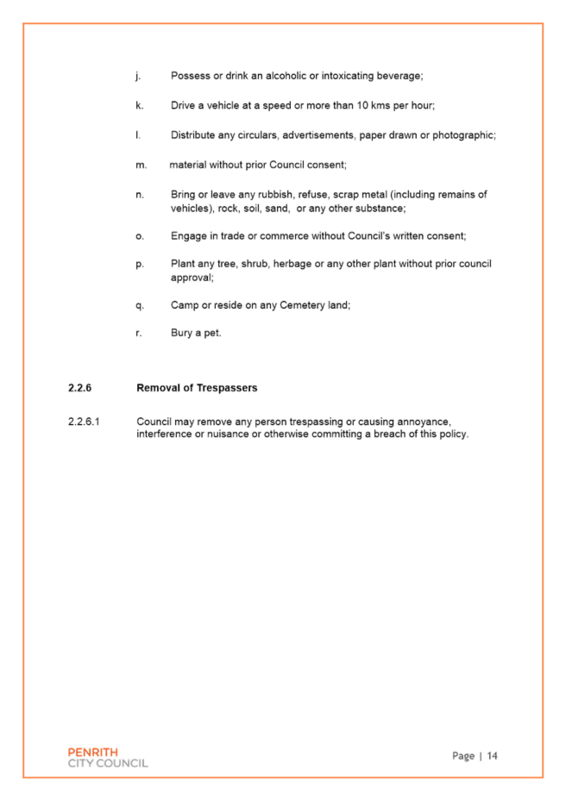 These include any consultation responses from NSW Government agencies, consistency with the objectives and requirements of the SREP, and the terms of any relevant development agreement(s). · The National Parks and Wildlife Service did not raise any objection to the proposed changes. 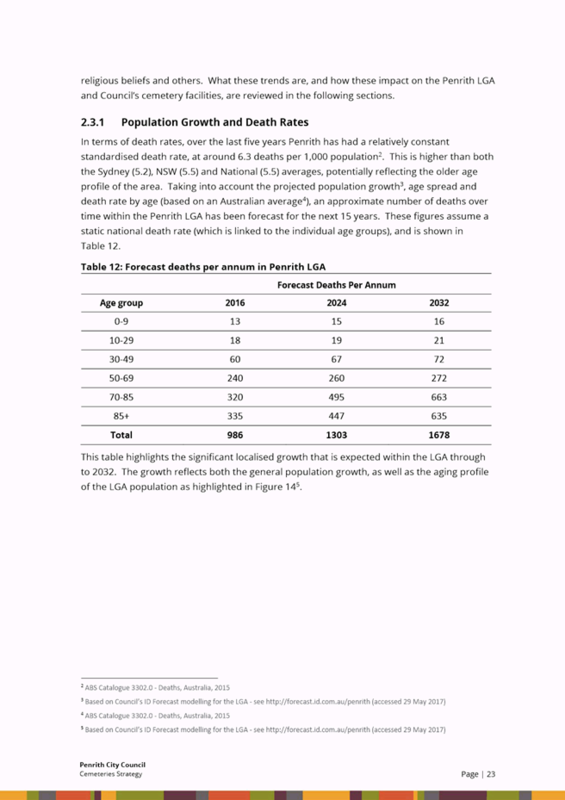 · The Roads and Maritime Services and Blacktown City Council requested a contemporary assessment of traffic and transport matters to reflect the increased size of the community. These concerns were resolved through the traffic modelling process. Representatives of these organisations were members of the steering committee that set assumptions for the modelling exercise and endorsed the results of this work. · The NSW Government’s Hawkesbury-Nepean Valley Flood Management Directorate is currently considering if the additional residents can be safely and effectively evacuated from the site without impacting on regional flood evacuation efforts. · Community services: The additional $1m allocated between the existing facility in Jordan Springs and the proposed facility in the Central Precinct will ensure that appropriate human services and community facilities infrastructure will be delivered. 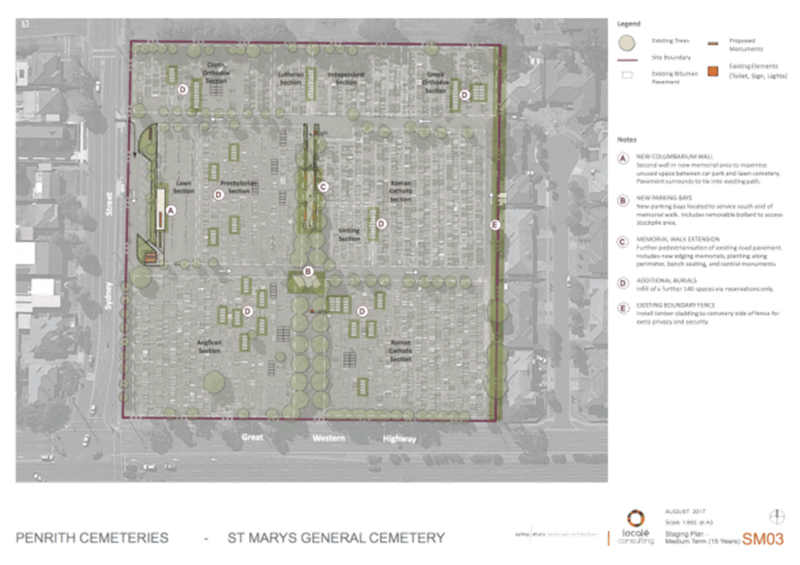 · Open Space and recreation: An appropriate amount and range of open space and recreation facilities for passive and active recreation is identified in the Amending Precinct plan. The funds for the embellishment of these places with playing fields, local playgrounds, walking and cycling paths is provided in the revised Development Agreement. 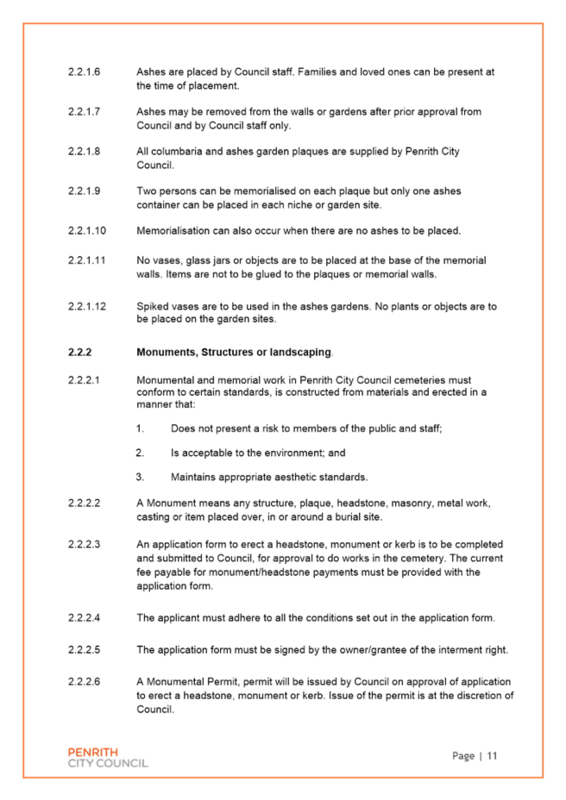 · Watercycle: The technical document supporting the Amending Precinct Plan demonstrates that the proposed stormwater management measures will ensure there is no adverse impact upon water quality. · Transport: The discrete package of works included in Lendlease’s offer, when delivered, will effectively link the development to the surrounding road network and satisfactorily cater for the traffic that the new community will generate. The package of works will also benefit adjacent areas, such as improving north-south access in Dunheved Industrial Estate. · Housing: The changes to the development will facilitate further changes to the mix and size of lots to increase both the amount and choice of housing and its affordability. The infrastructure that Lendlease has offered will appropriately service the new development and community that would be facilitated should Council adopt the Amending Precinct Plan. However, the legal drafting of the revised Development Agreement still needs to be settled, before the document can be publicly notified and executed. 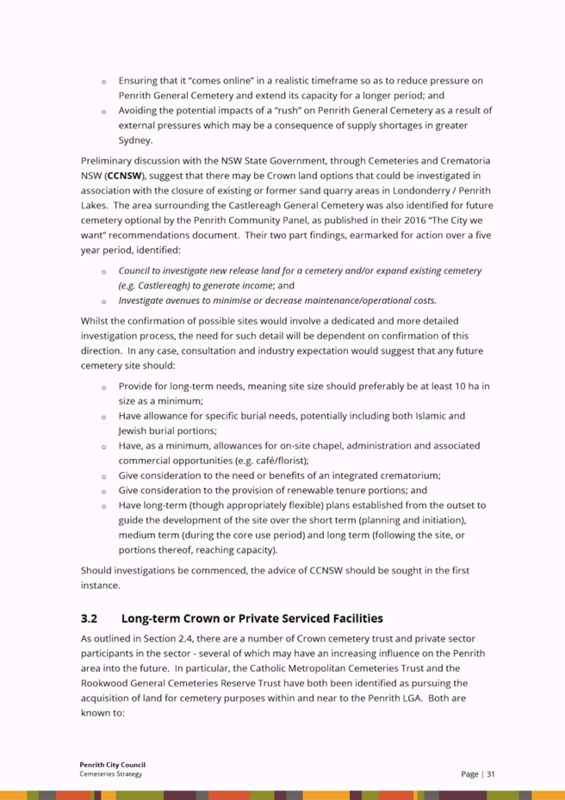 This paper therefore recommends that the principles of Lendlease’s offer are accepted and that Council’s delegation be provided to the General Manager to complete the drafting process, and publicly notify and execute the agreement. The proposed changes in the Amending Precinct Plan are considered beneficial as they will deliver additional homes, including, in the future, smaller, more affordable homes, to help meet current housing demand. The changes also allow for the co-location of the shopping centre and open space facilities helping to activate and increase visitation and the use of these facilities. 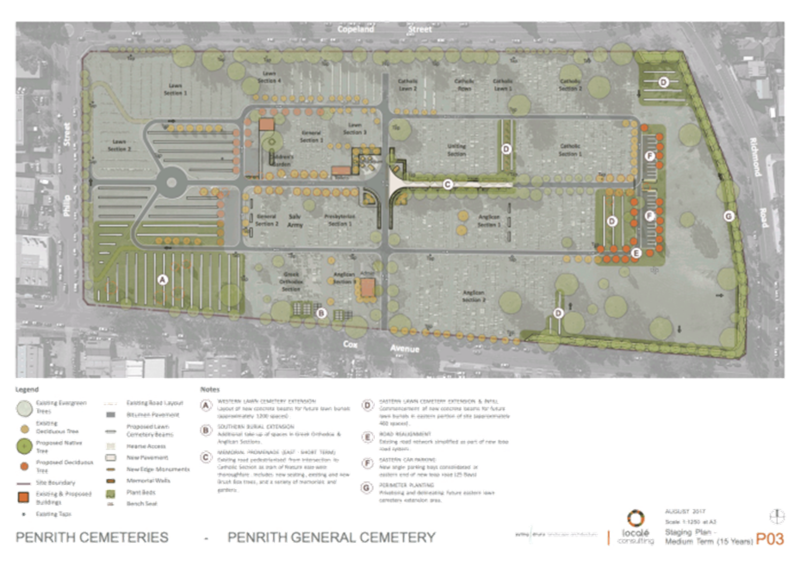 The increased provision of open space, including additional embellishment, will provide for the larger community. 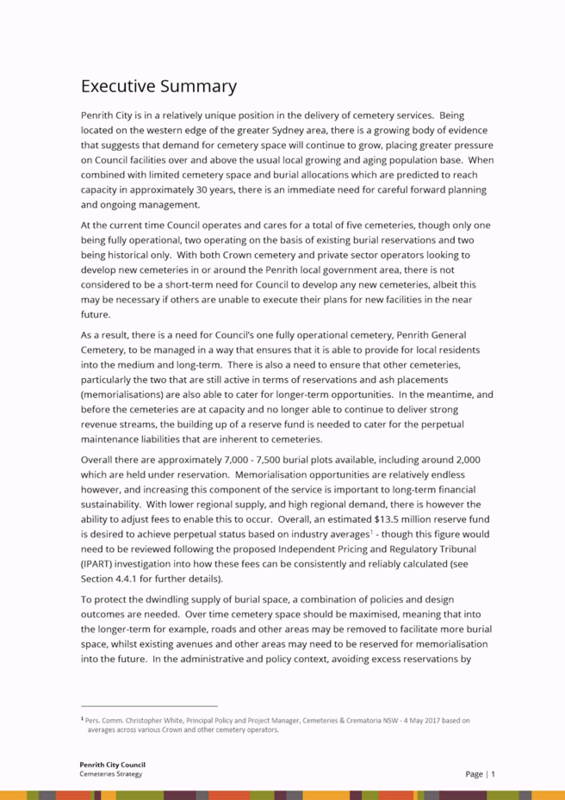 This paper therefore recommends that the Amending Precinct Plan (provided as a separate enclosure because of its size) be adopted. However, as we are still awaiting the NSW Government’s advice on flood evacuation, any resolution should be subject to the receipt and full consideration of this advice. 1. 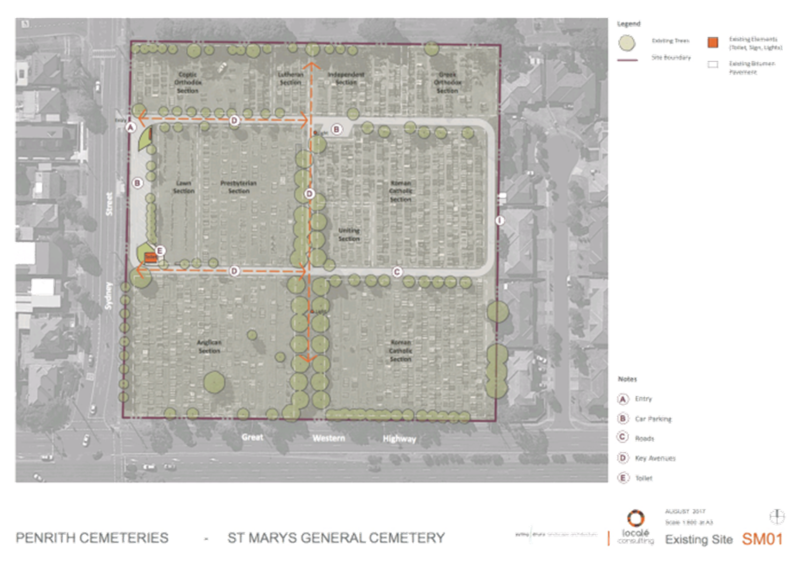 The information contained in the report on Amending Precinct Plan and Infrastructure Planning for the Central Precinct, St Marys Release Area be received.